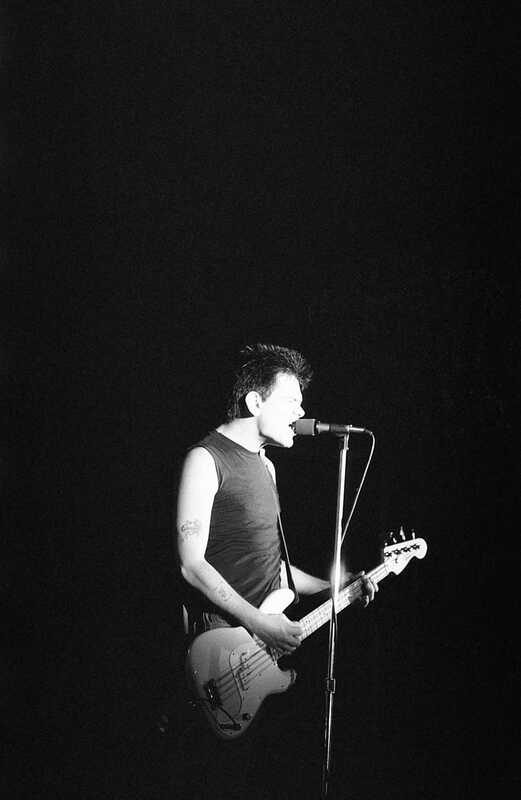 This collection consists of 9 rolls of Kodak Tri-X 400 35mm film that were shot by rock and roll photographer, Joe Sia. 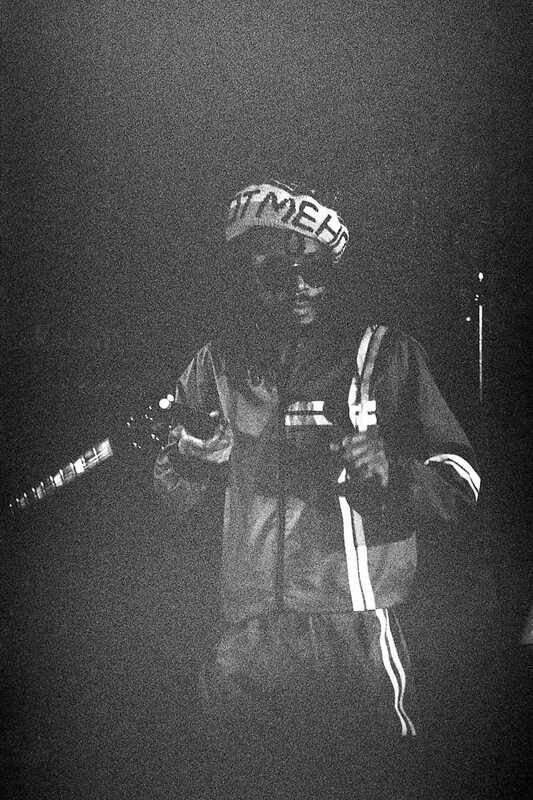 These were some of his last remaining undeveloped rolls of film. 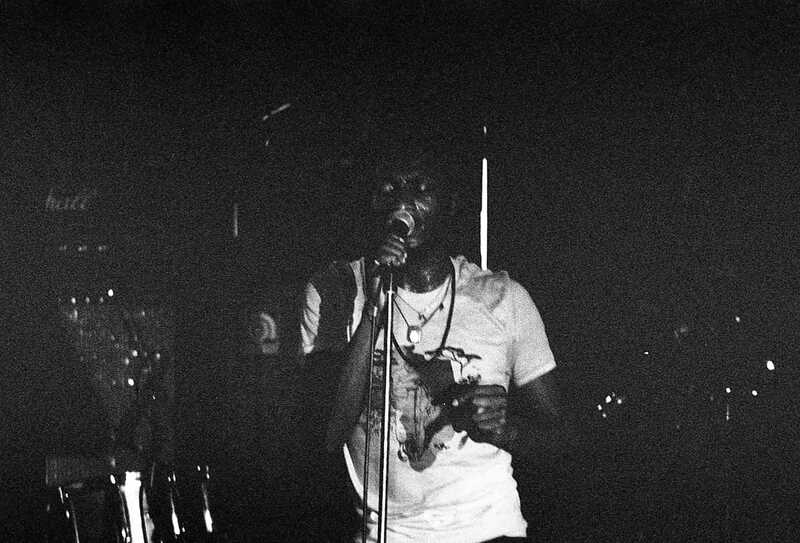 Each roll was carefully developed and scanned by the Found Film Society. 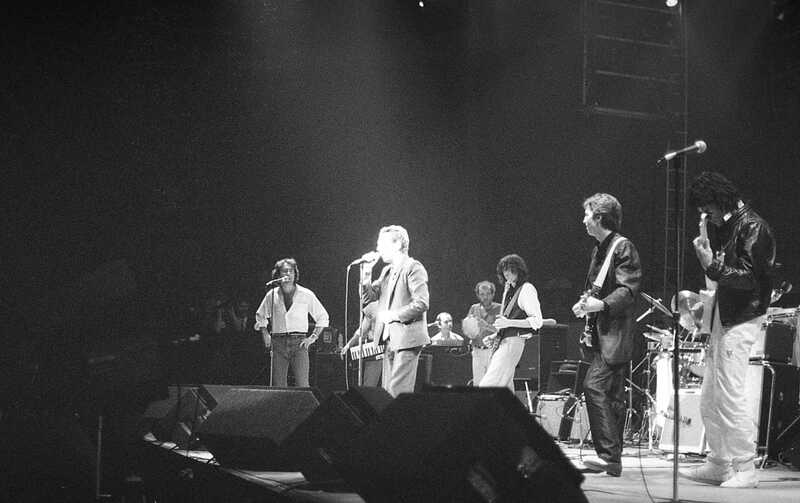 The ARMS Charity Concerts were a series of charitable rock concerts in support of Action into Research for Multiple Sclerosis in 1983. 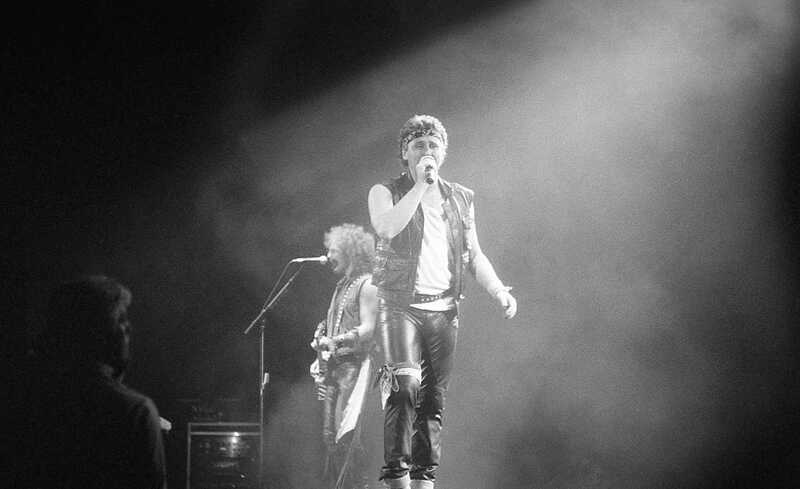 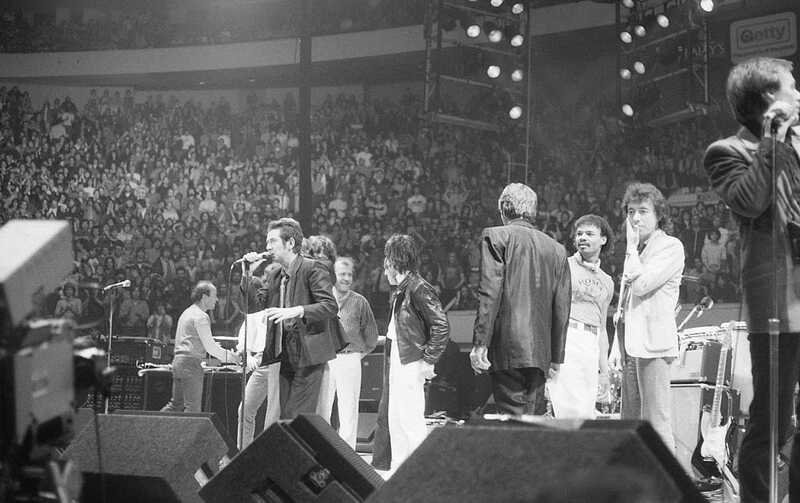 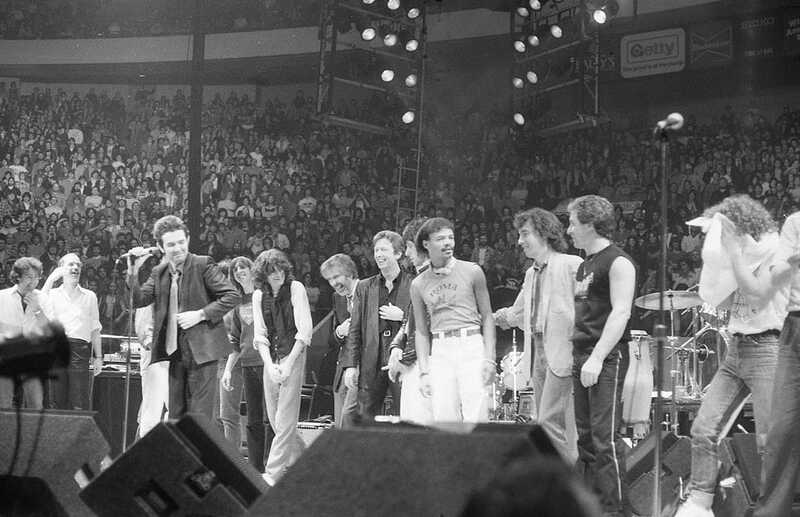 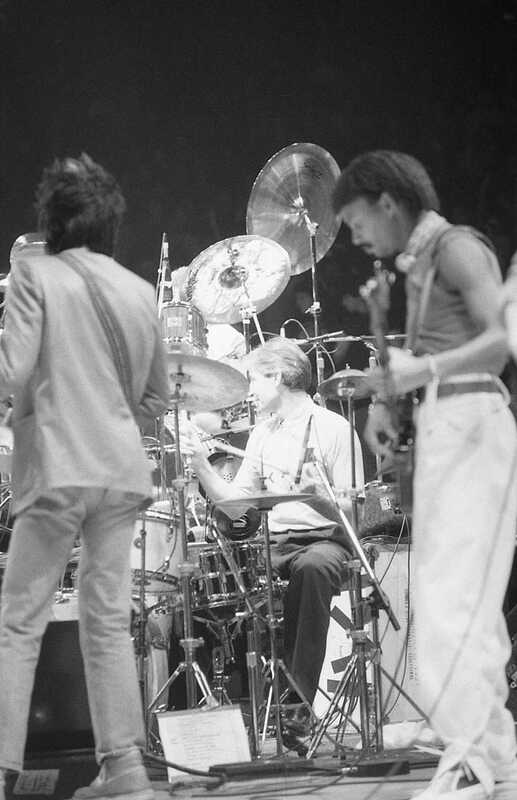 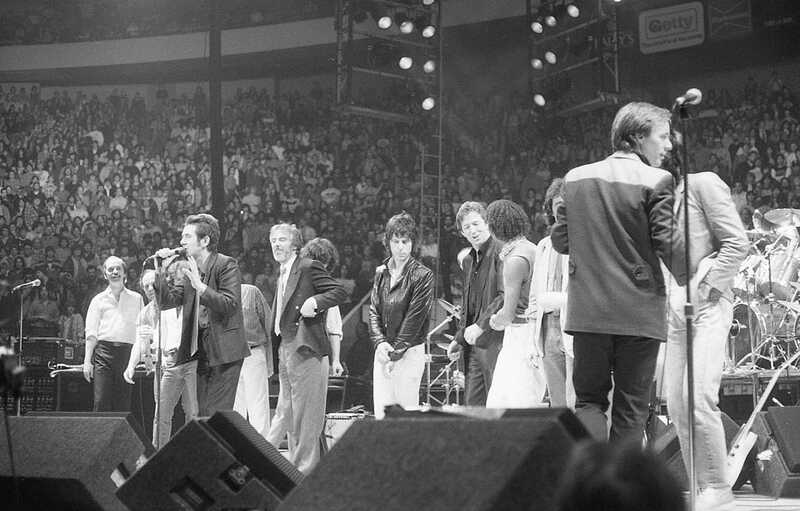 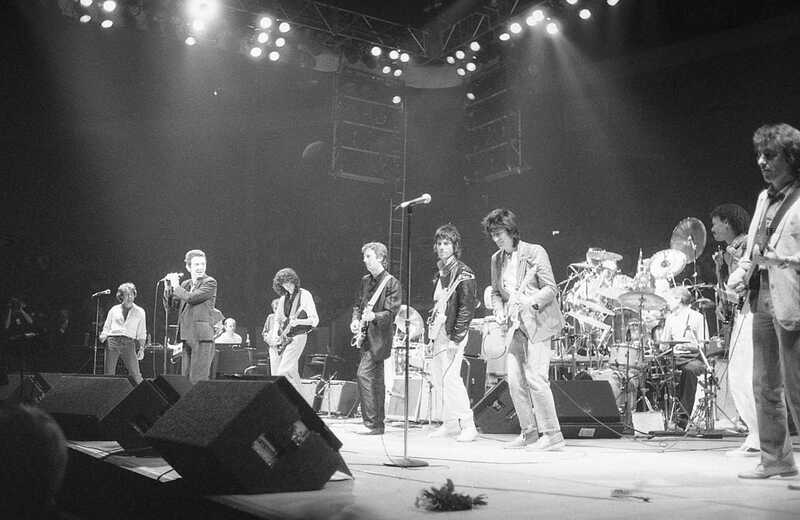 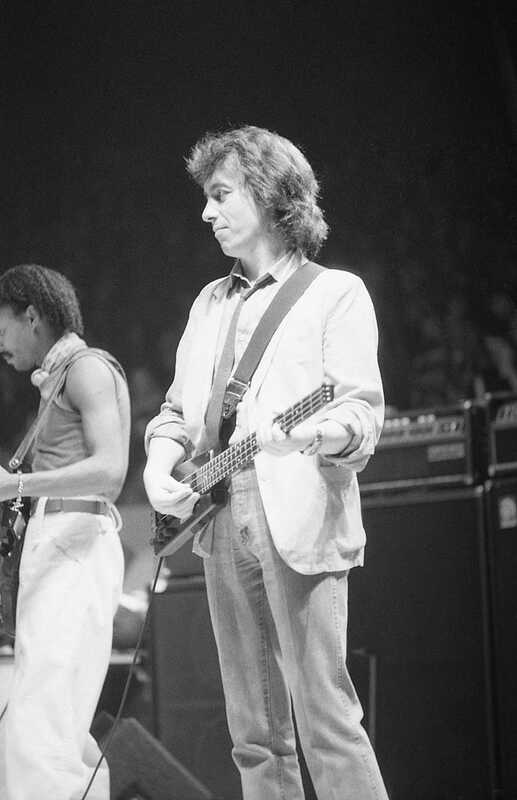 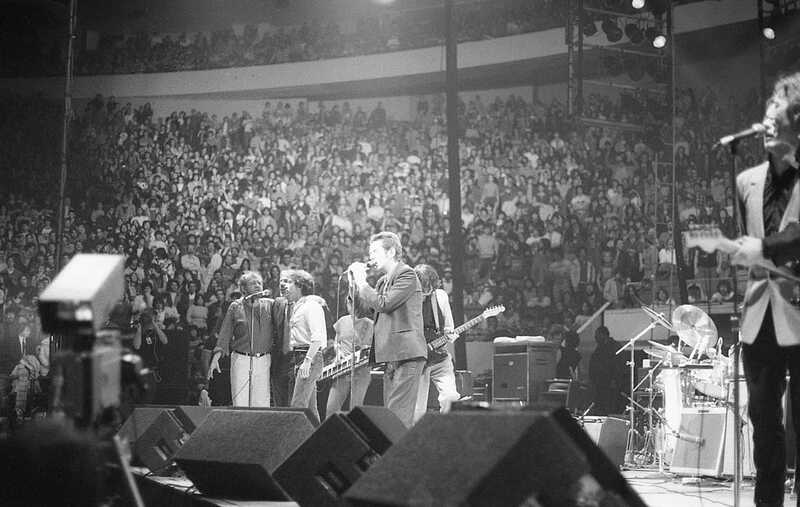 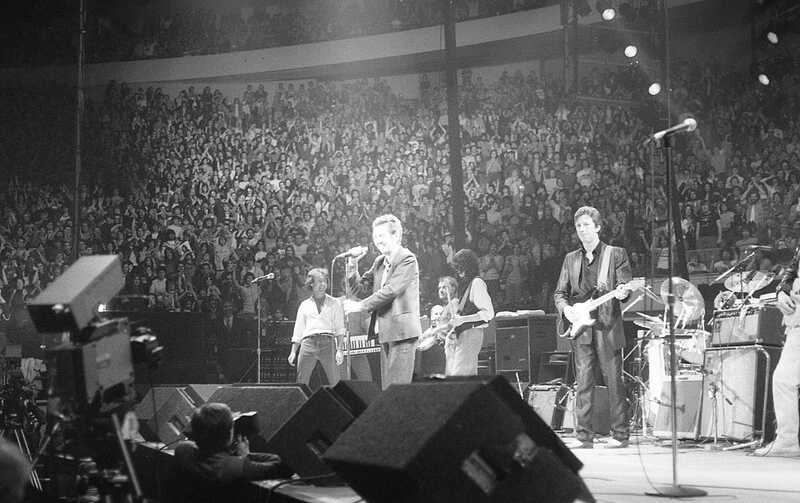 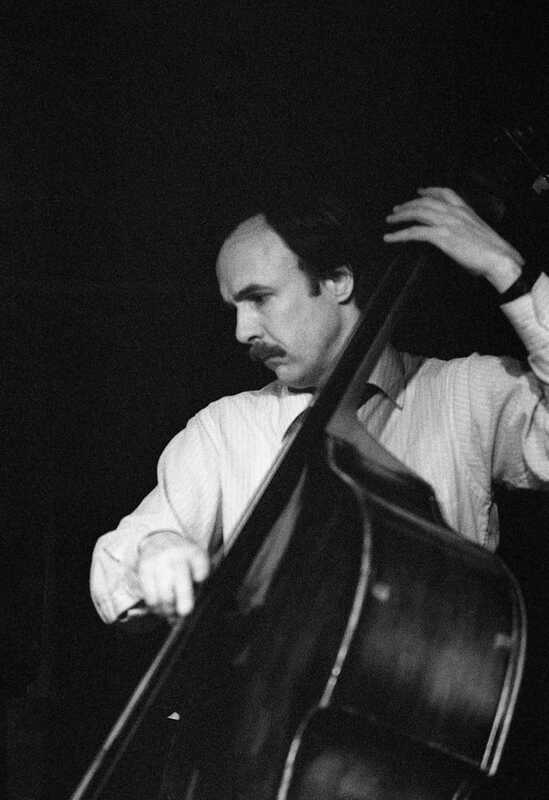 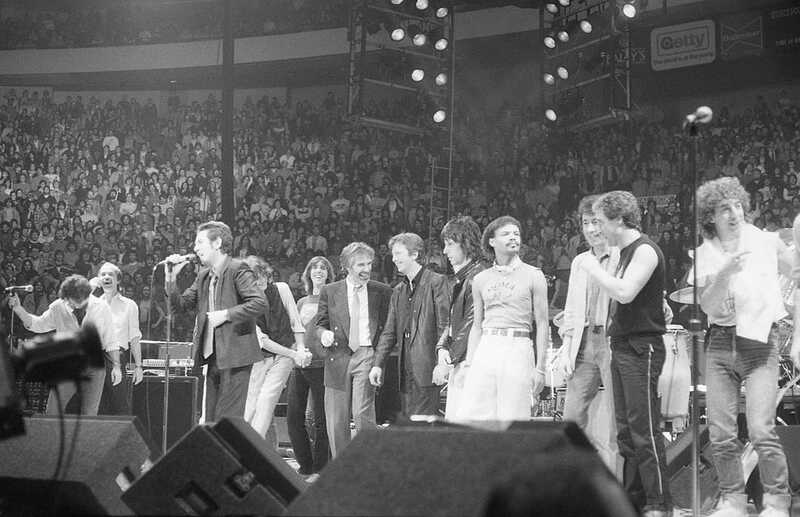 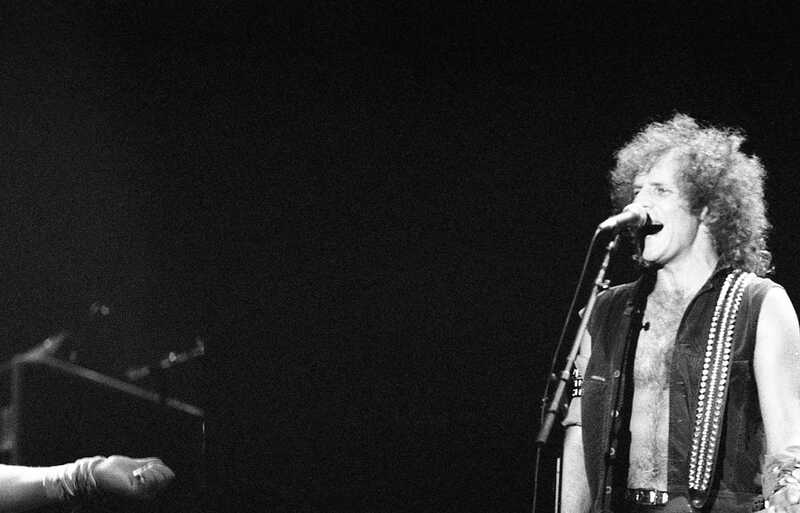 The first (and initially planned to be the only) event took place at the Royal Albert Hall on September 20, 1983, with subsequent dates occurring in the United States, with slightly different lineups of musicians. 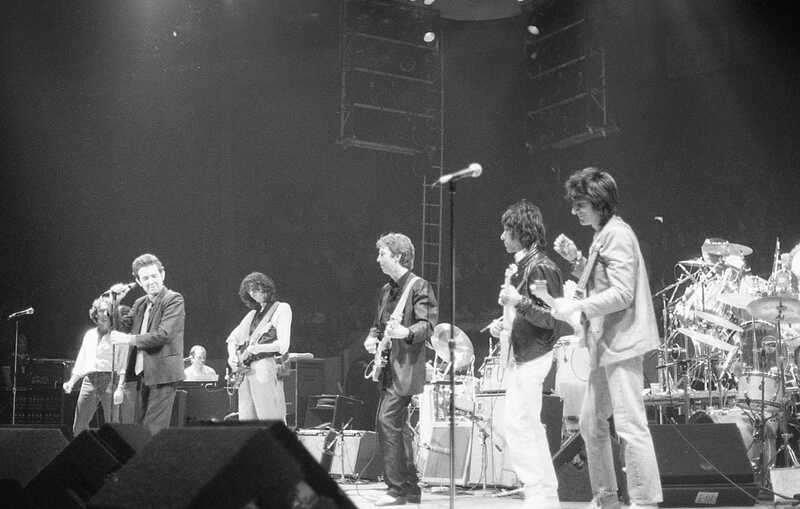 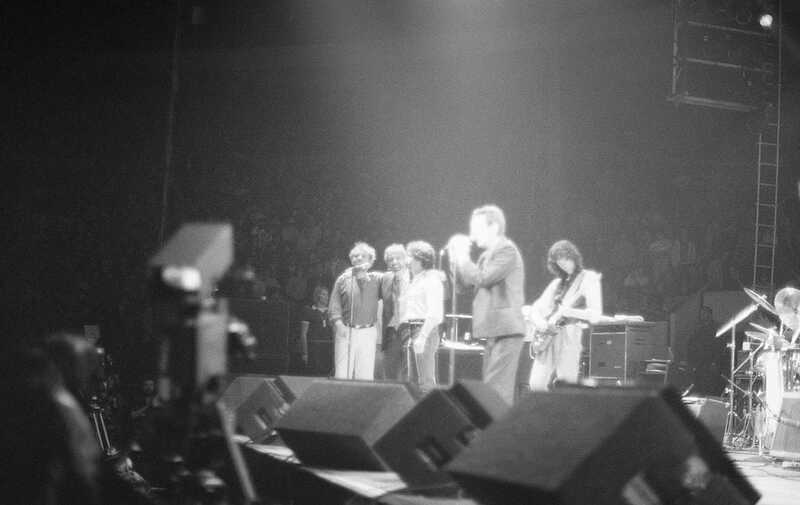 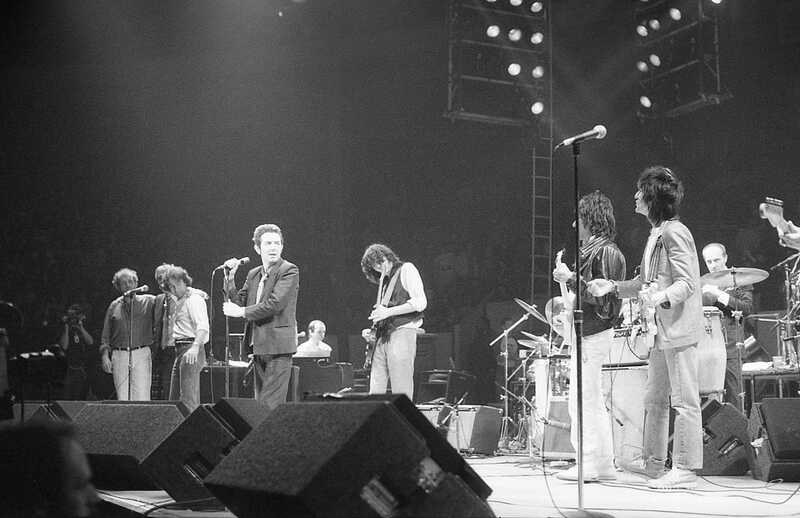 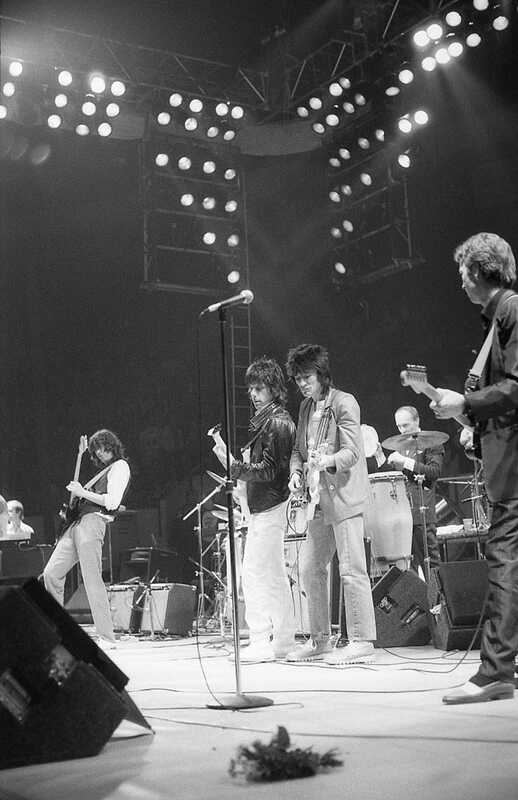 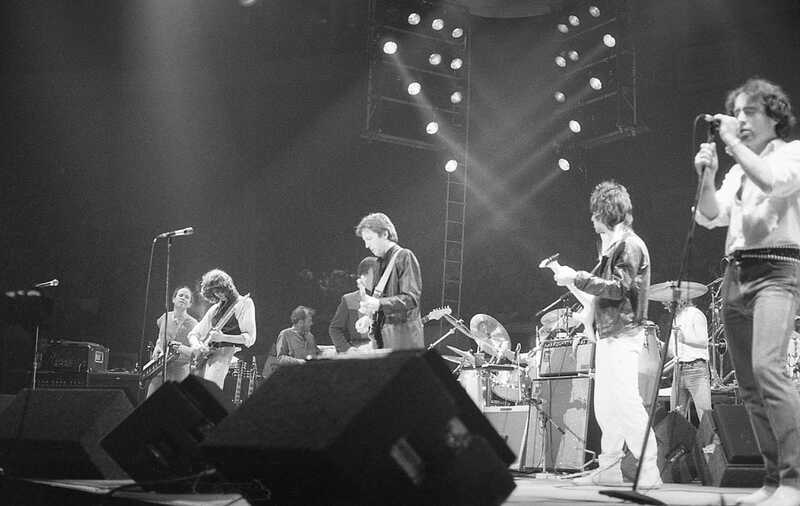 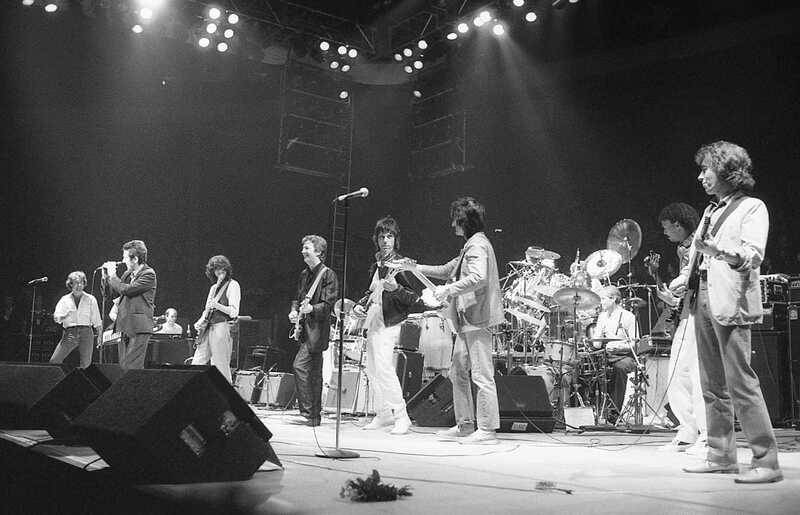 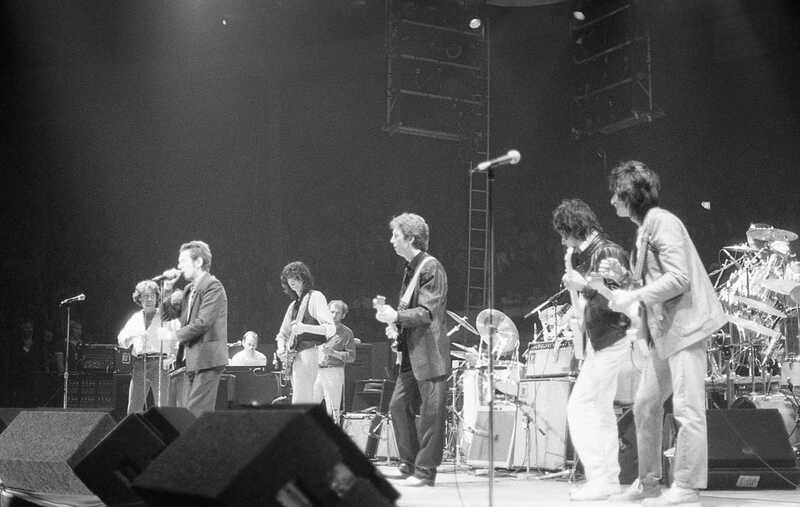 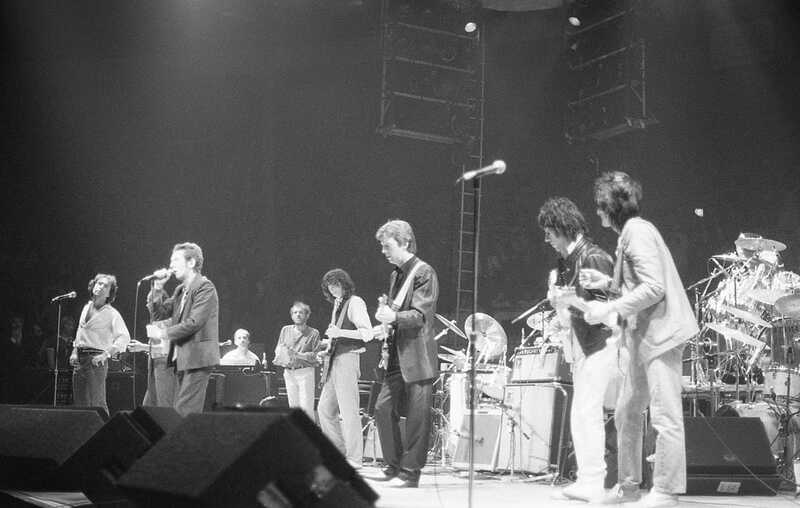 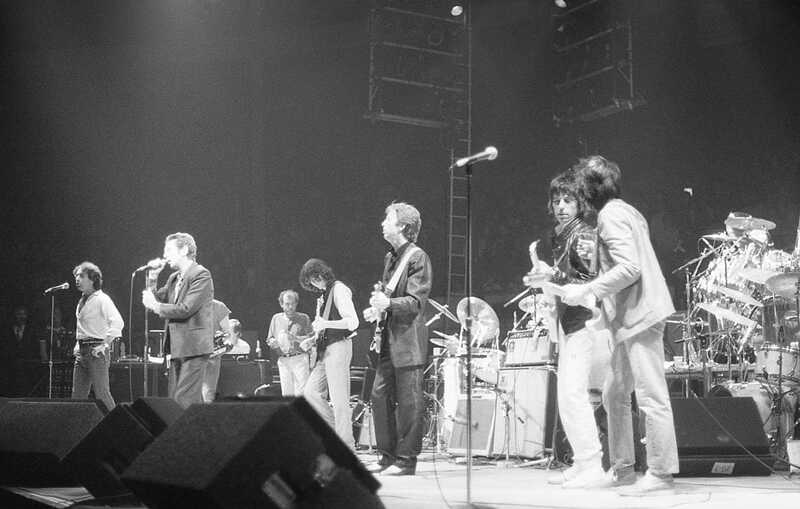 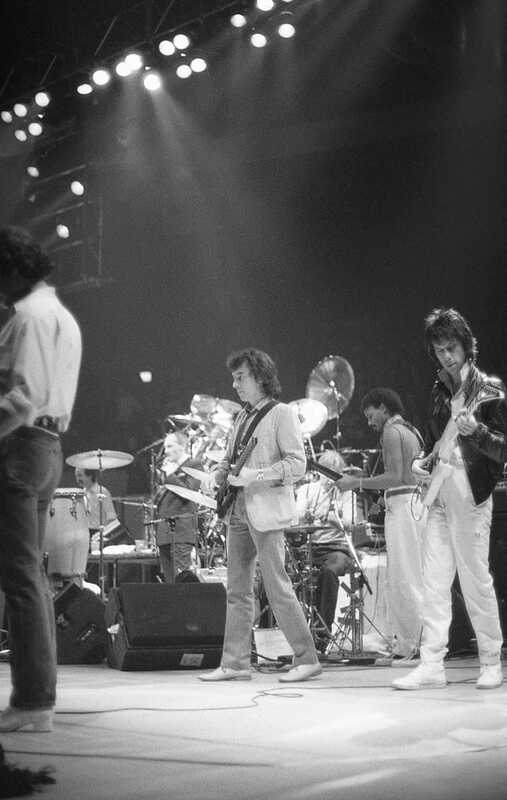 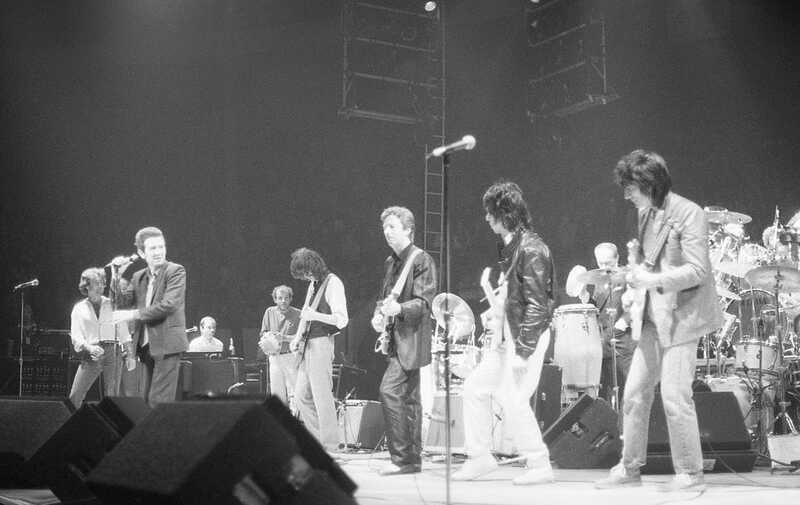 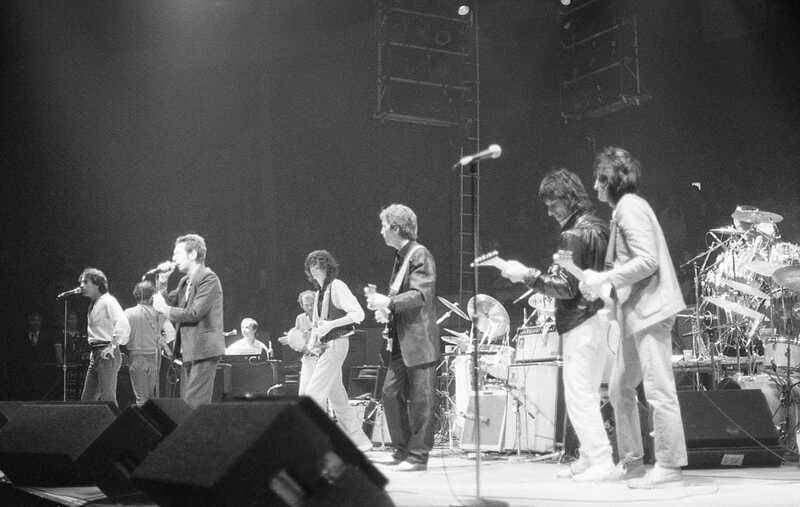 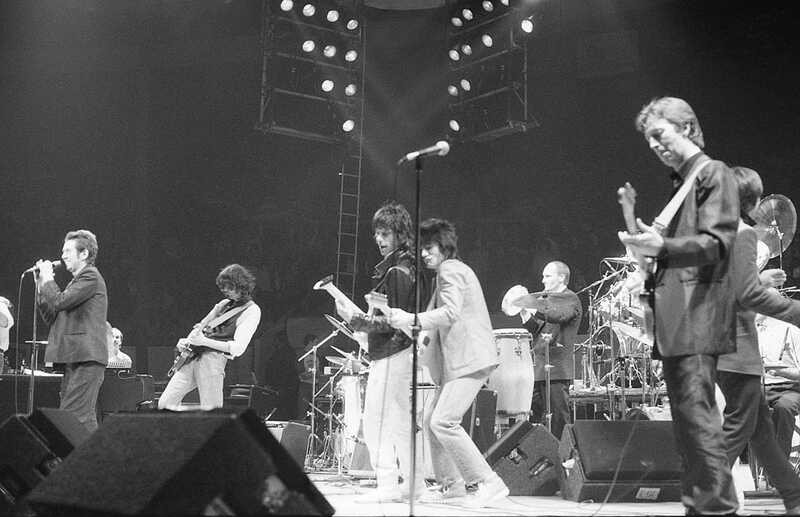 The concert was billed as The Ronnie Lane Appeal for ARMS and featured a star-studded line-up of British musicians, including Jimmy Page, Eric Clapton, Jeff Beck, Steve Winwood, Andy Fairweather Low, Bill Wyman, and Charlie Watts. 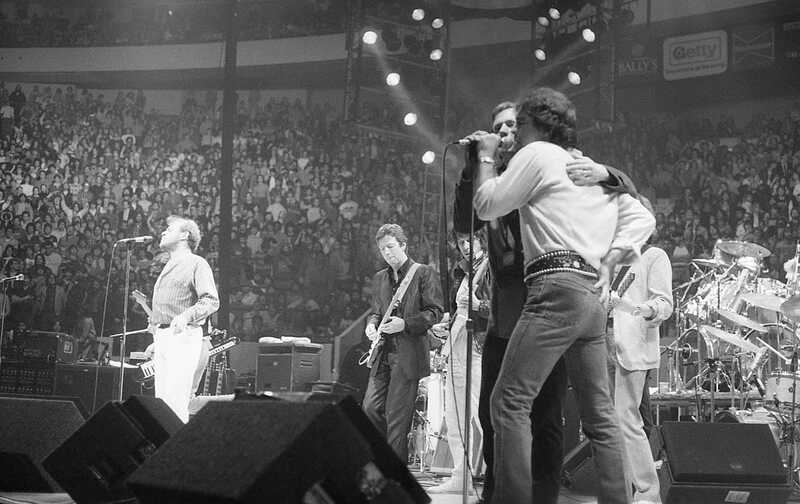 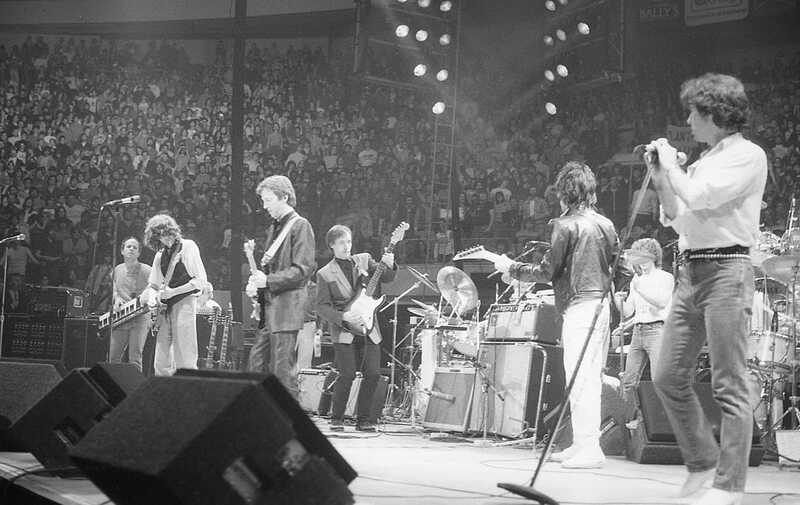 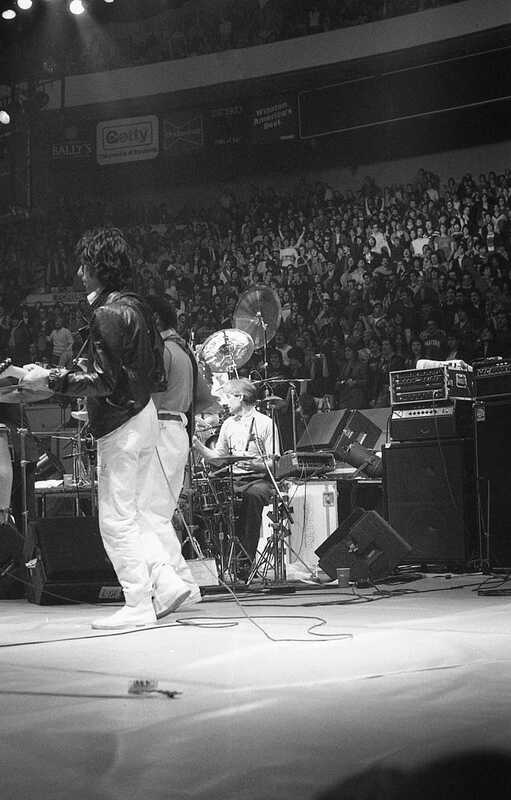 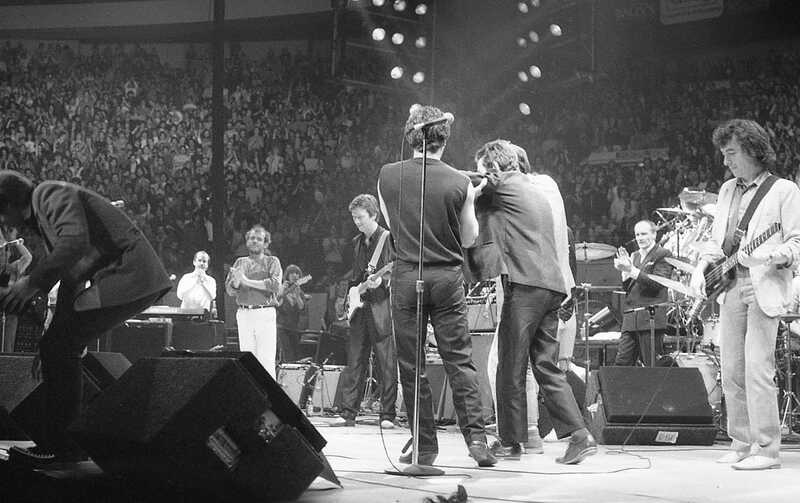 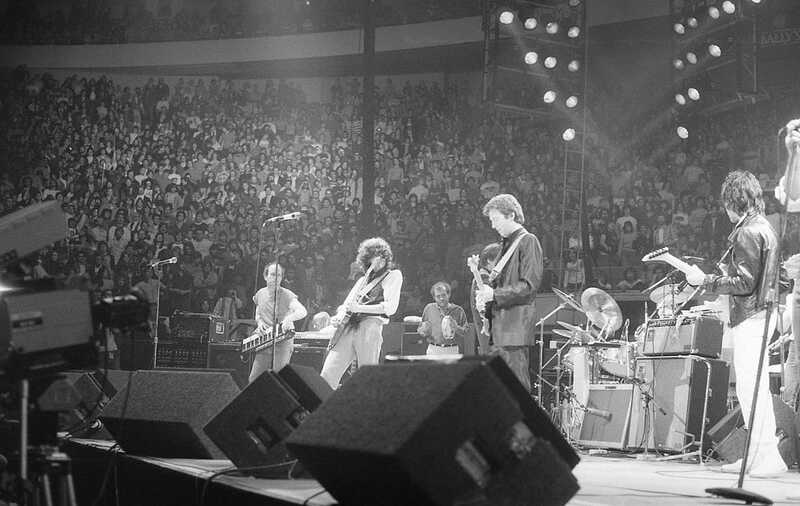 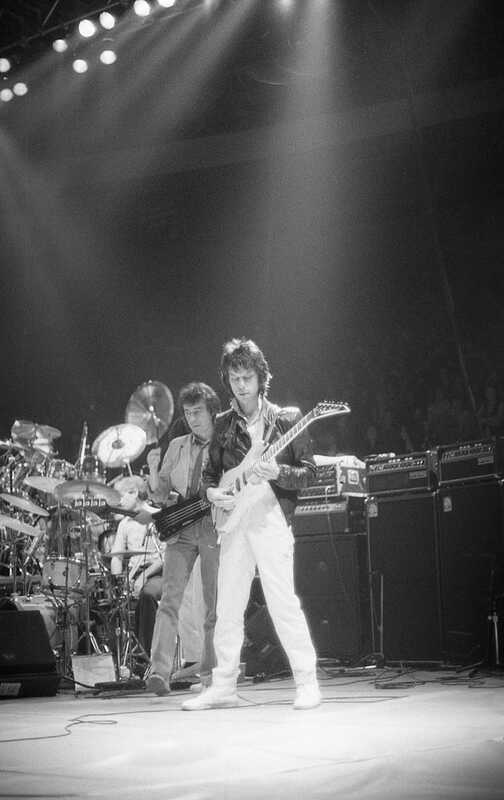 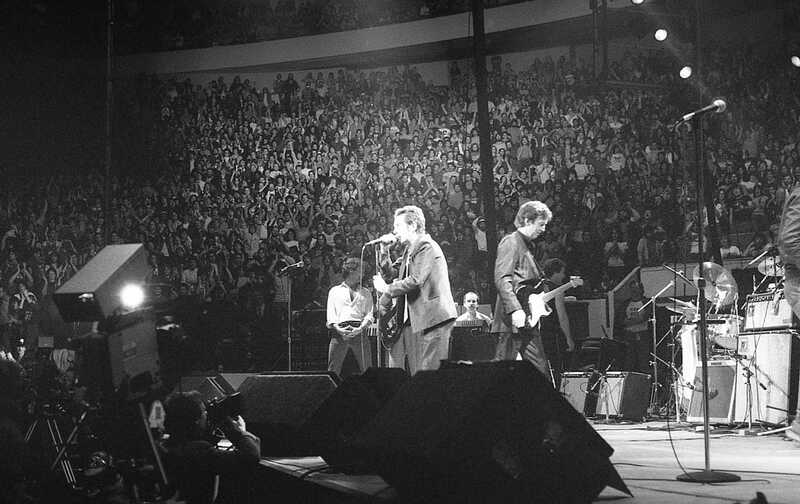 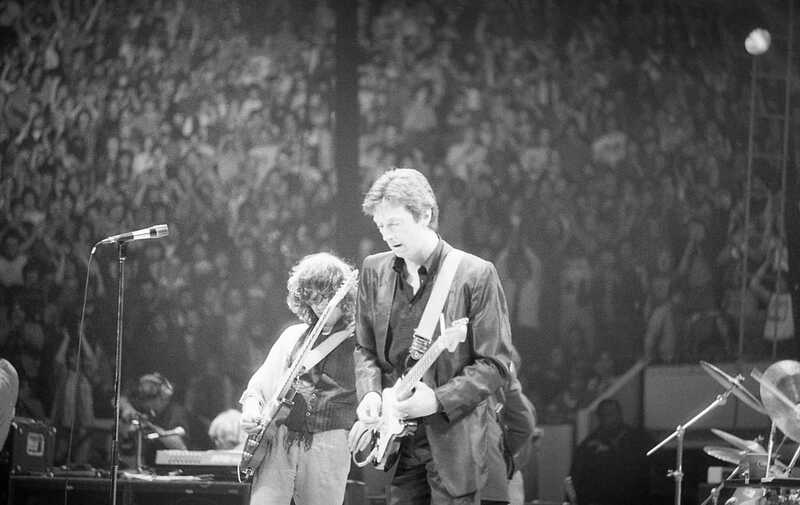 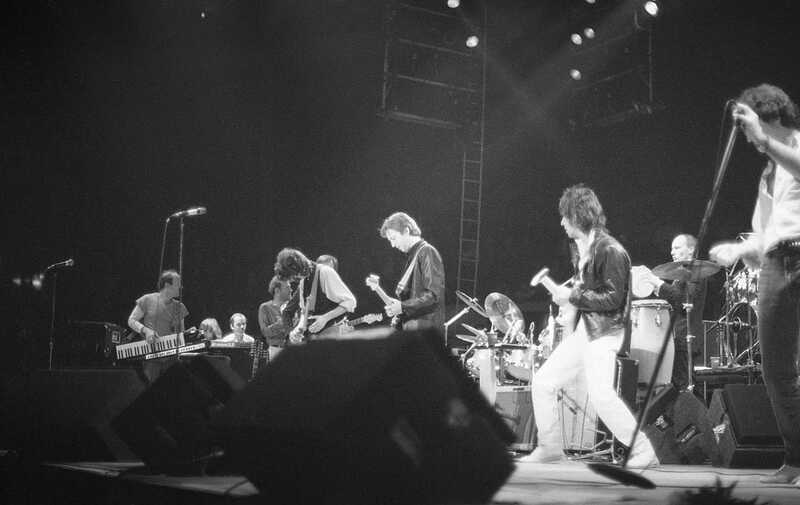 The concert was particularly notable in the fact that it was the first occasion on which Clapton, Beck and Page, each a former lead guitarist for The Yardbirds, had performed together on stage. 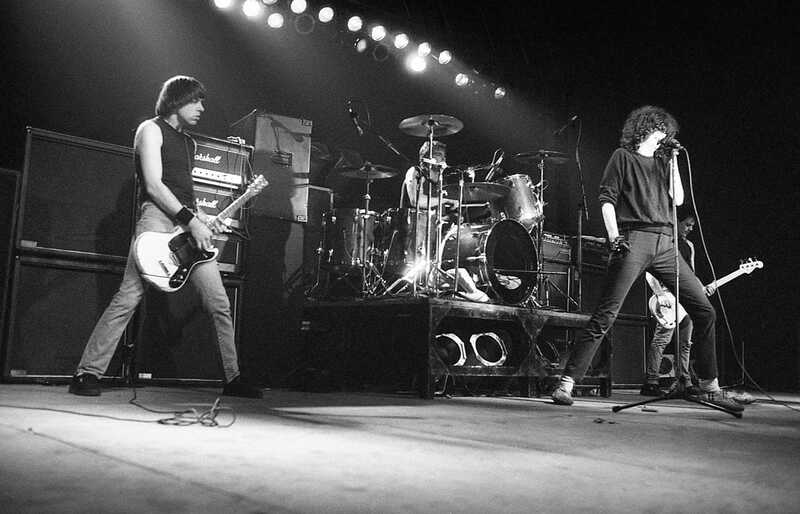 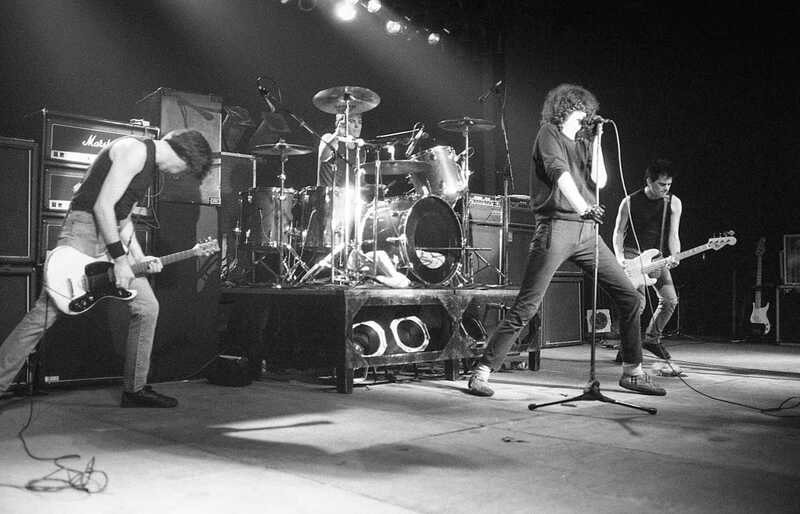 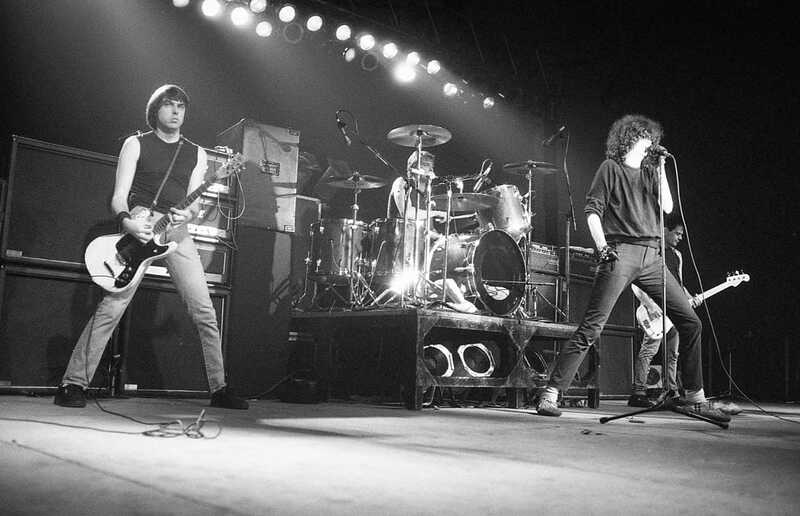 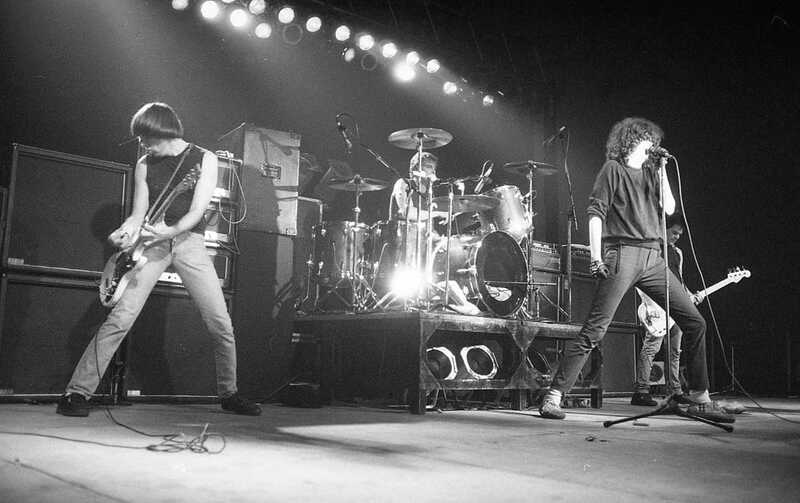 The Ramones were an American punk rock band that formed in the New York City neighborhood of Forest Hills, Queens, in 1974. 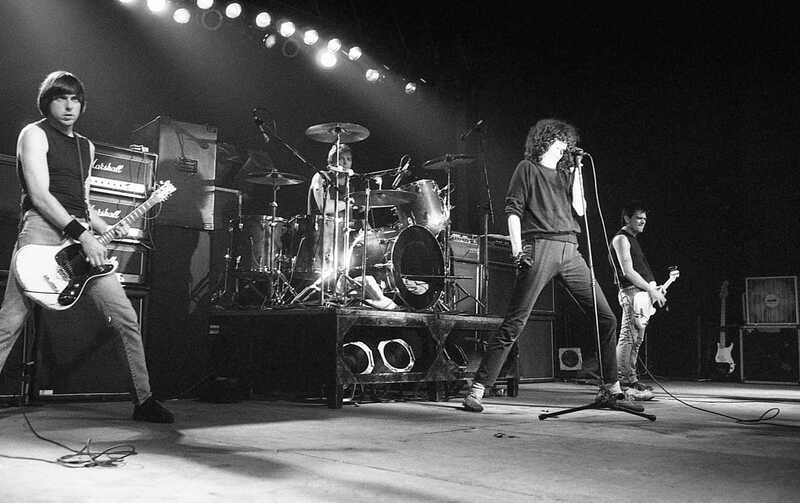 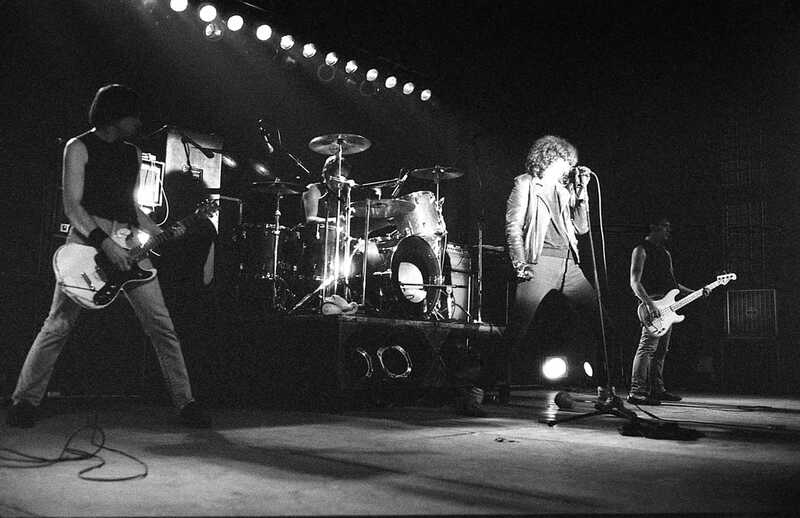 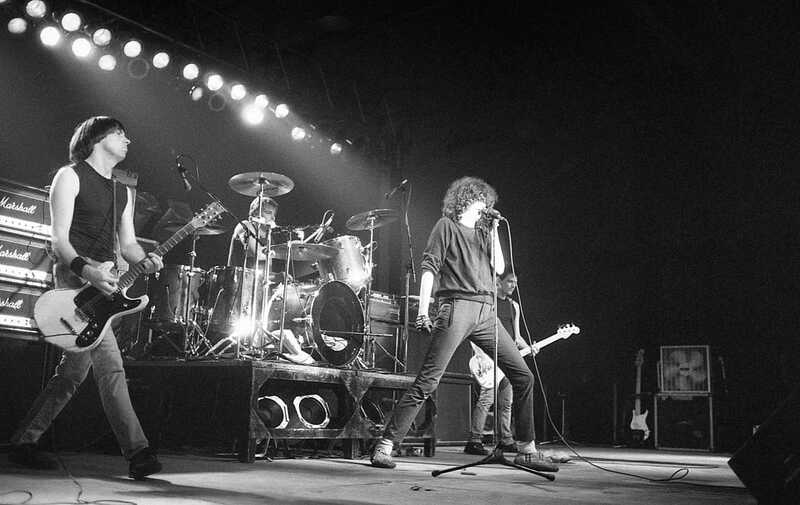 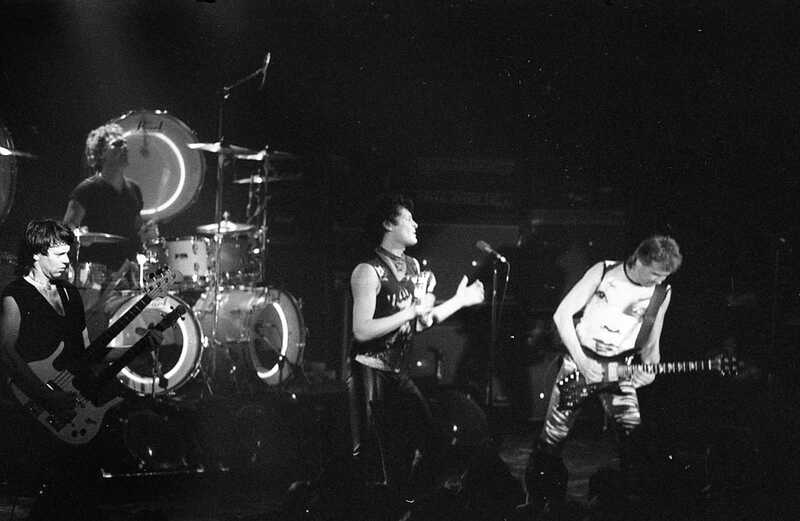 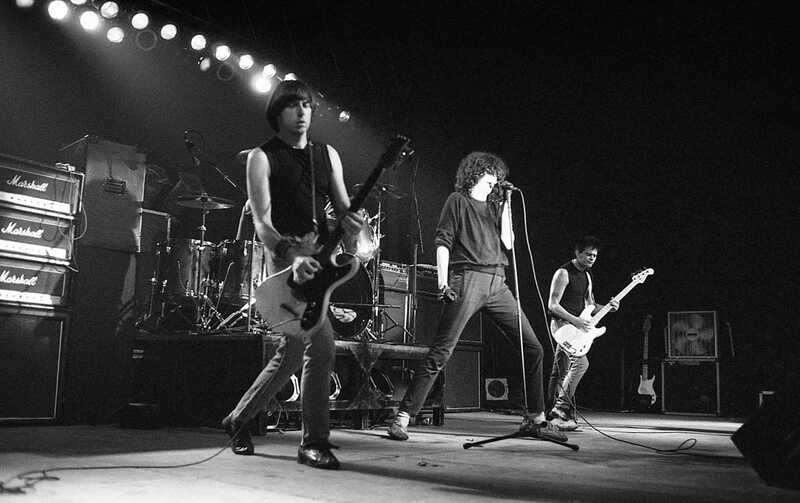 They are often cited as the first band to define the punk-rock sound. 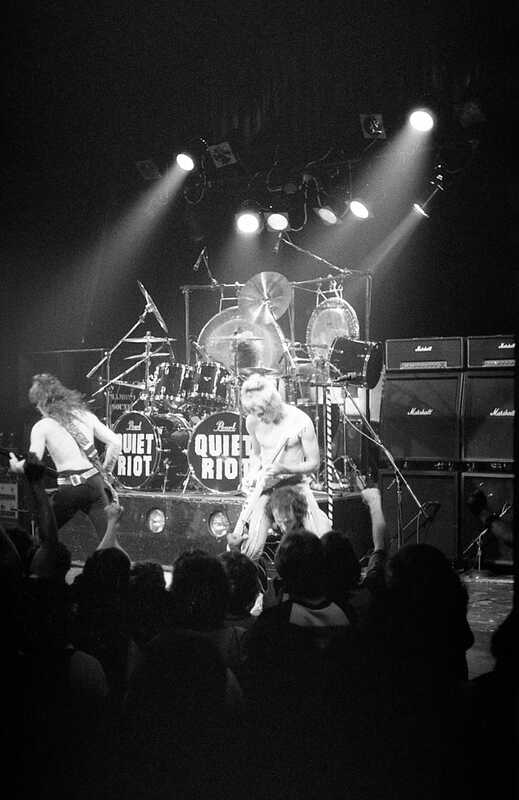 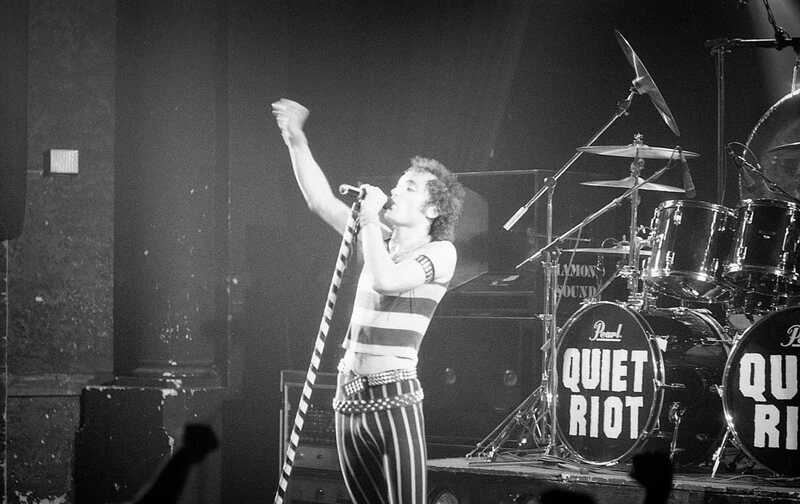 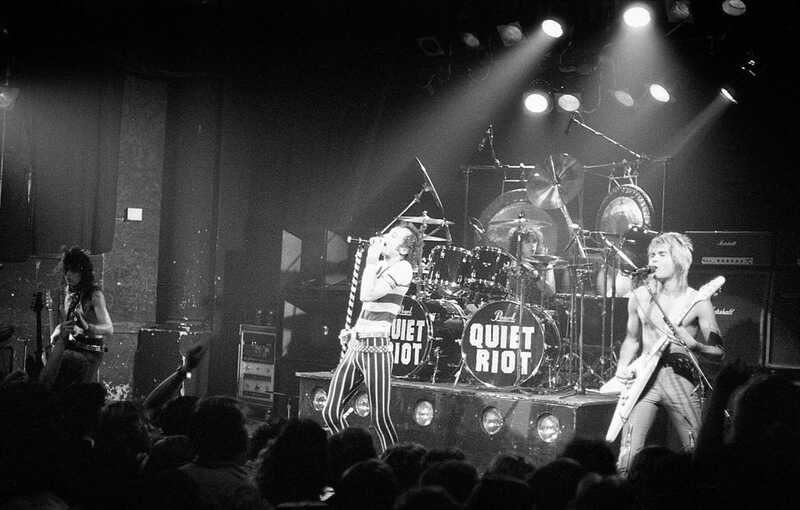 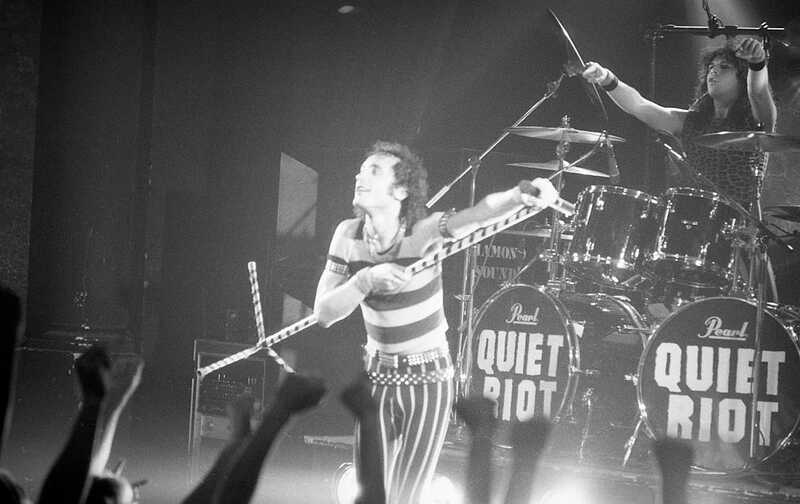 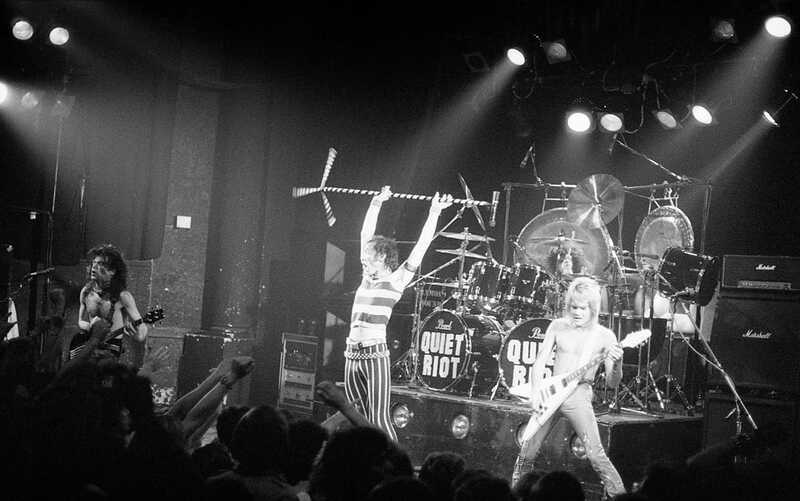 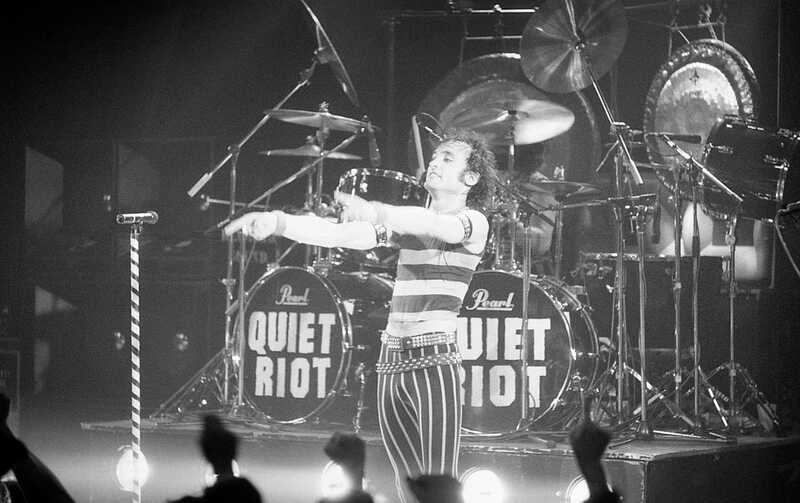 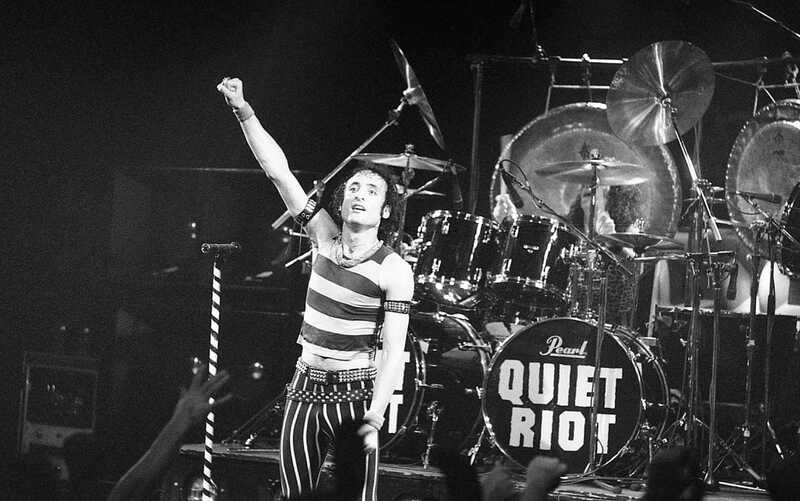 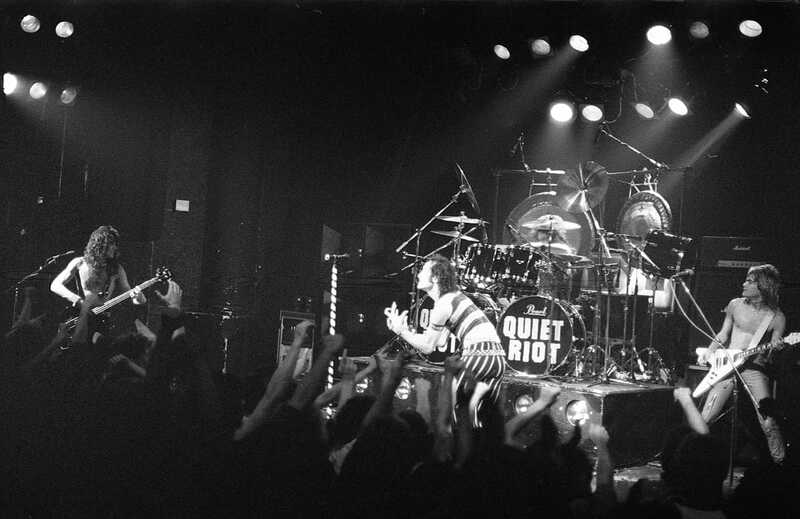 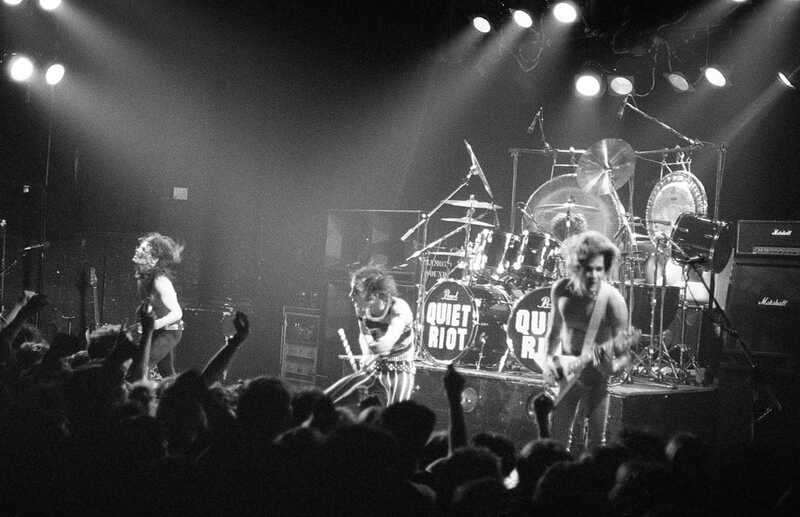 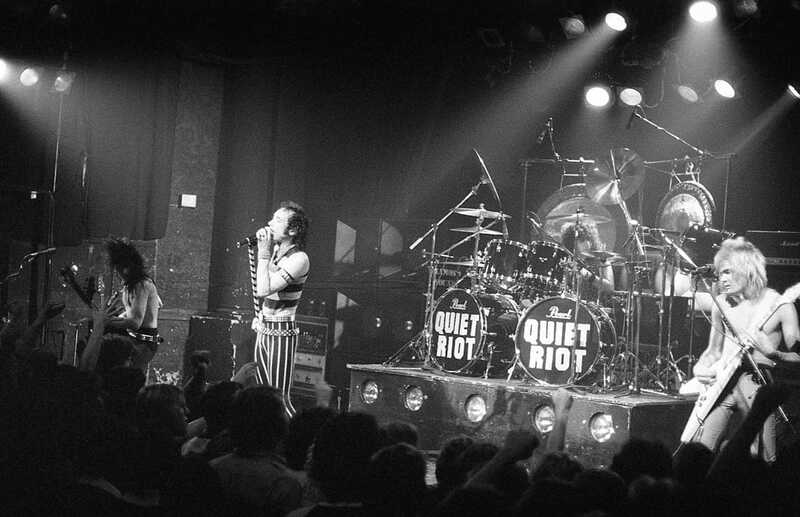 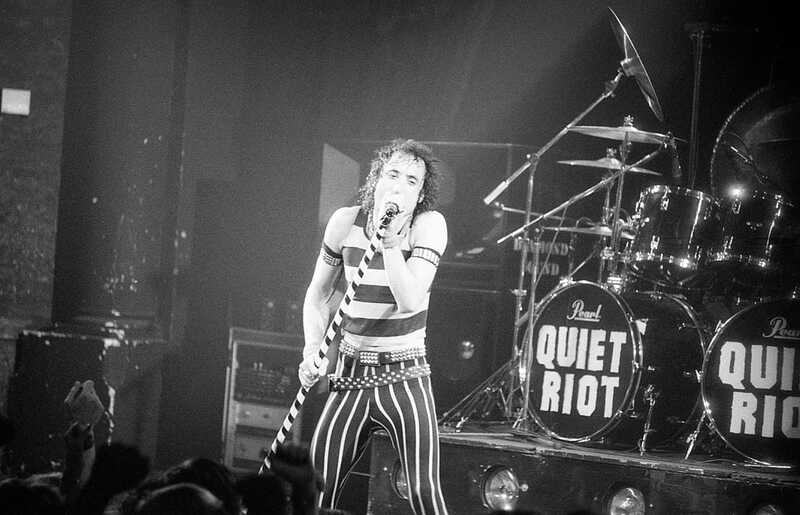 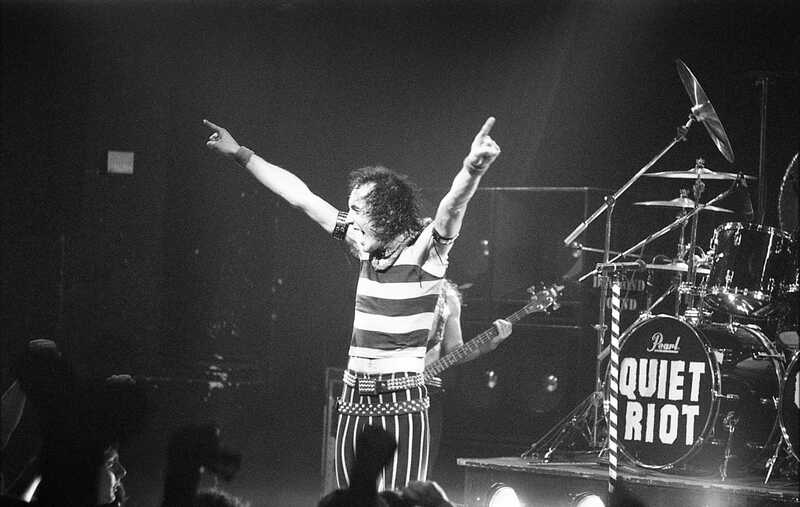 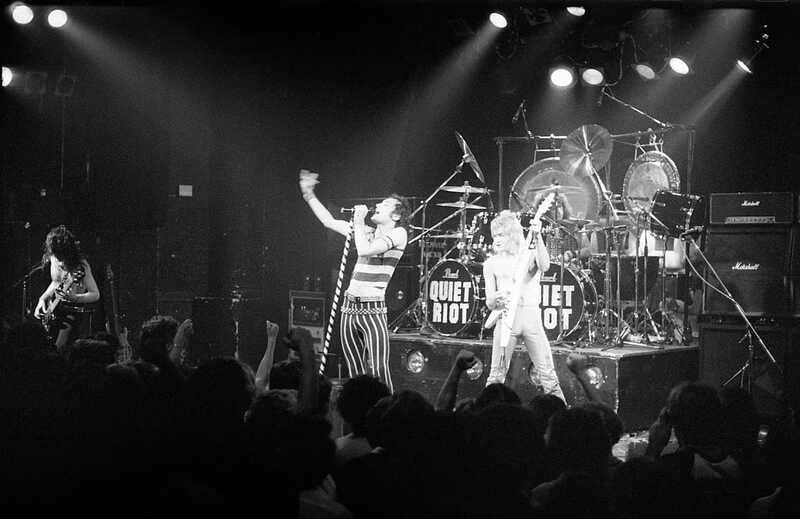 Quiet Riot is an American heavy metal band. 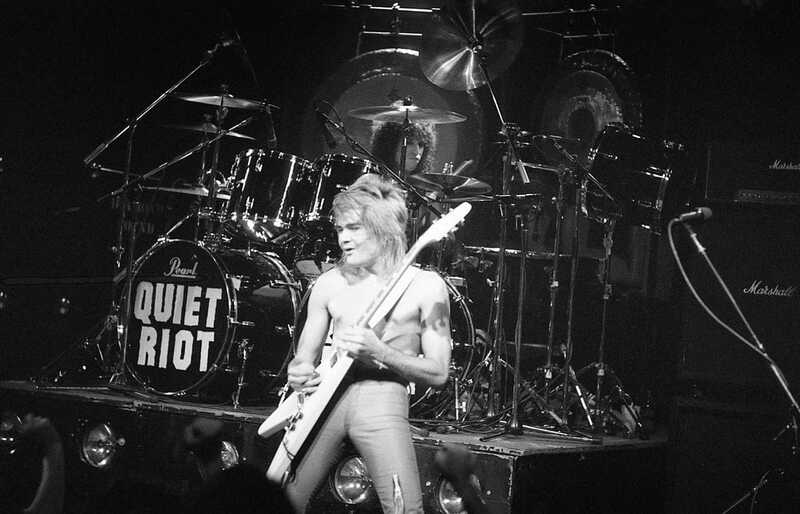 The band was founded in 1973, by guitarist Randy Rhoads and bassist Kelly Garni under the name Mach 1. 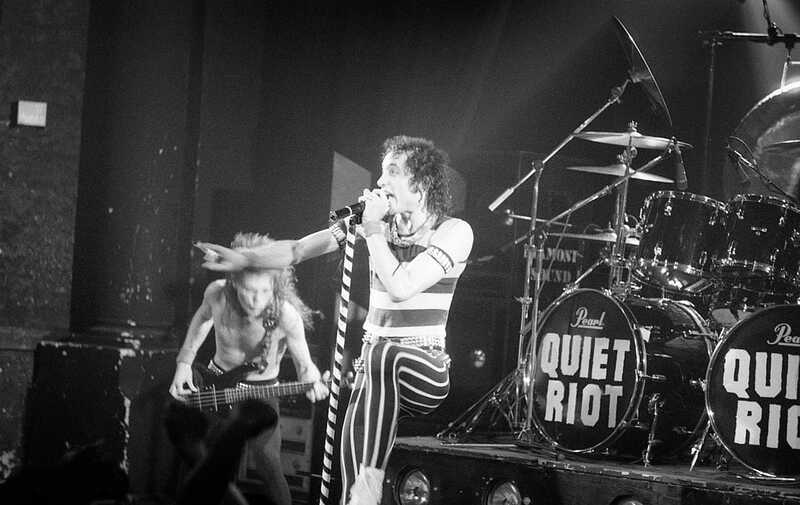 They then changed the name to Little Women, before settling on Quiet Riot in May 1975. 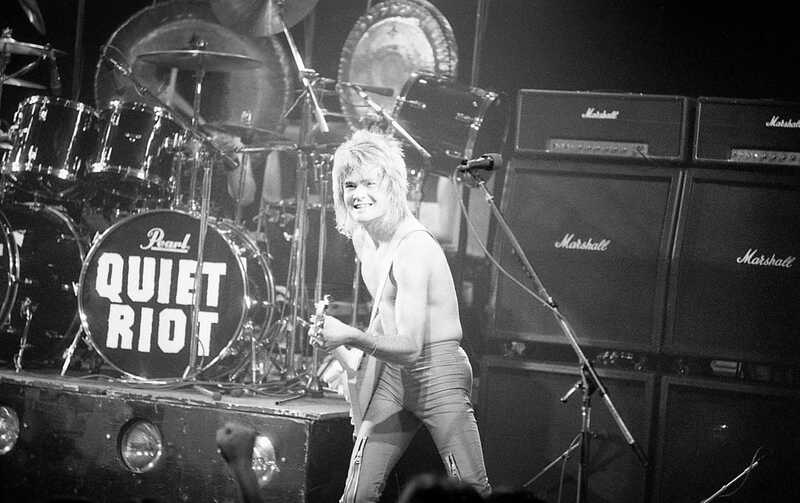 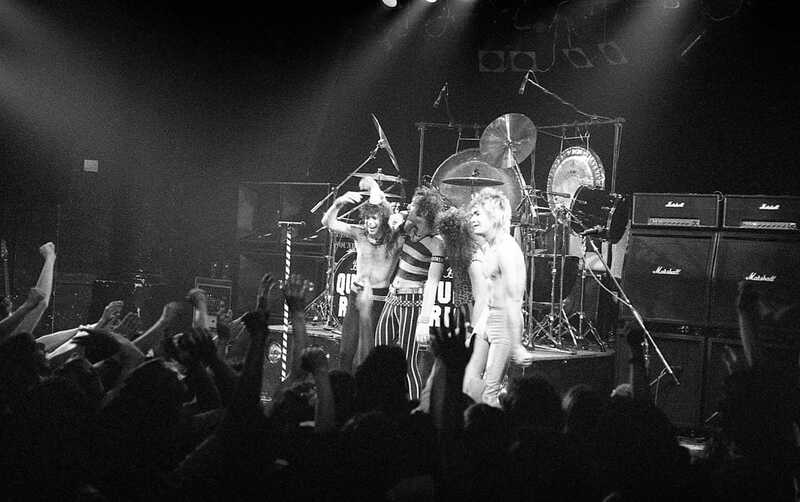 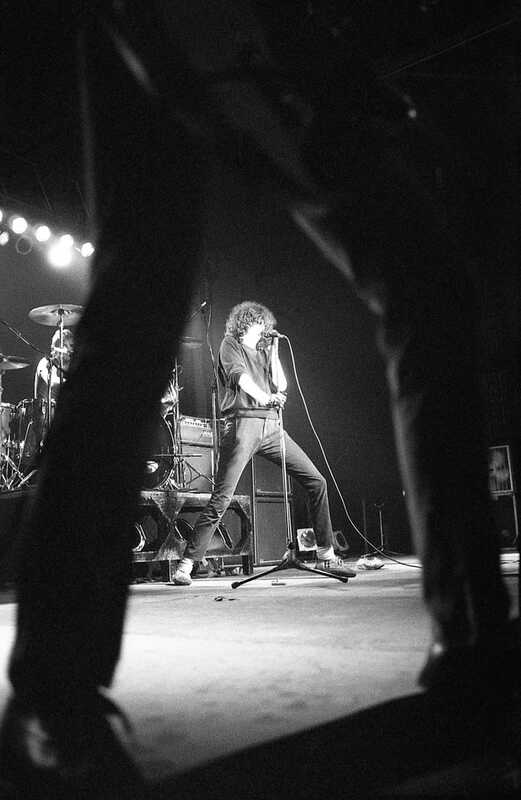 The band’s name was inspired by a conversation with Rick Parfitt of the British band Status Quo, who expressed desire to name a band “Quite Right,” and his thick English accent made it sound like he was saying “Quiet Riot.” The band is ranked at No. 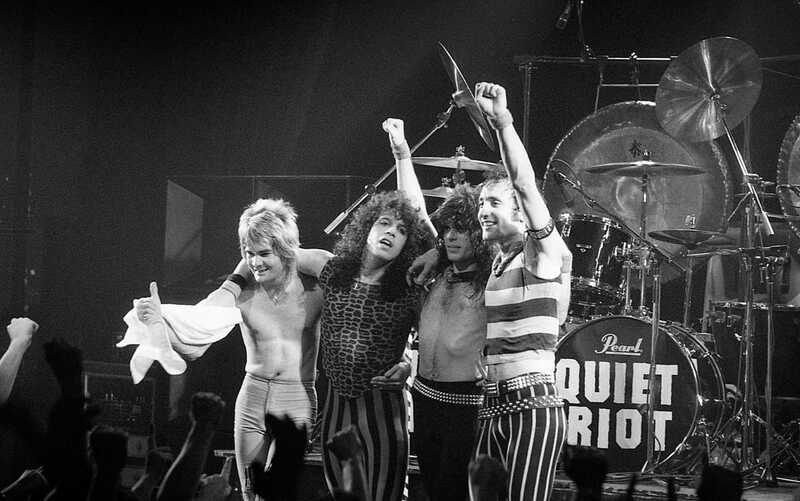 100 on VH1‘s 100 Greatest Artists of Hard Rock. 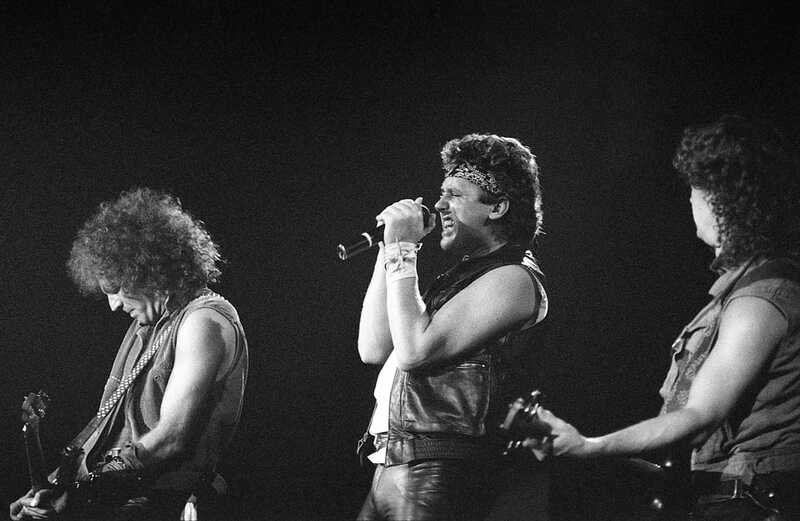 Loverboy is a Canadian rock band formed in 1979 in Calgary, Alberta. 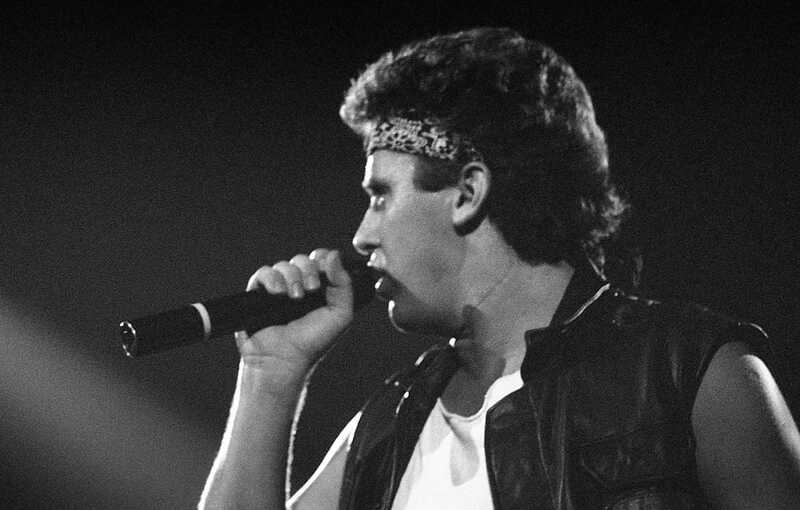 Loverboy’s hit singles, particularly “Turn Me Loose” and “Working for the Weekend”, have become arena rock staples and are still heard on many classic rock and classic hits radio stations across Canada. 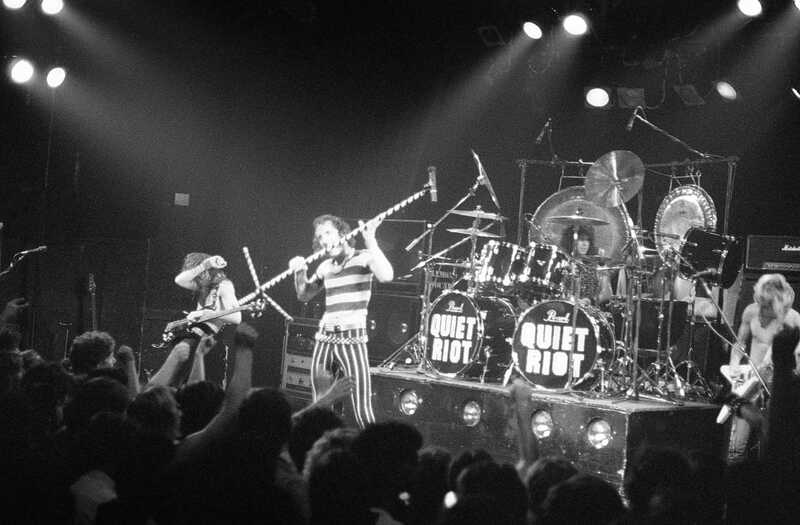 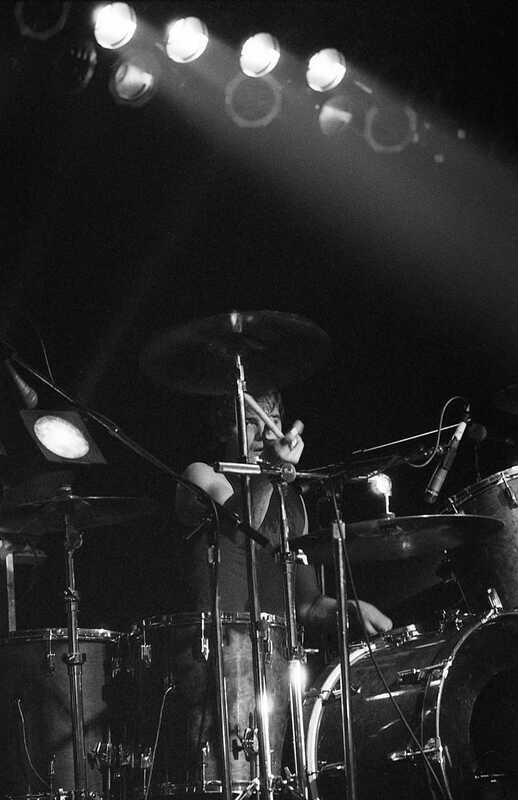 The band is based in Vancouver. 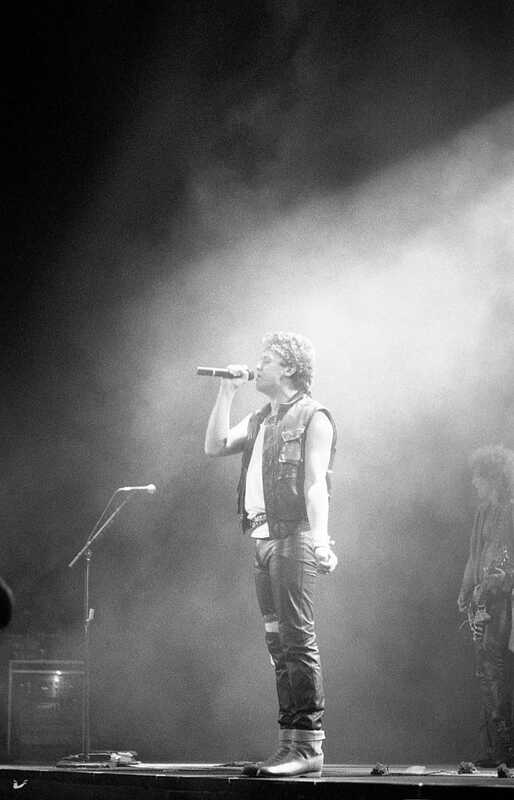 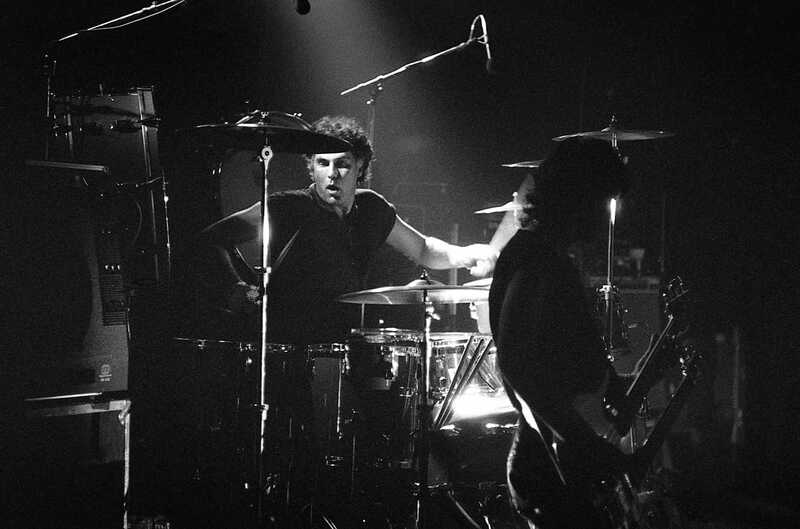 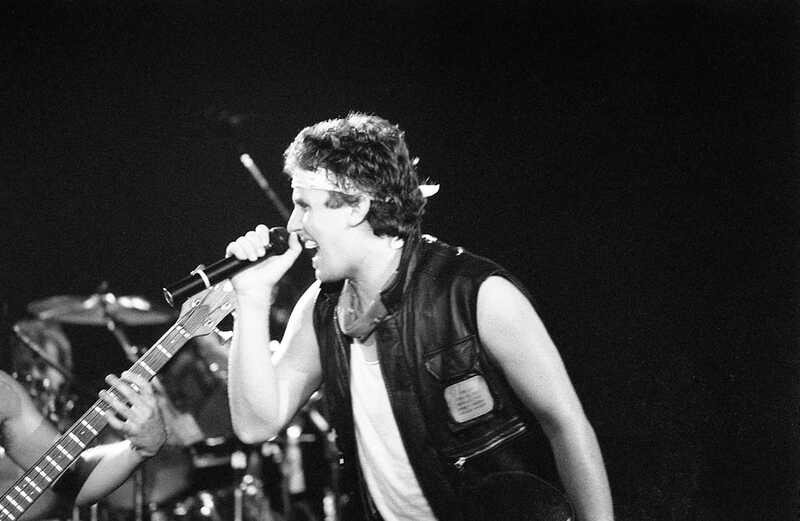 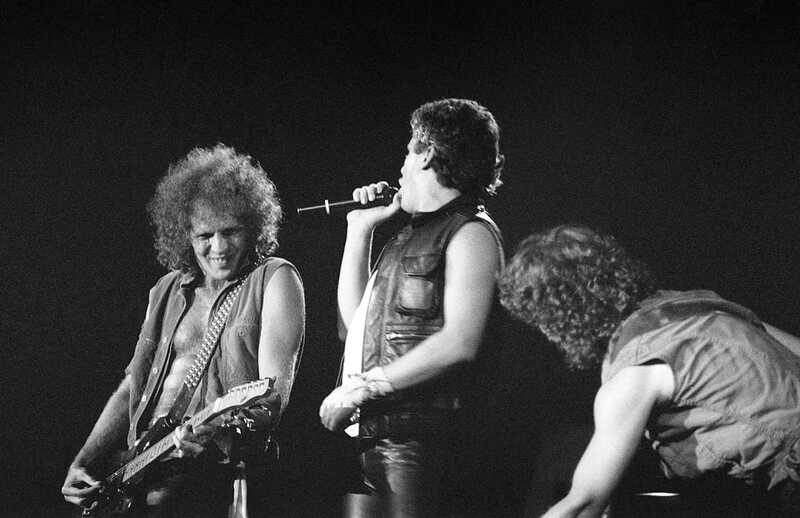 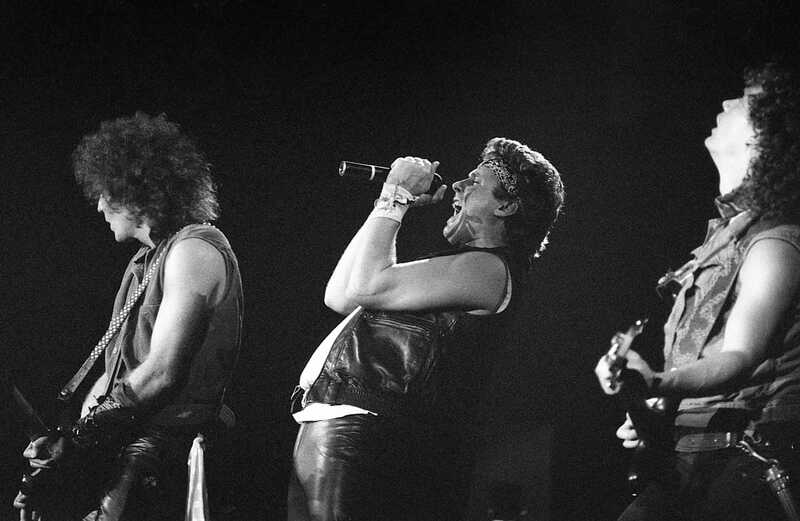 Throughout the 1980s, Loverboy accumulated numerous hit songs in Canada and the United States, earning four multi-platinum albums and selling millions of records. 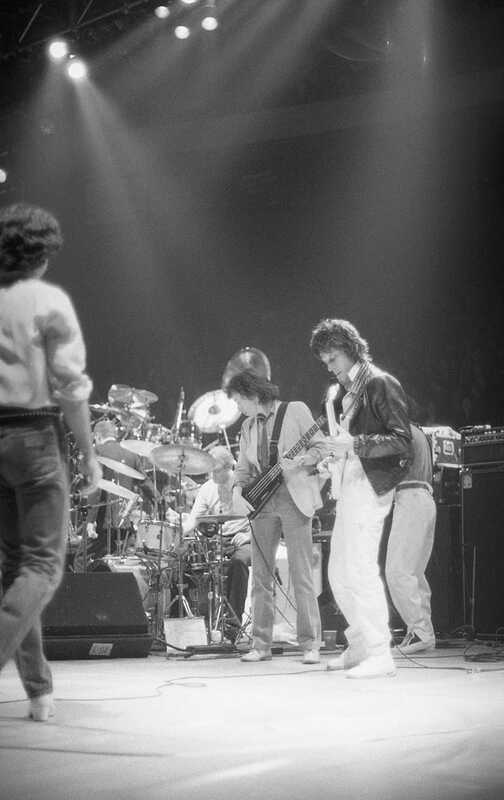 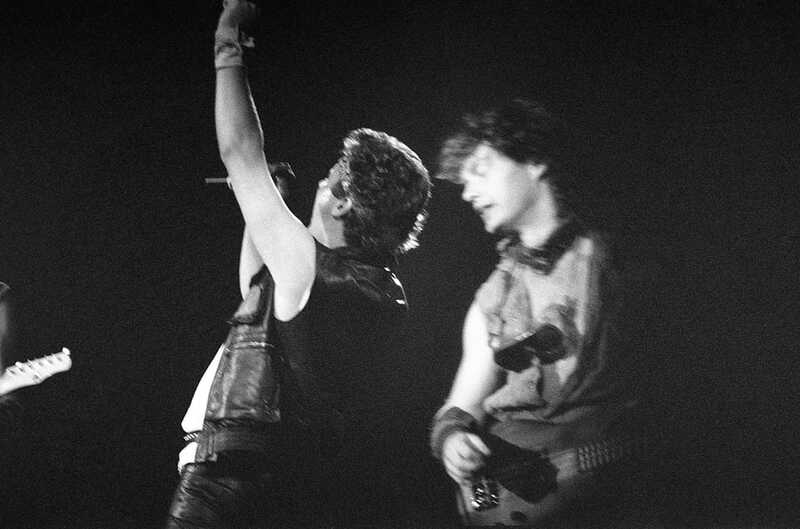 After being rejected by many American record labels, they signed with Columbia/CBS Records Canada and began recording their first album on March 20, 1980. 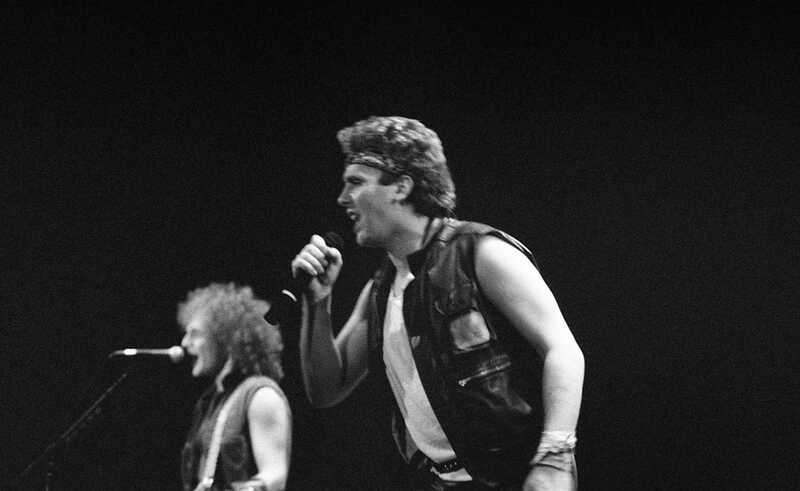 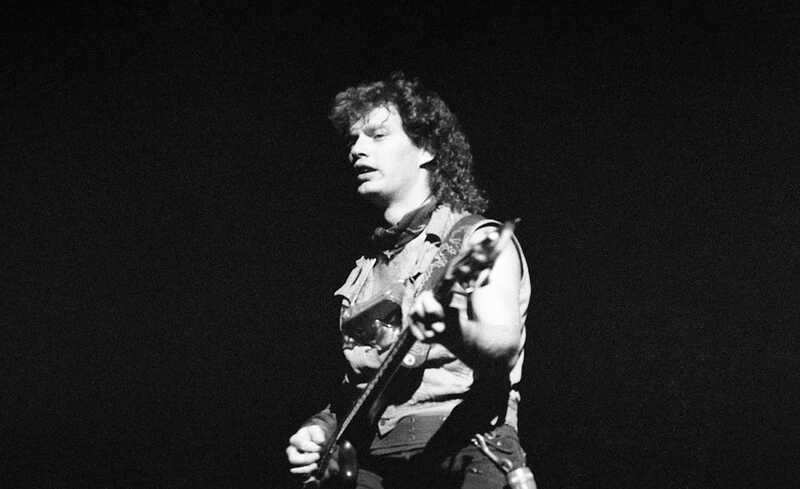 Loverboy’s founding members were lead singer Mike Reno, guitarist Paul Dean, keyboardist Doug Johnson, bassist Scott Smith, and drummer Matt Frenette. 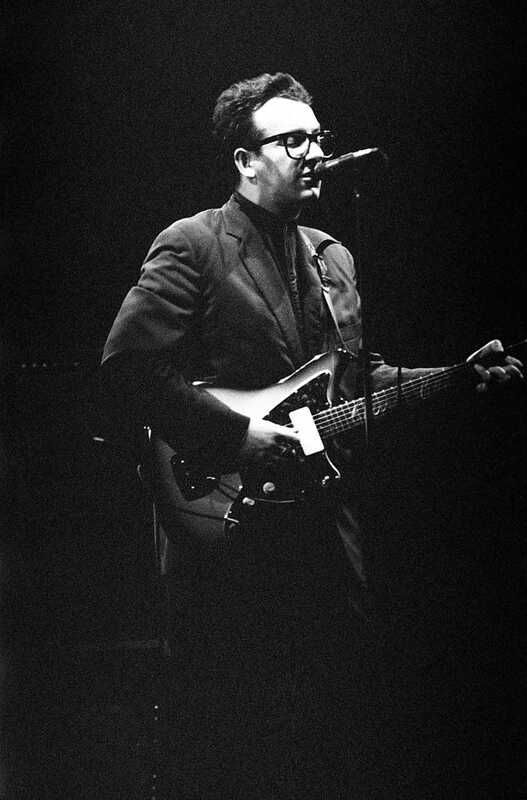 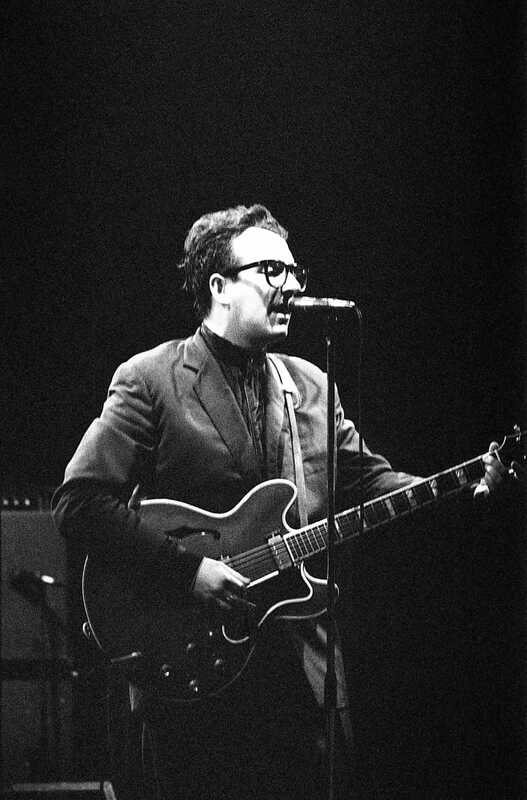 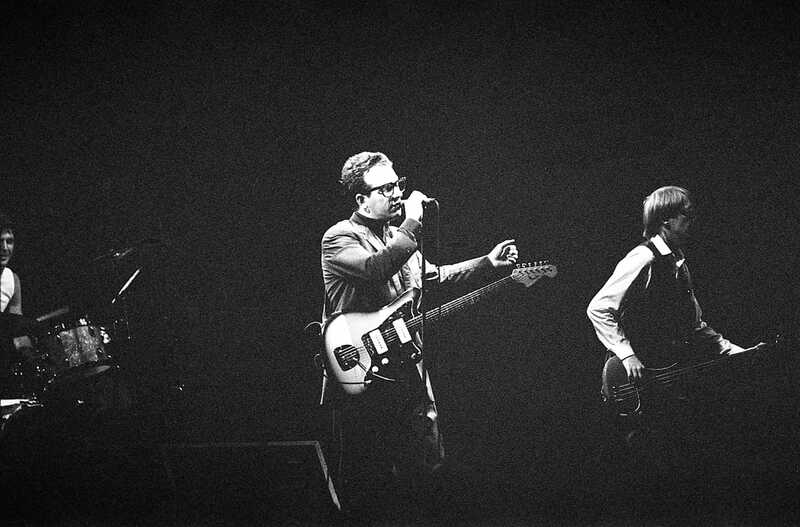 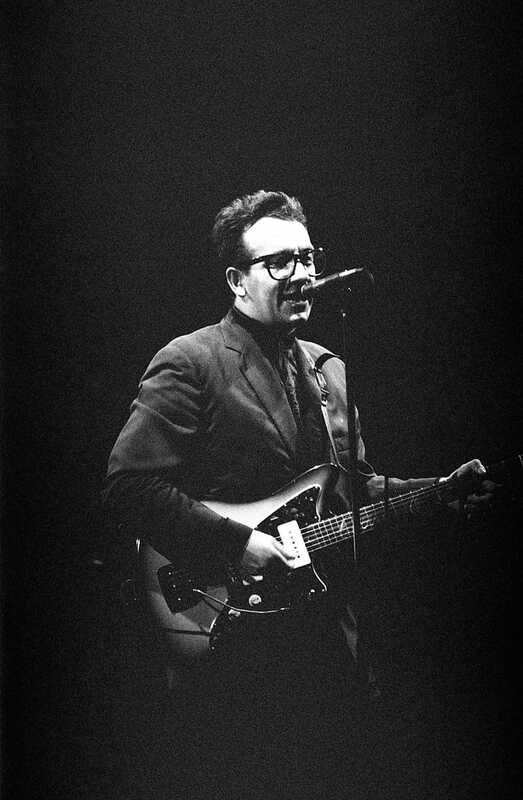 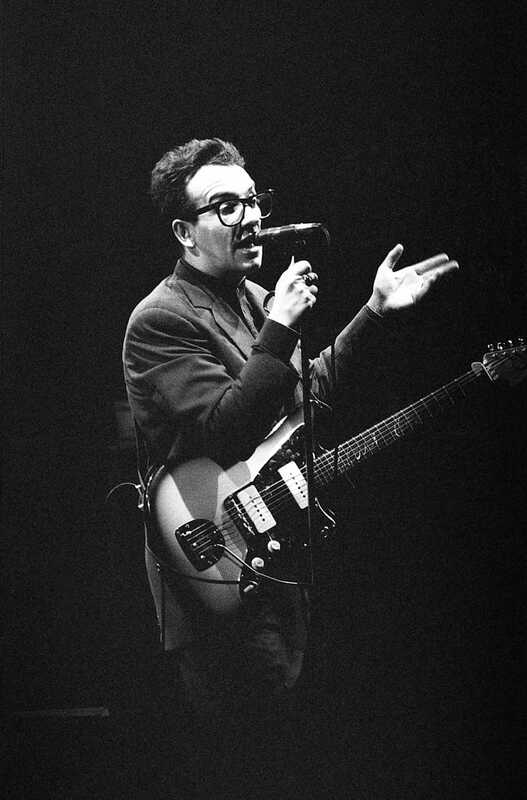 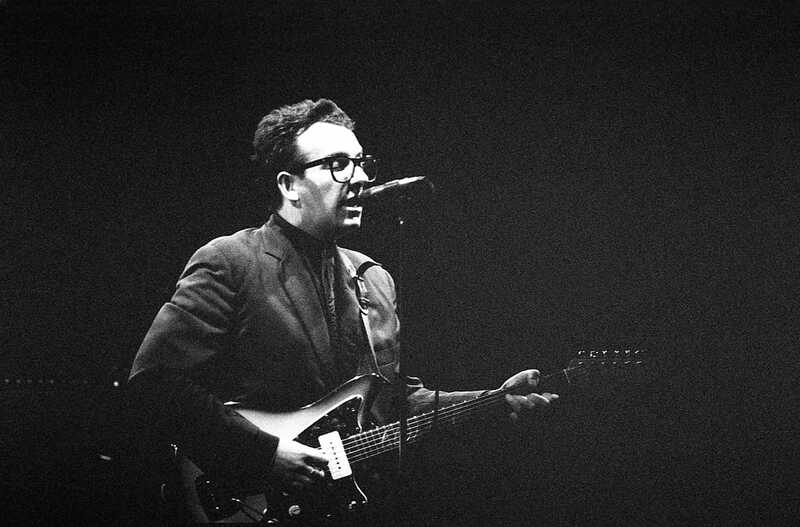 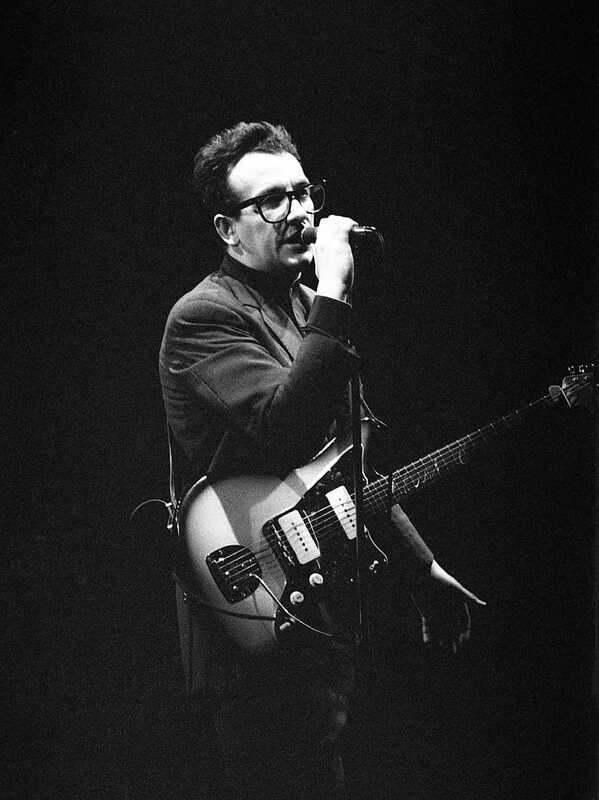 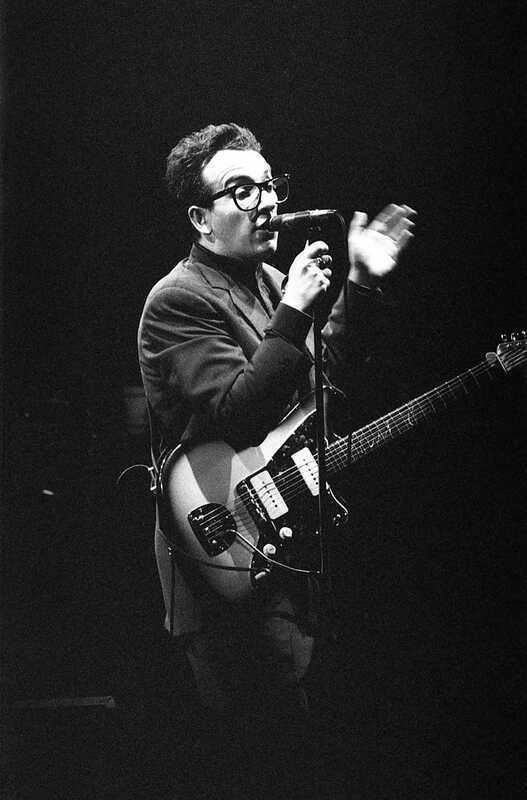 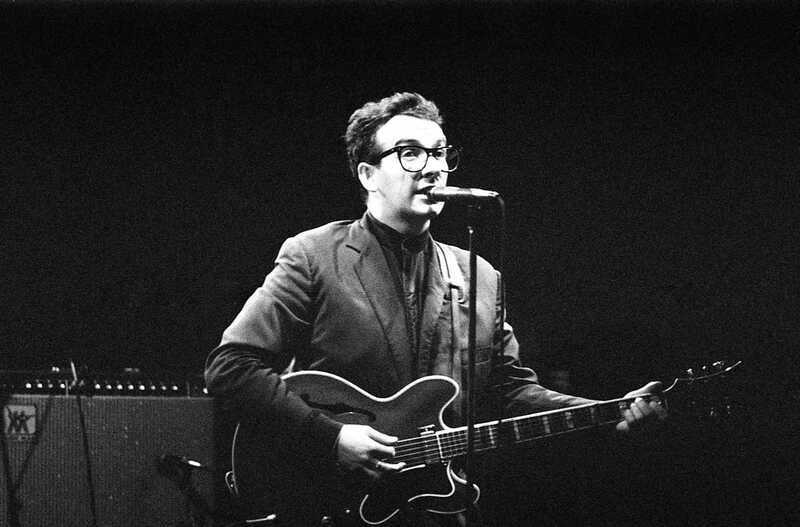 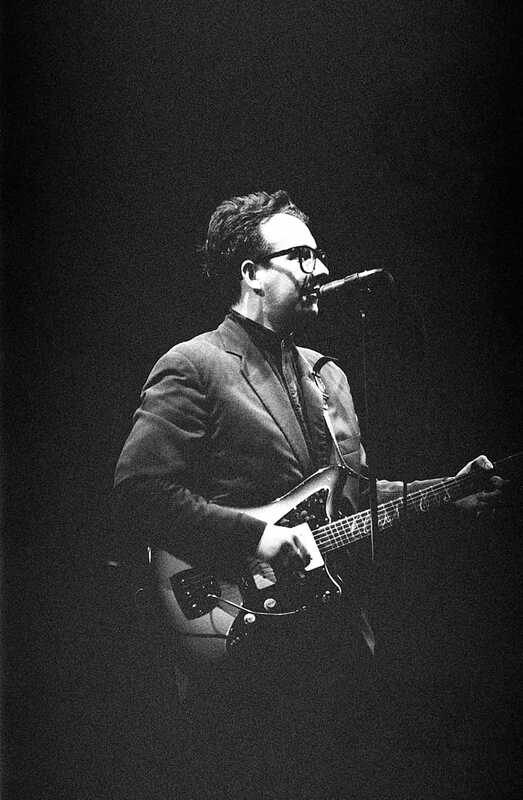 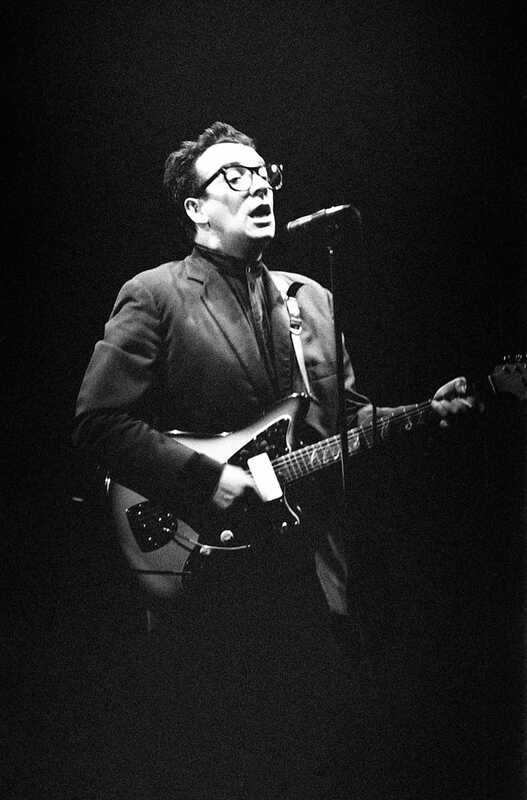 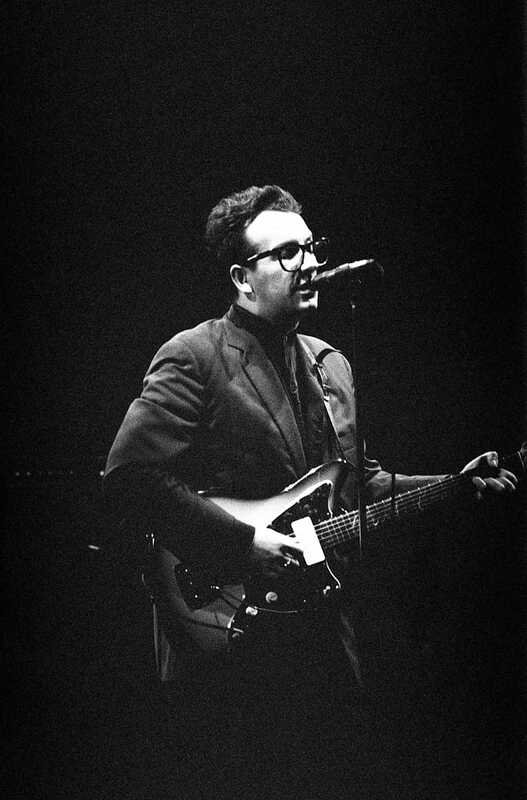 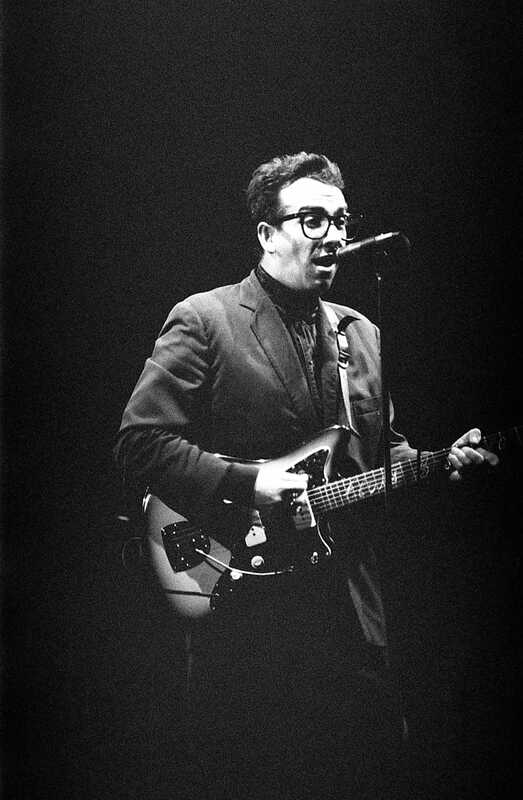 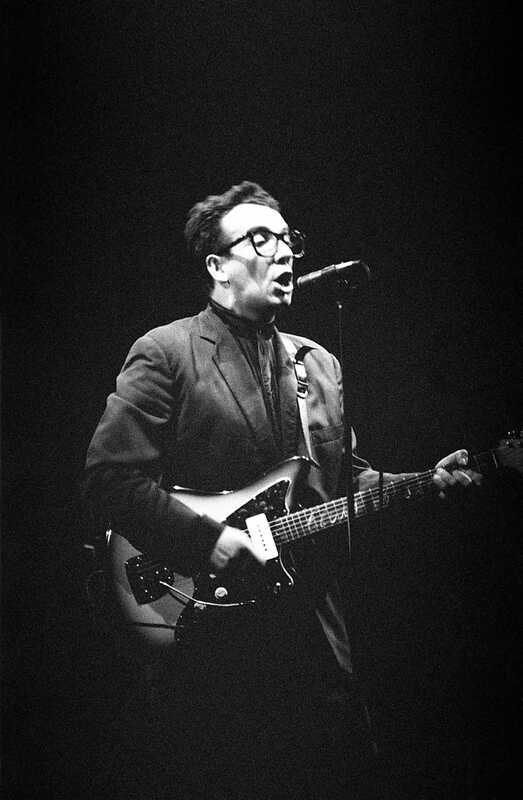 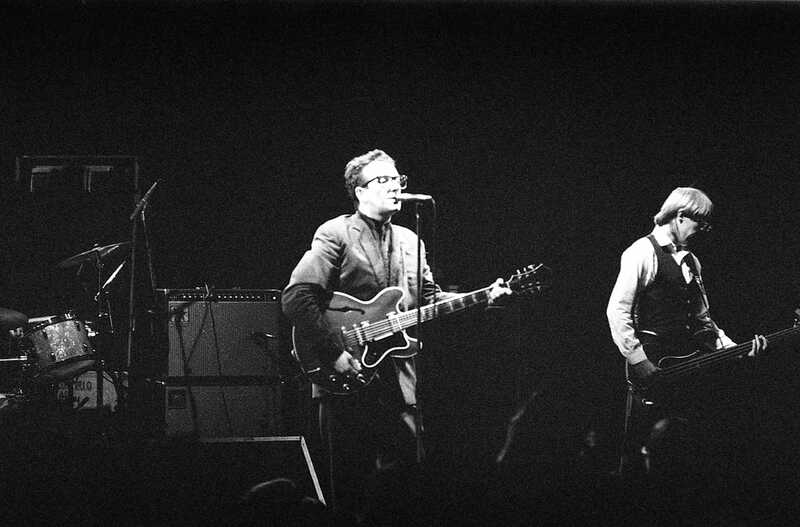 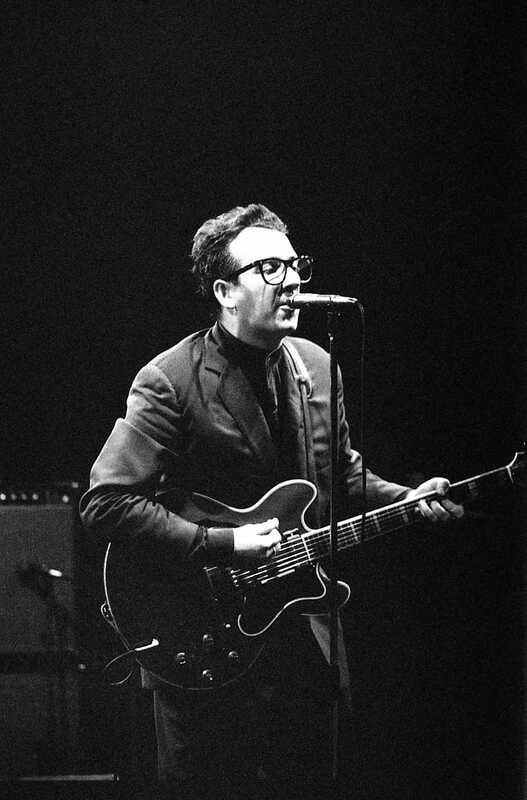 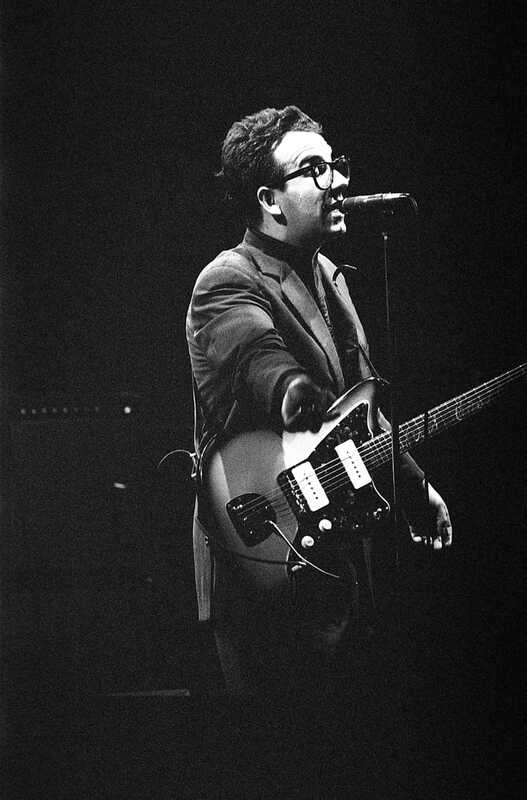 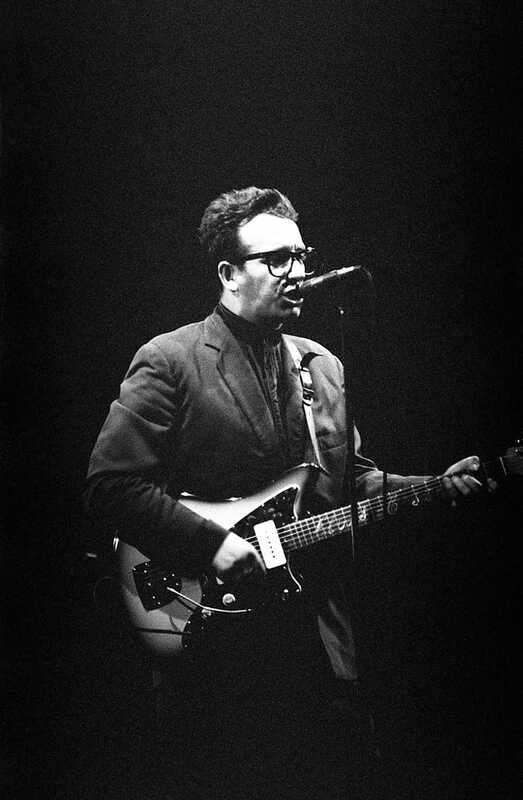 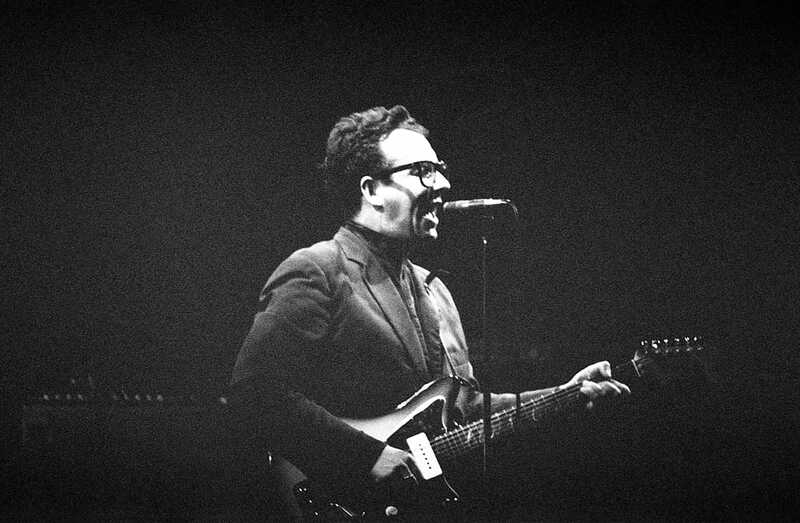 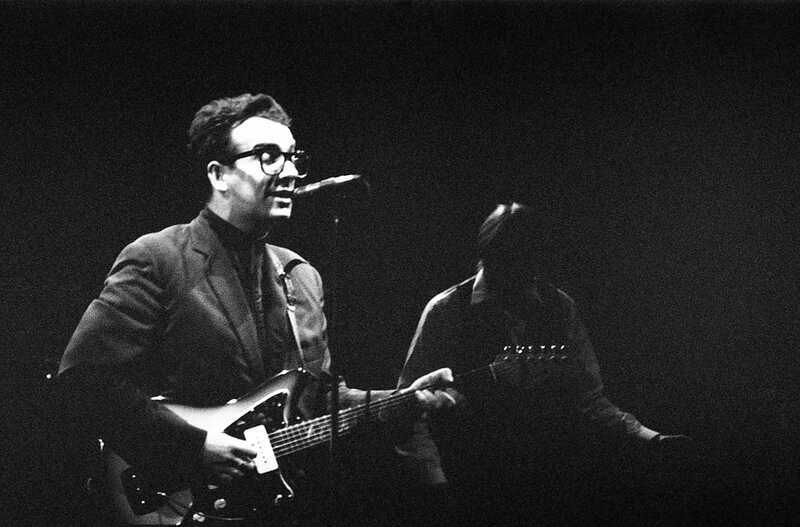 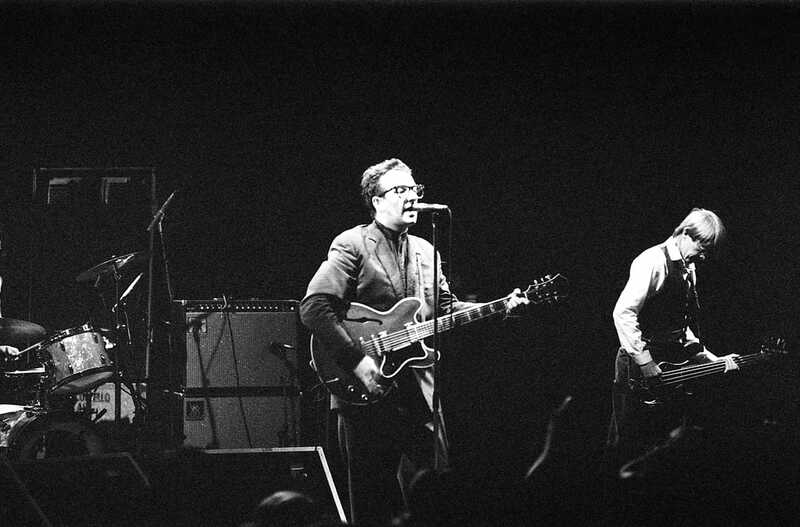 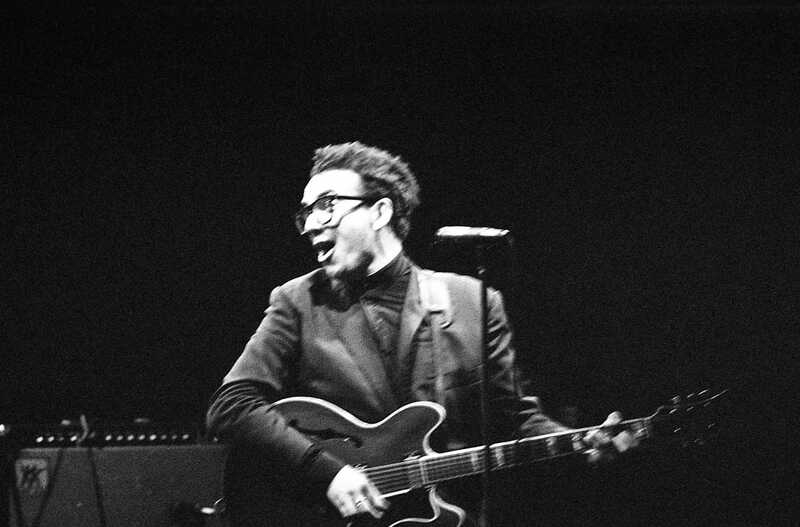 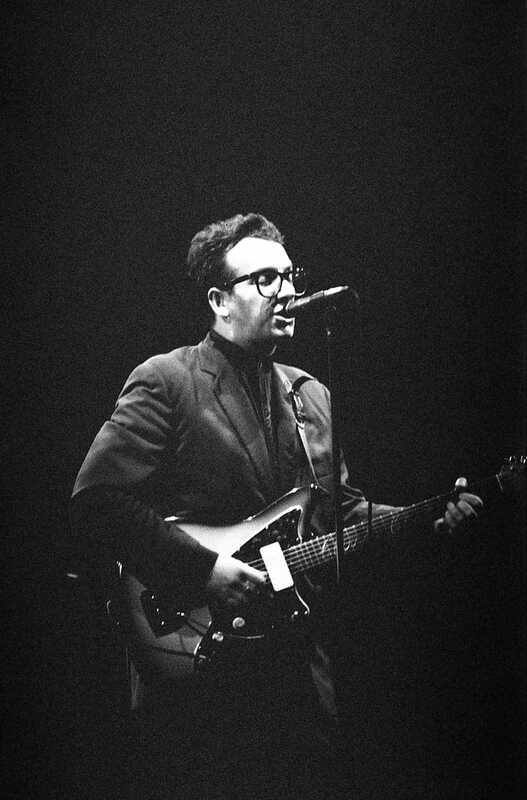 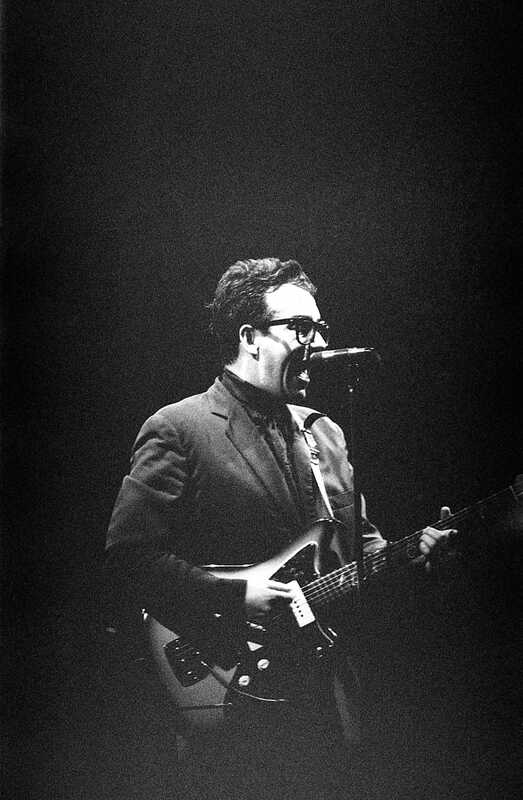 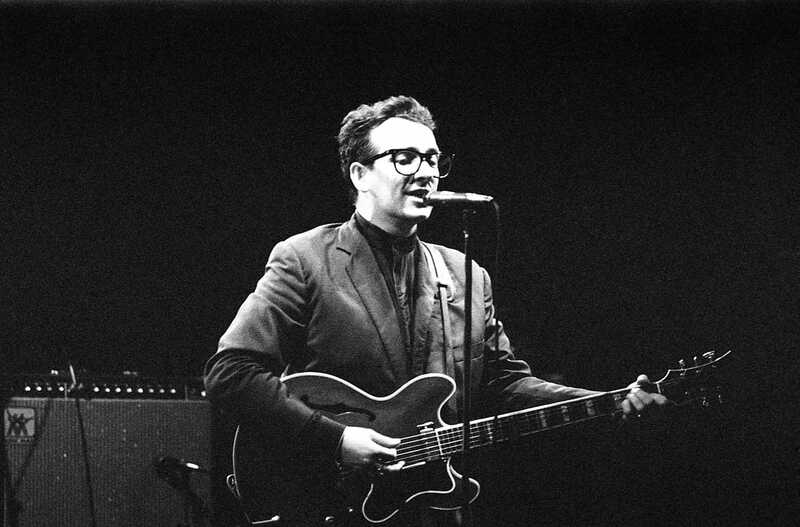 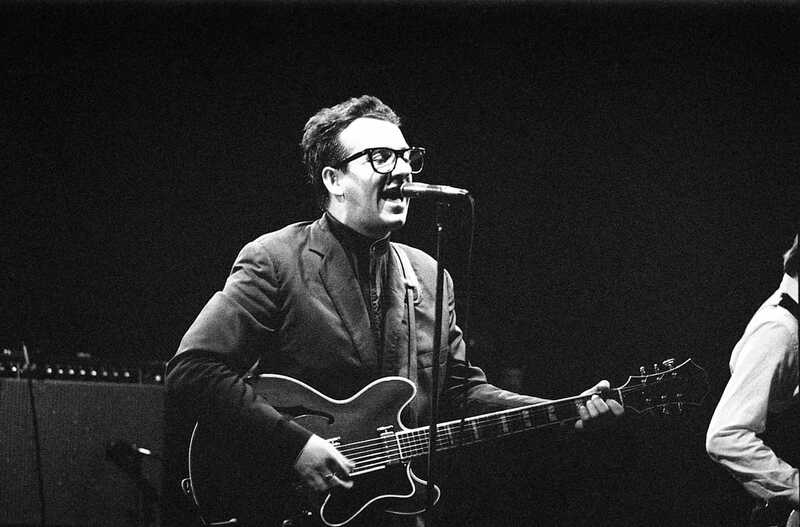 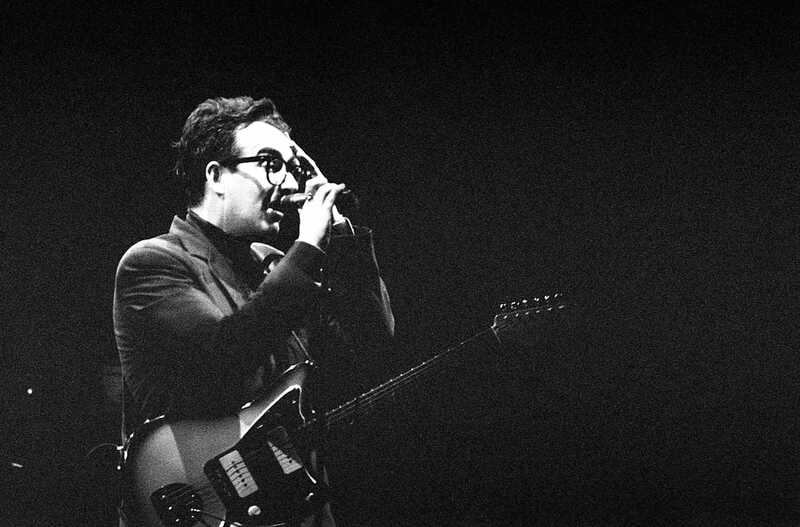 Declan Patrick MacManus (born 25 August 1954), better known by his stage name Elvis Costello, is an English musician, singer-songwriter, and record producer. 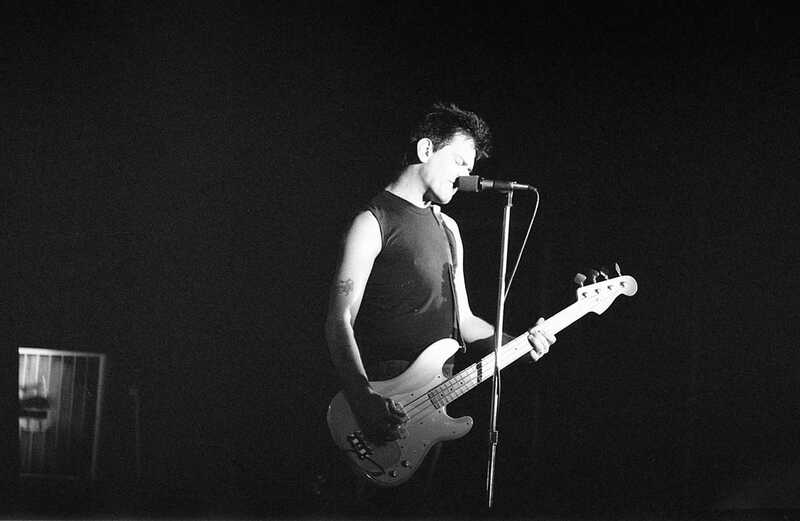 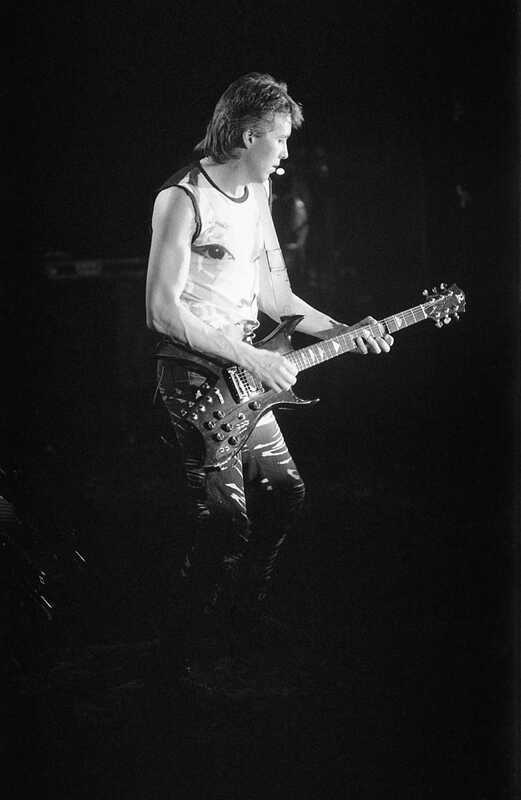 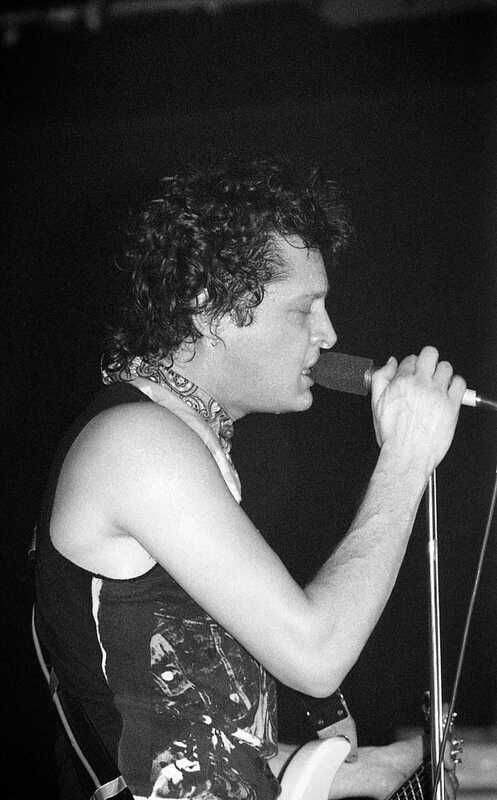 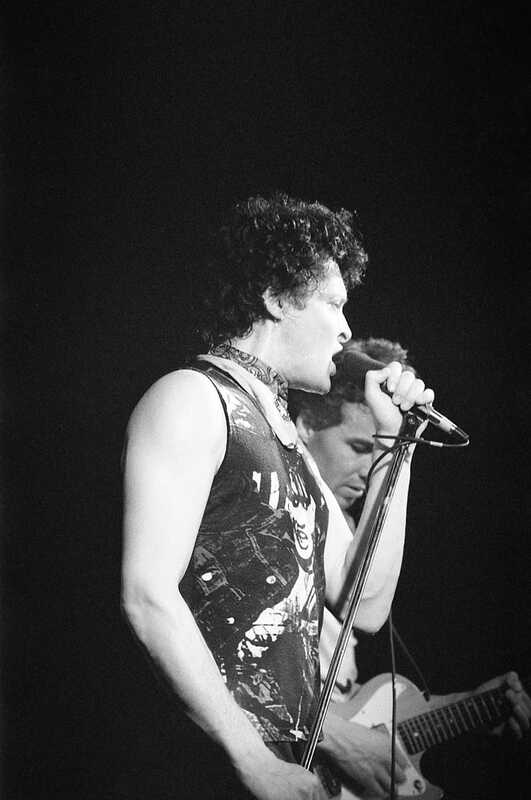 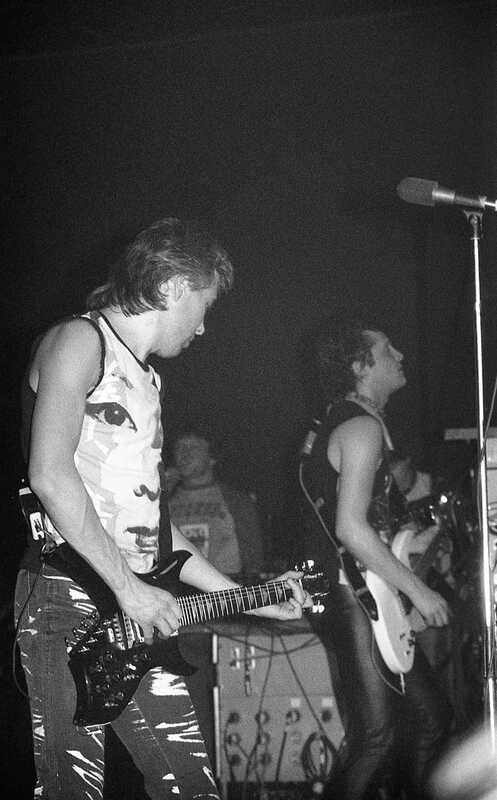 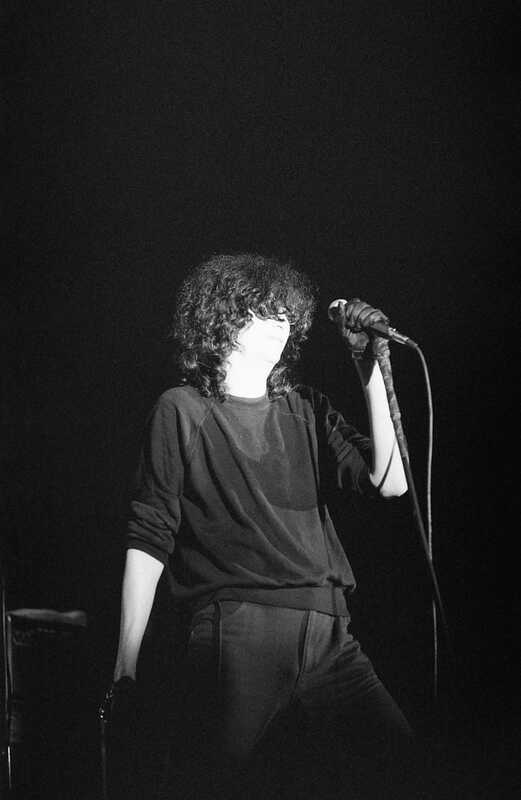 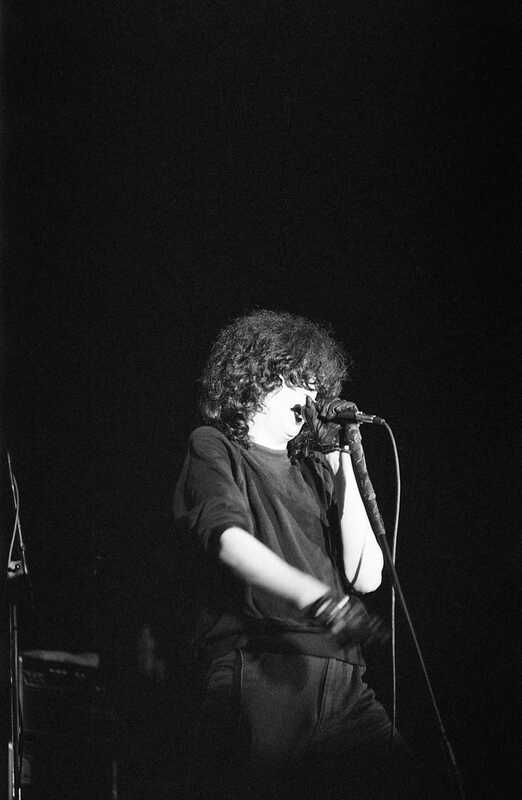 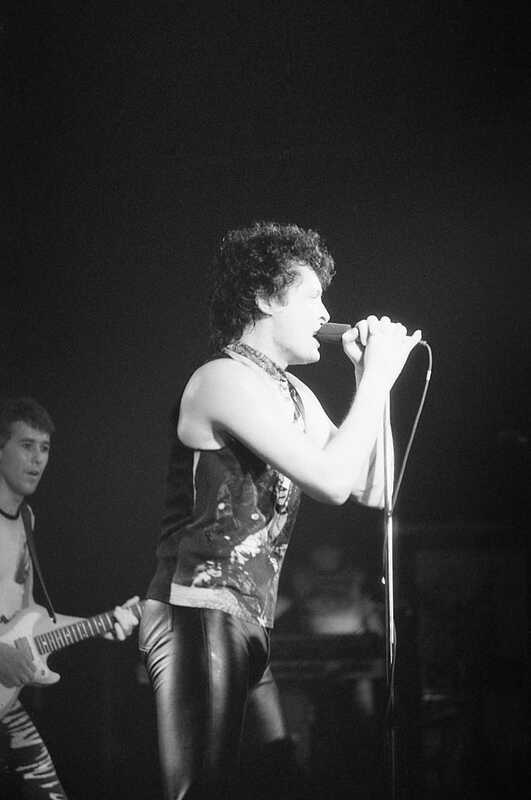 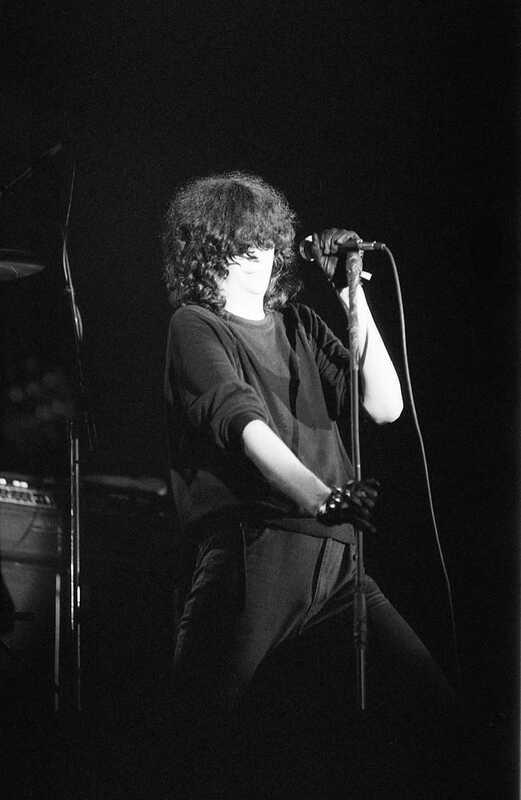 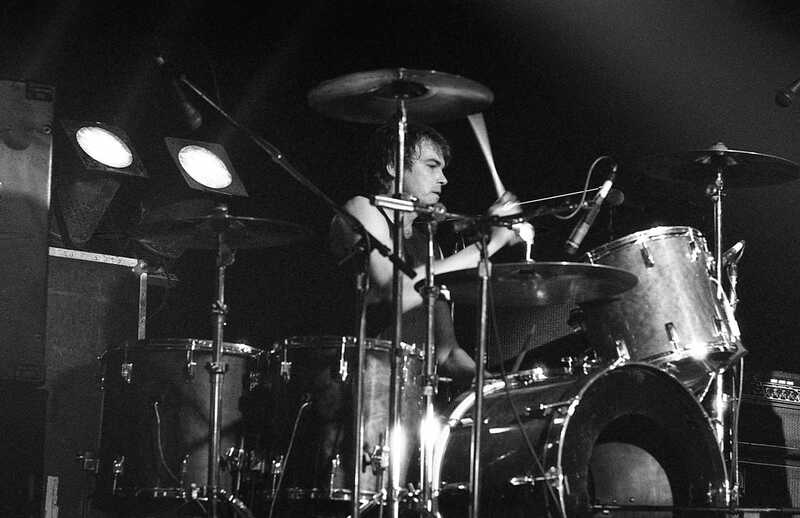 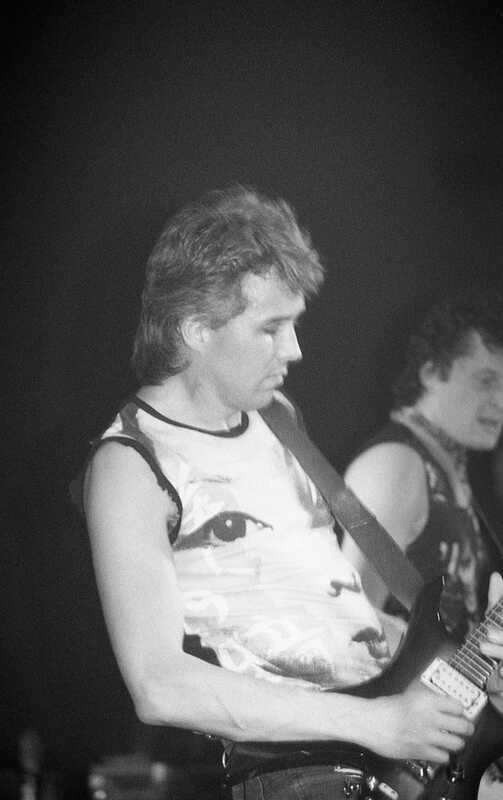 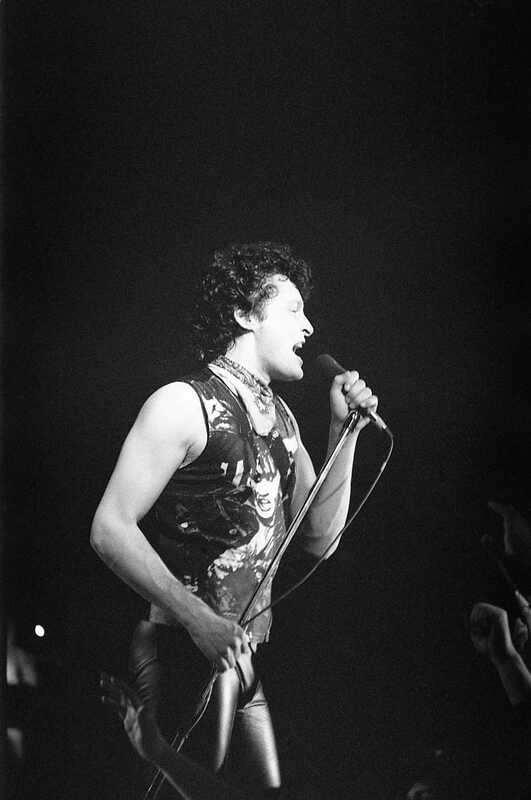 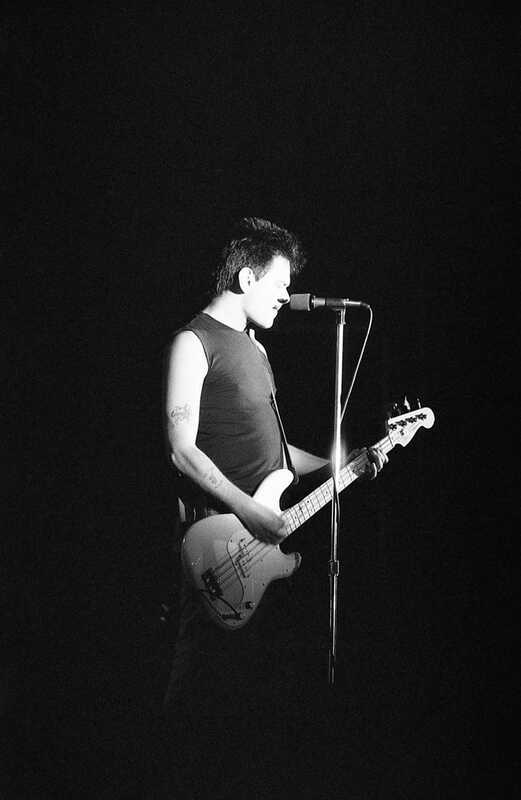 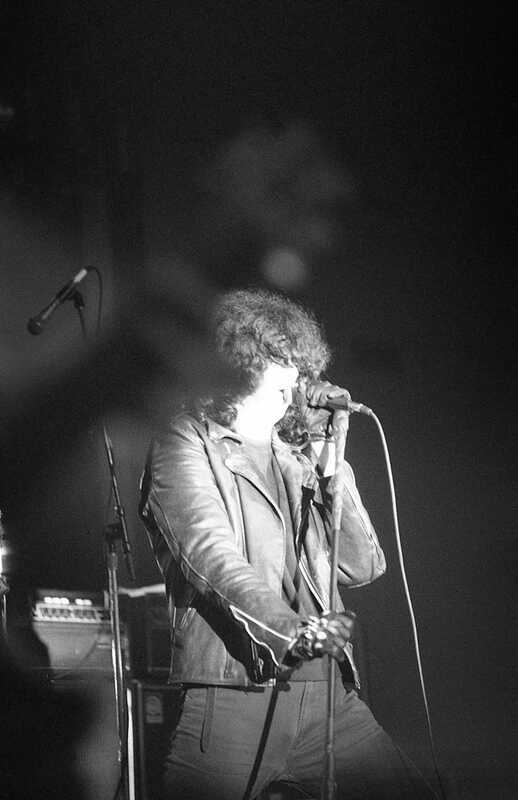 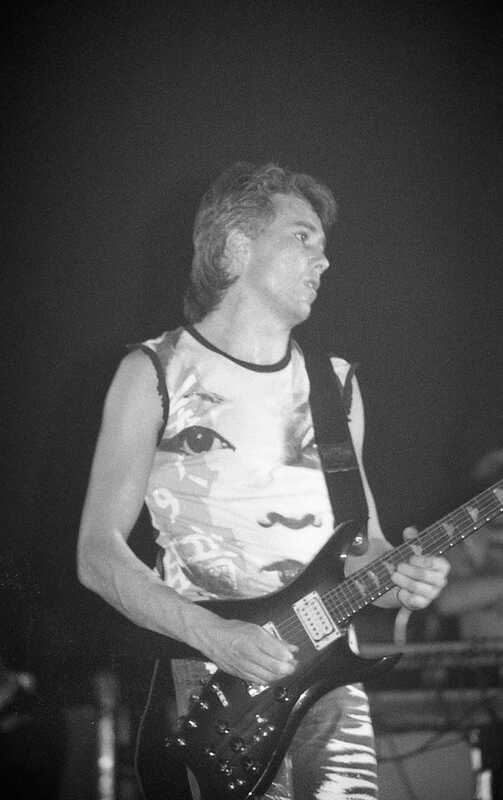 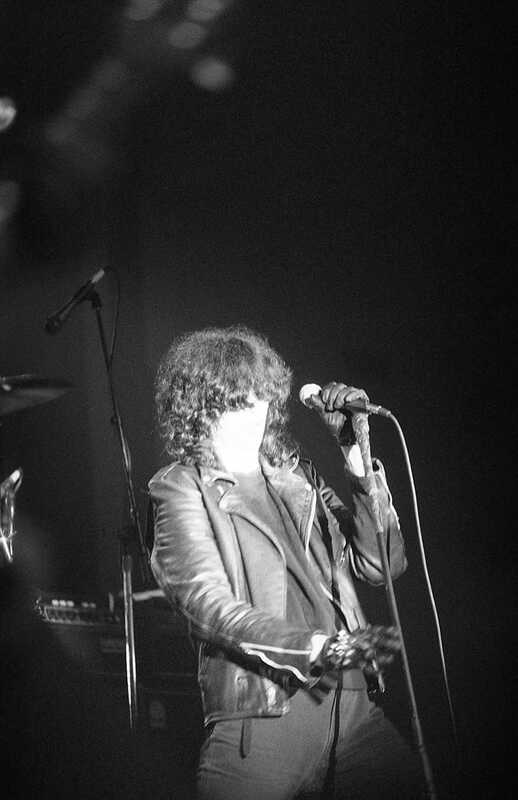 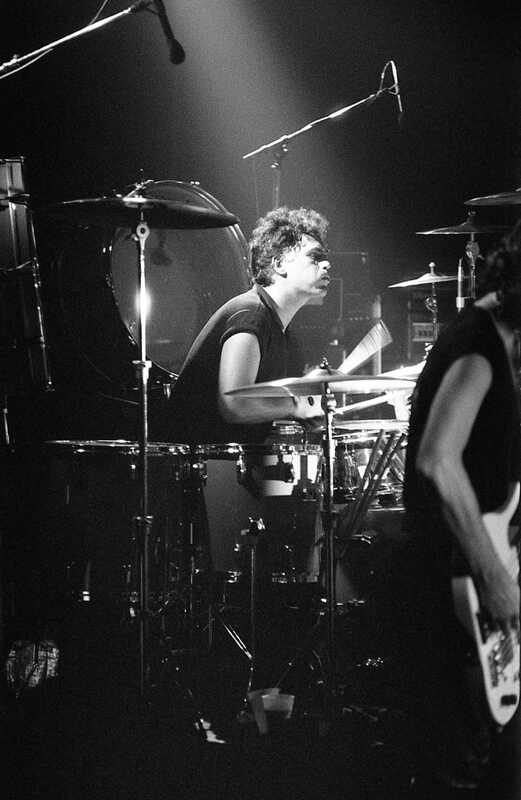 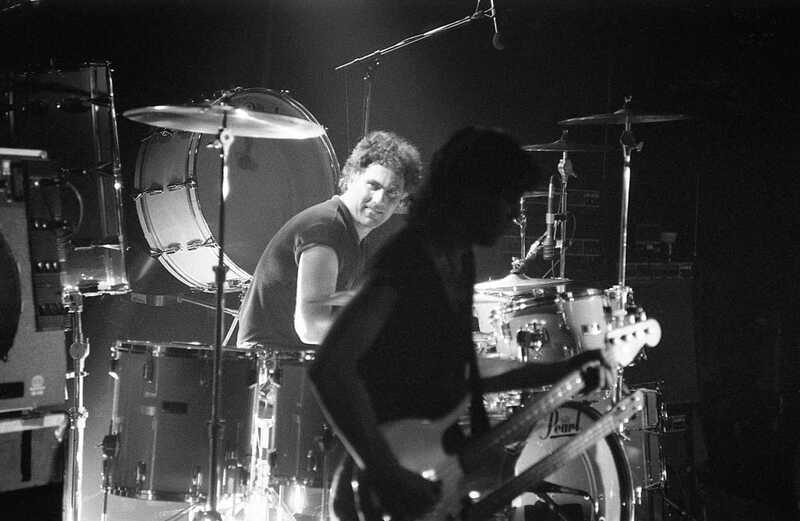 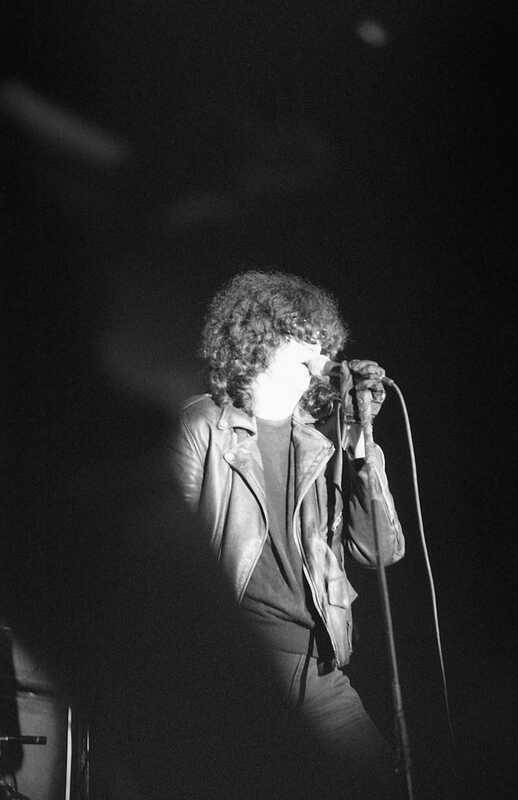 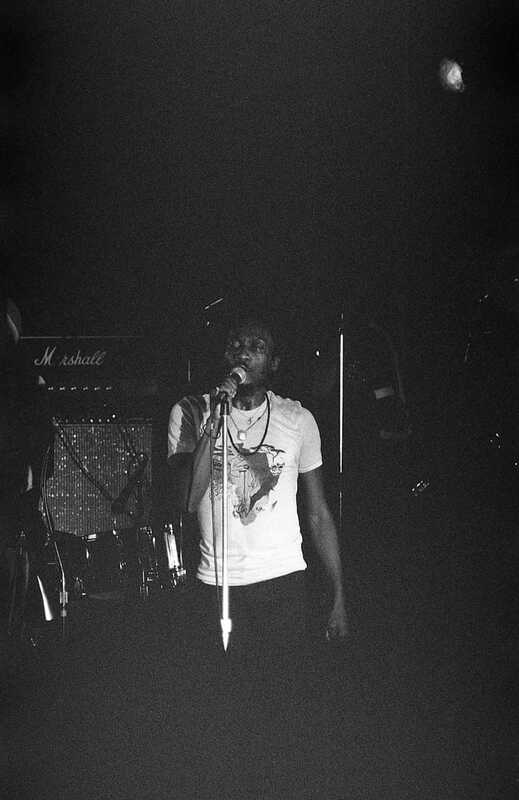 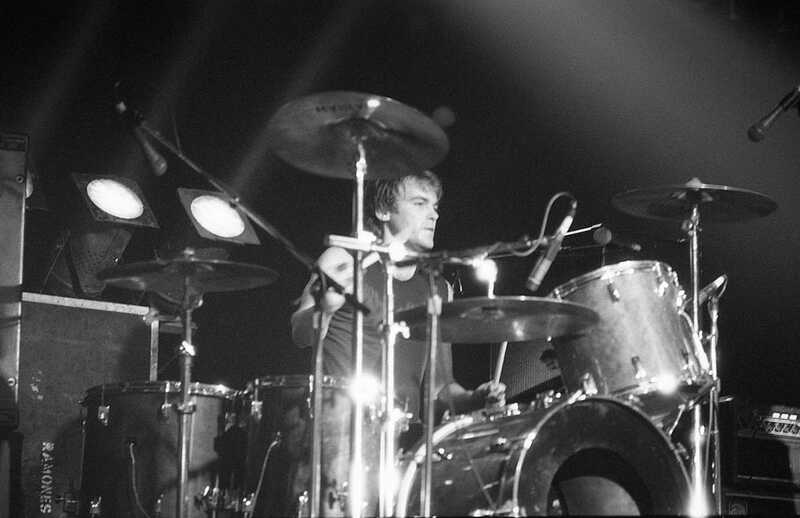 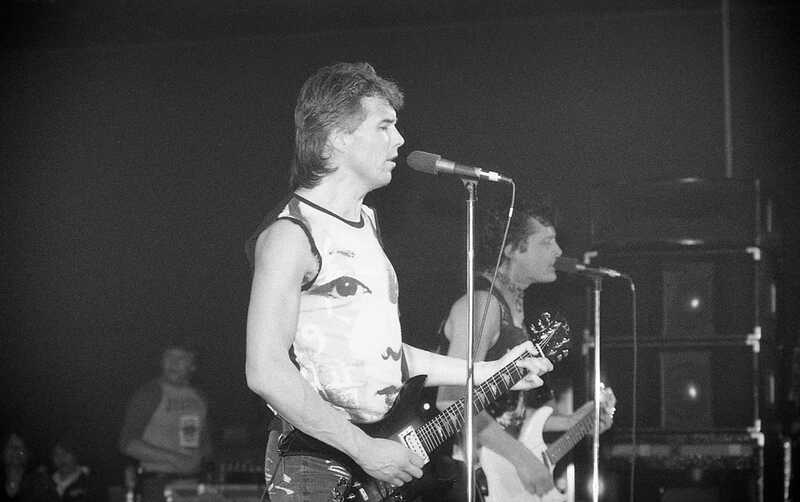 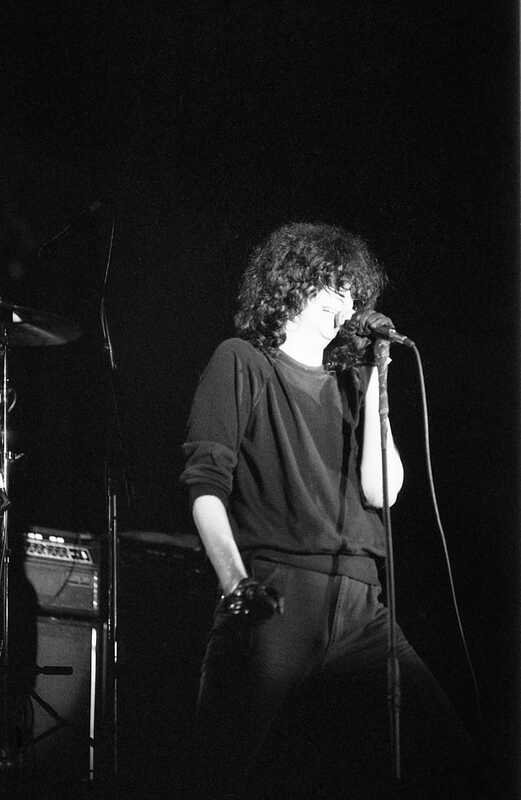 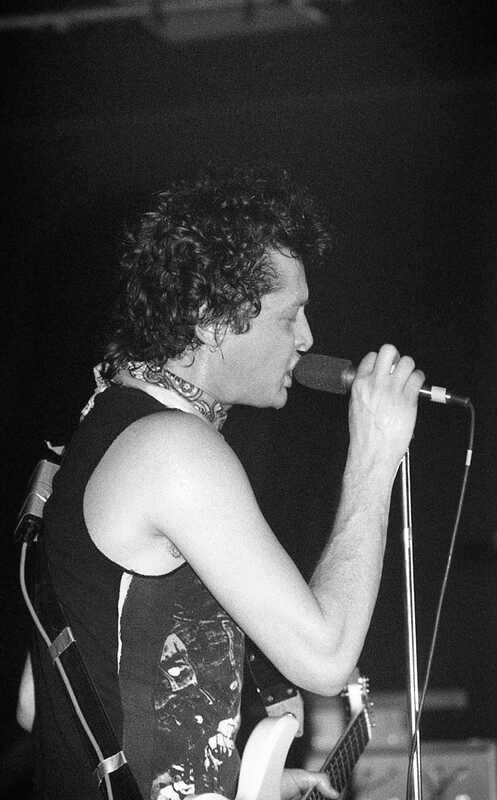 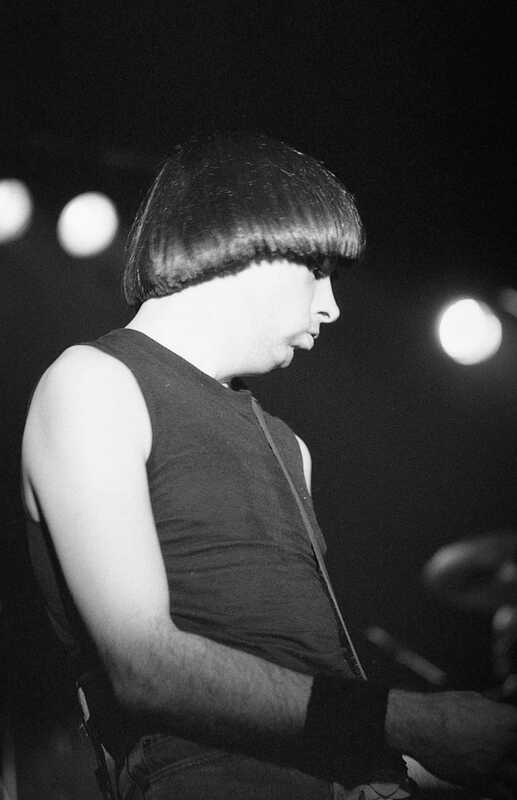 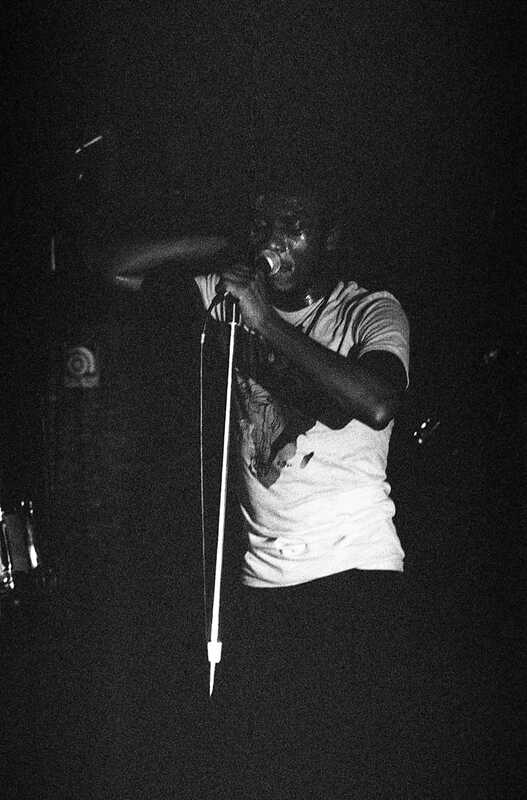 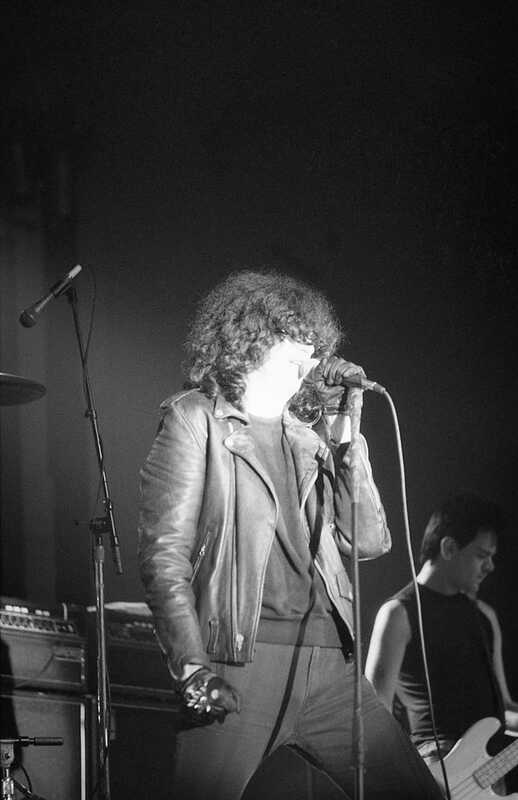 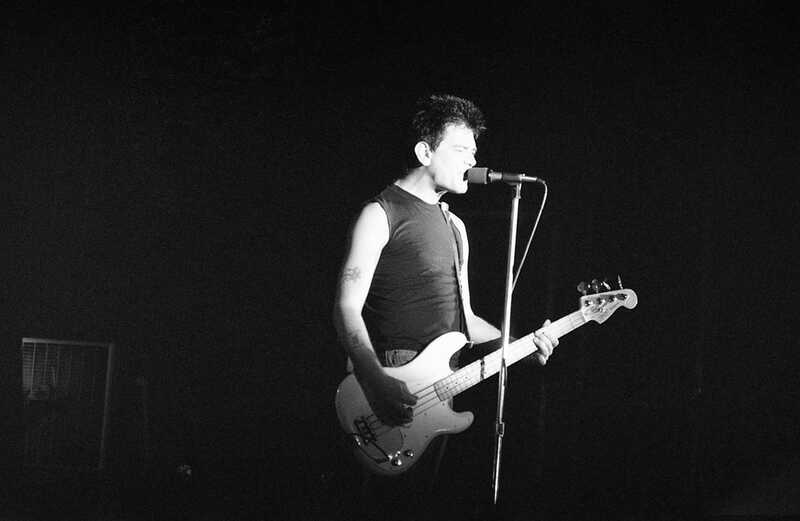 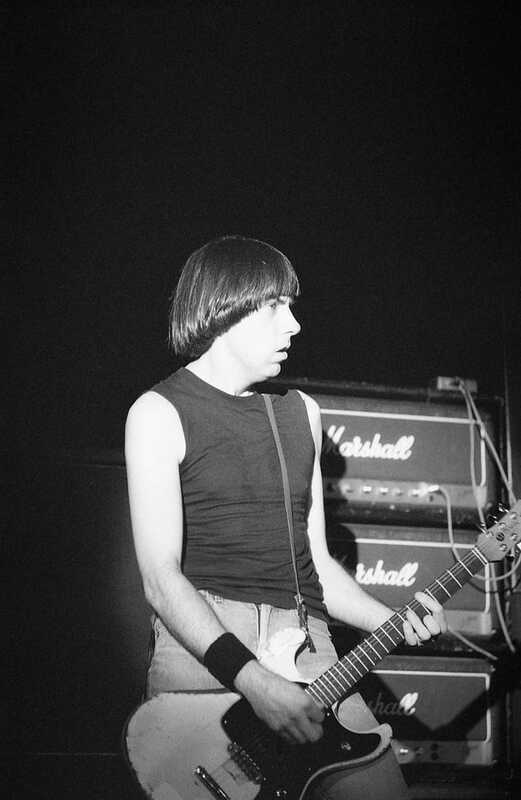 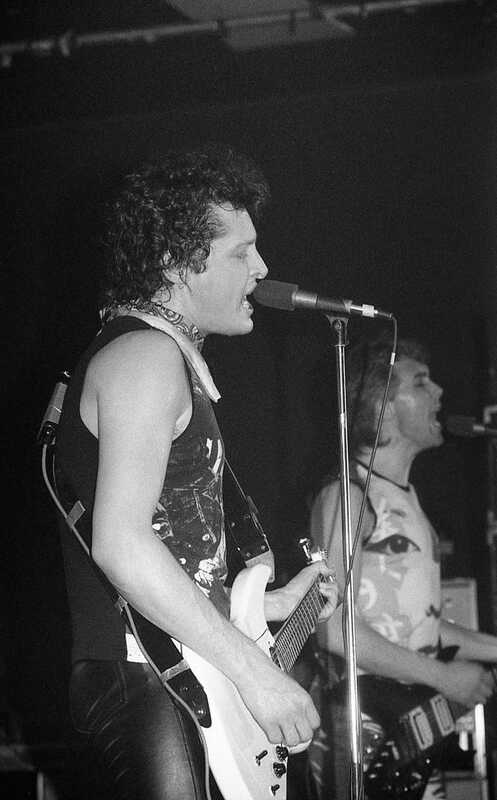 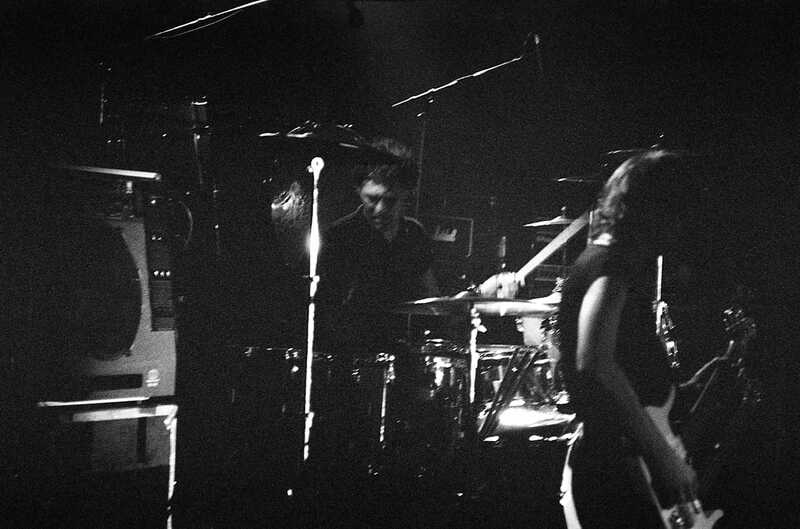 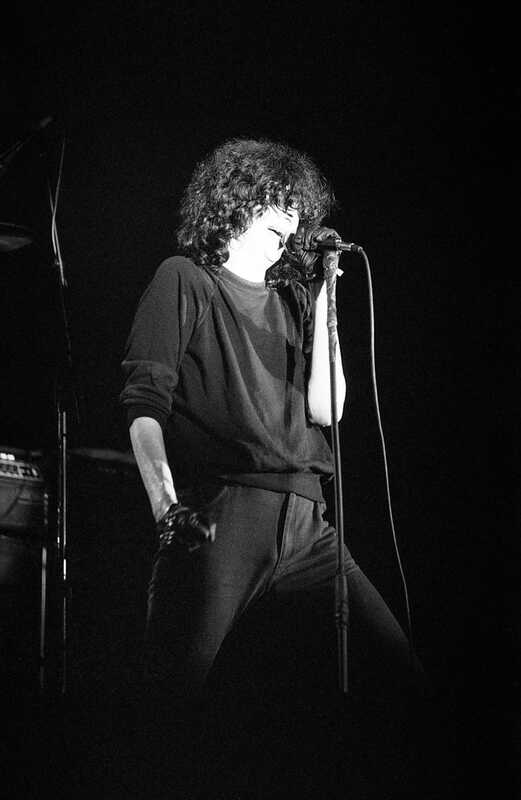 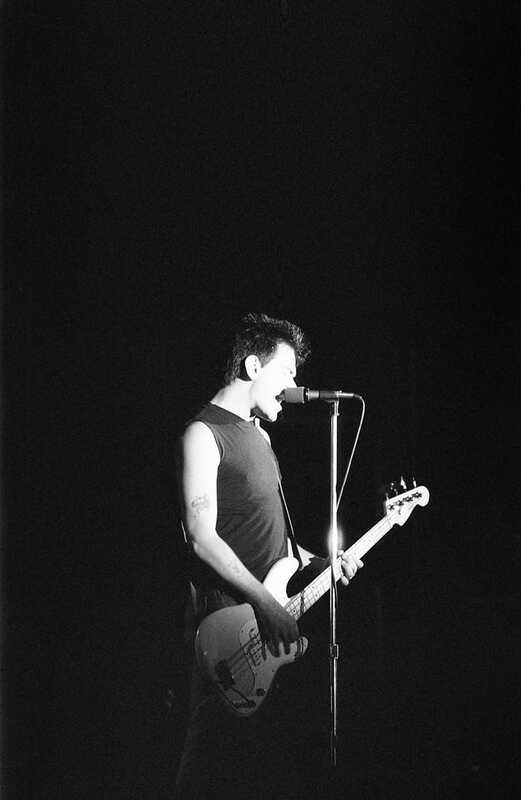 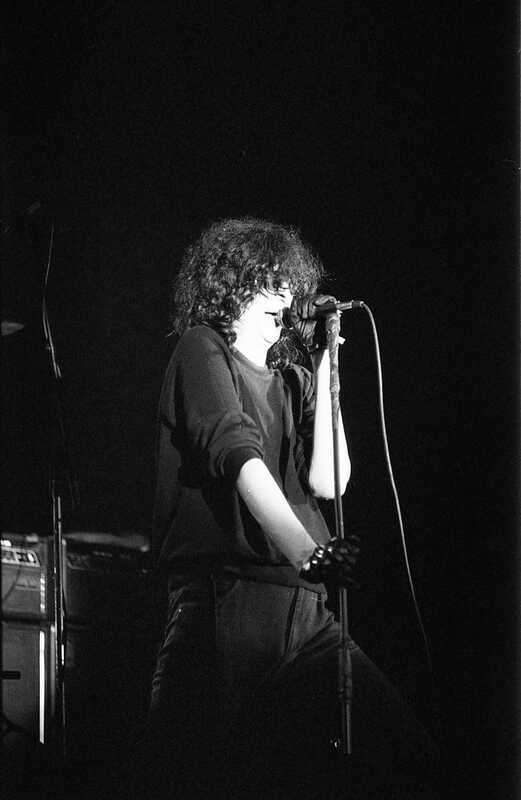 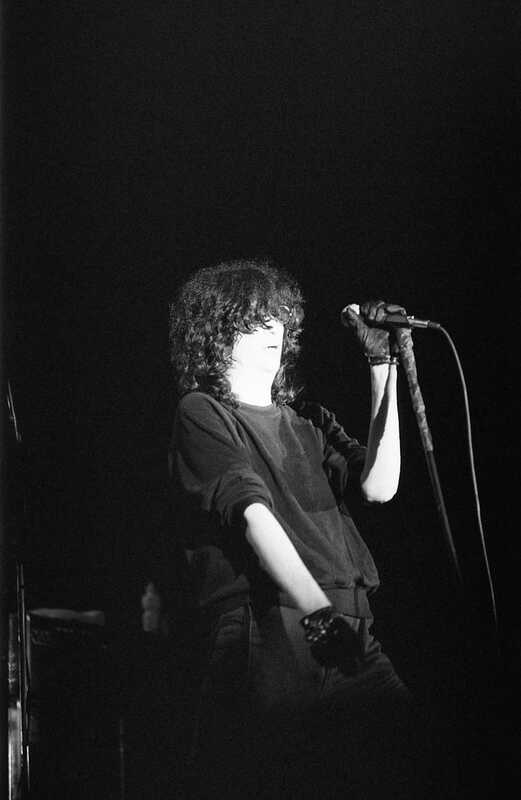 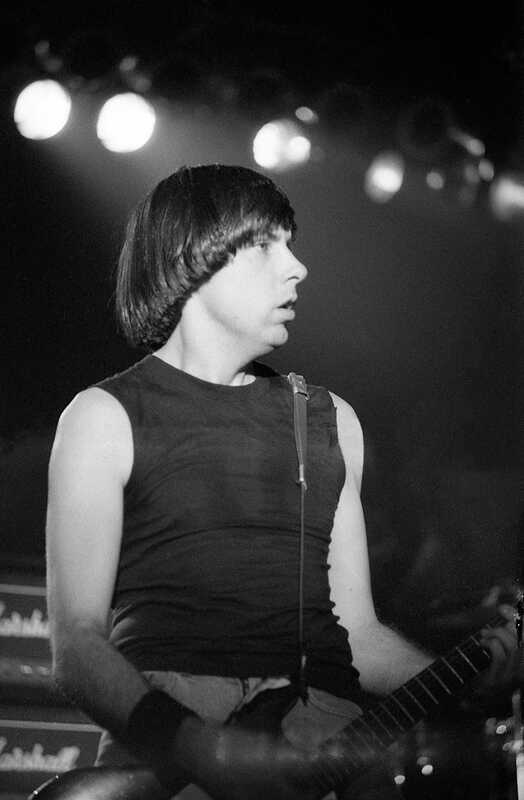 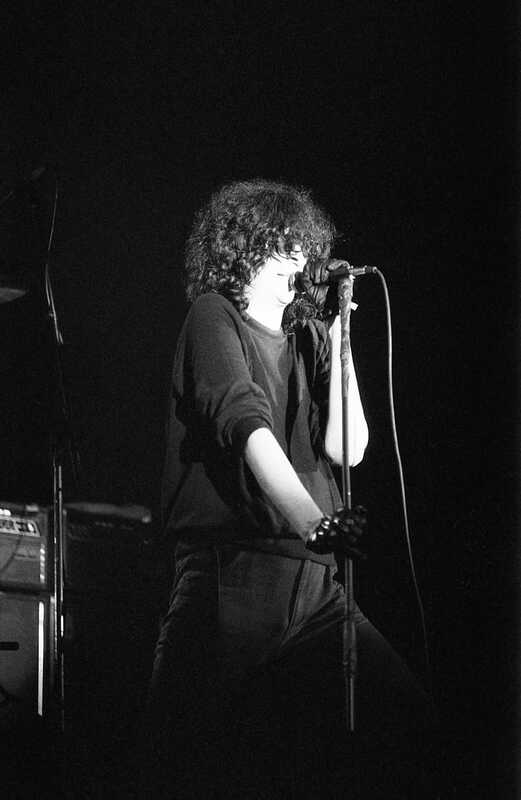 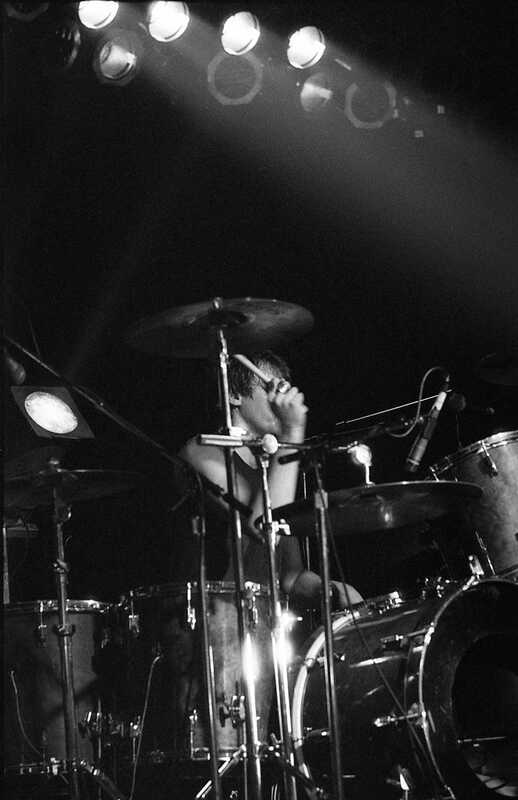 He began his career as part of London’s pub rock scene in the early 1970s and later became associated with the first wave of the British punk and new wave movement that emerged in the mid-to-late 1970s. 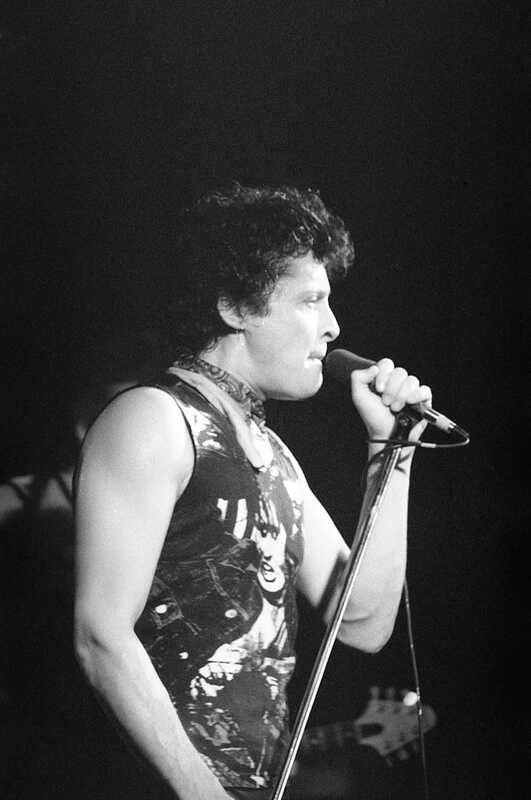 His critically acclaimed debut album, My Aim Is True, was released in 1977. 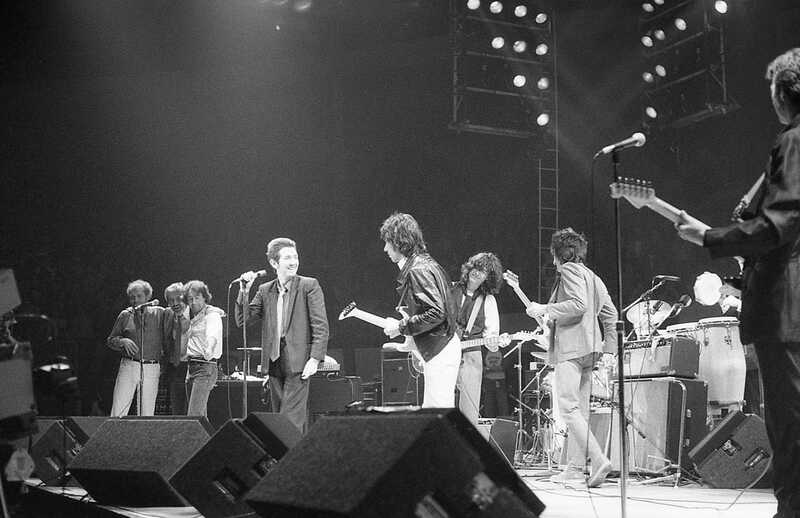 Shortly after recording it, he formed the Attractions as his backing band. 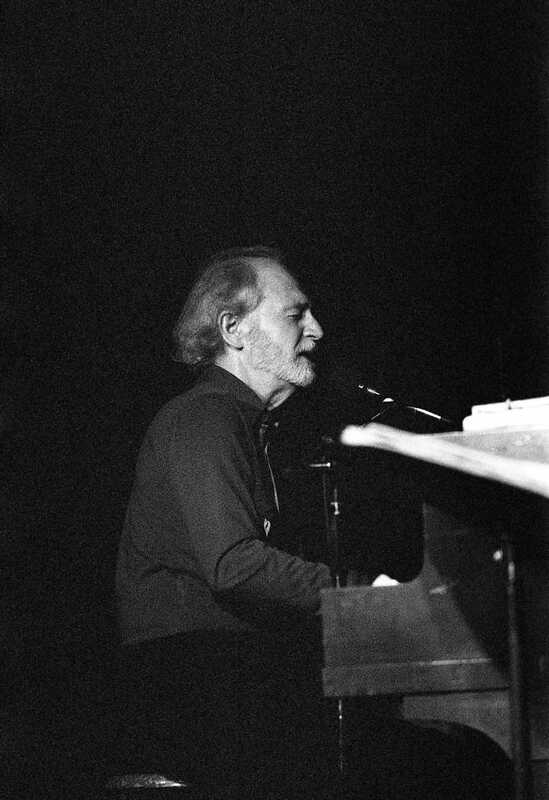 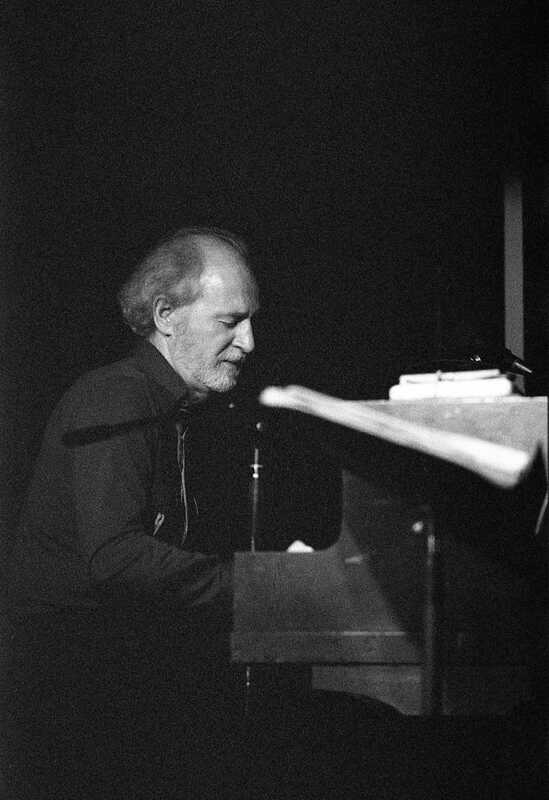 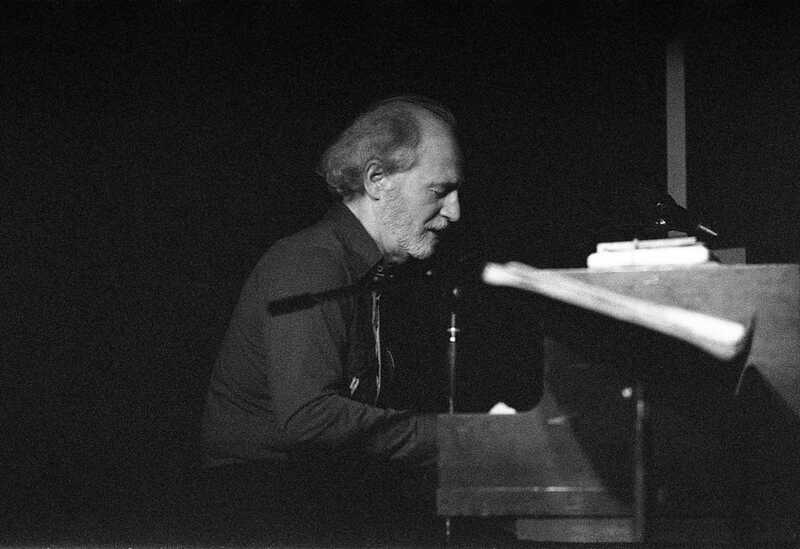 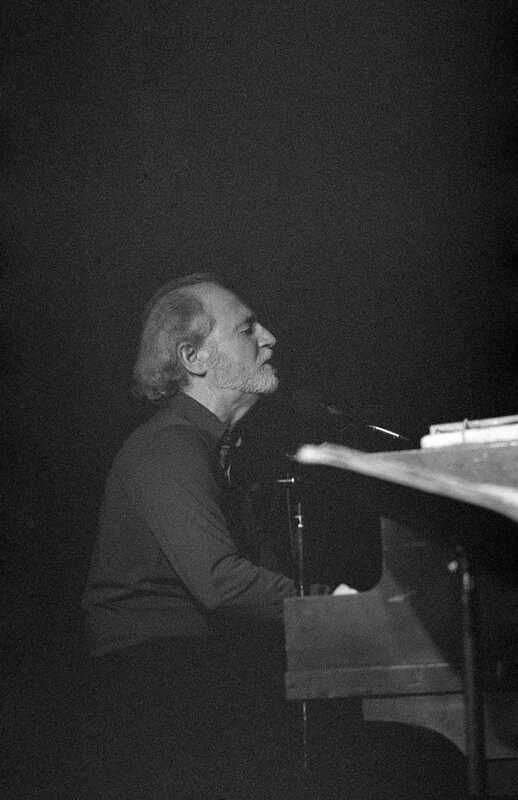 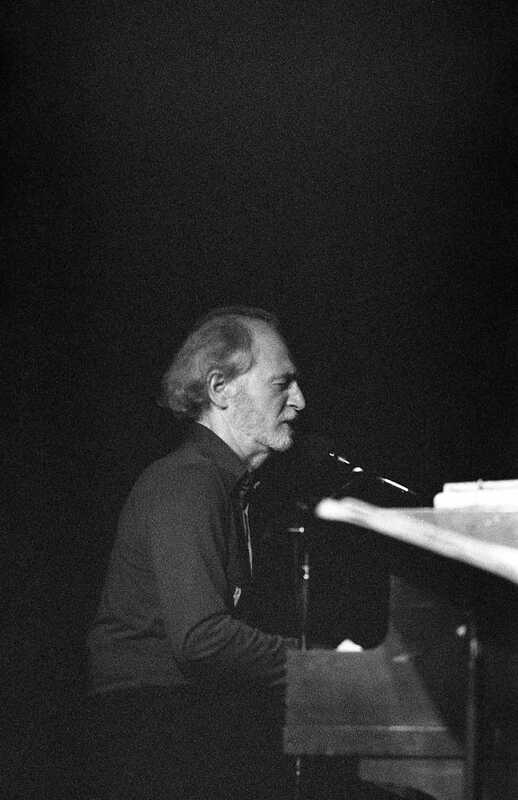 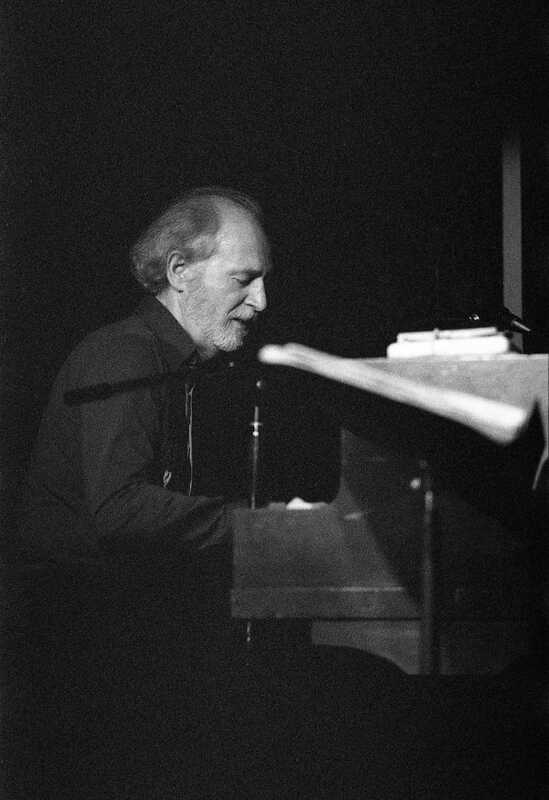 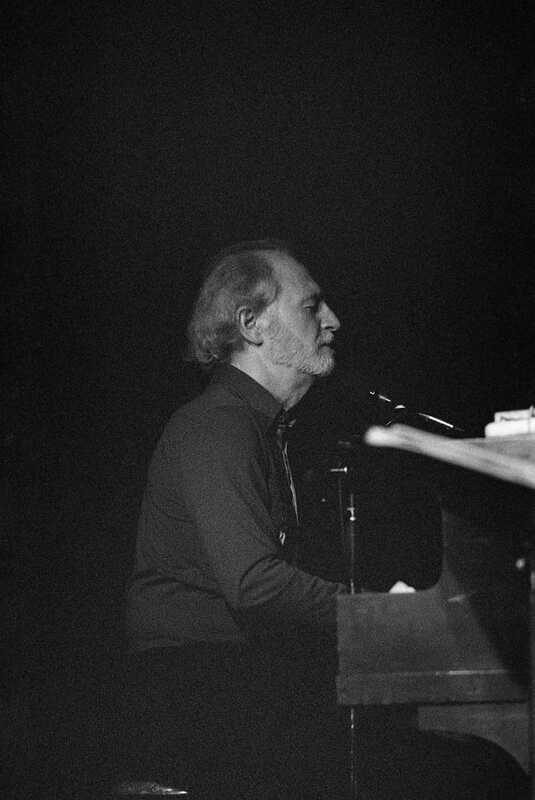 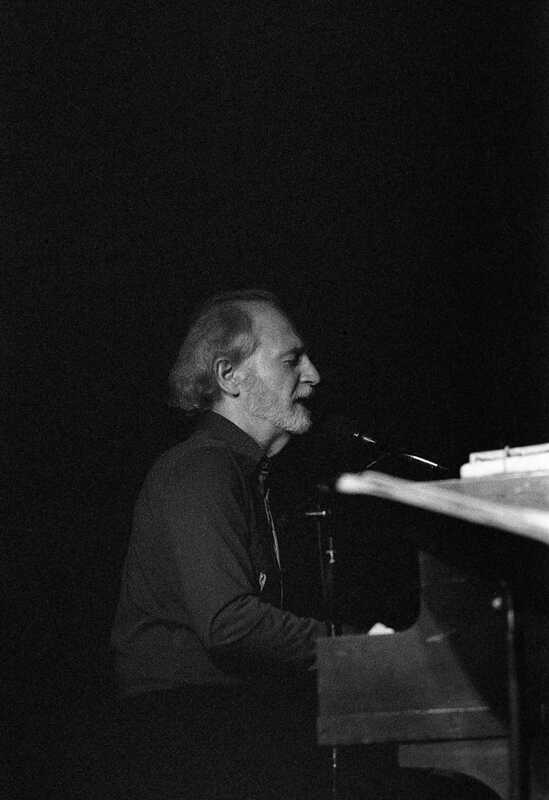 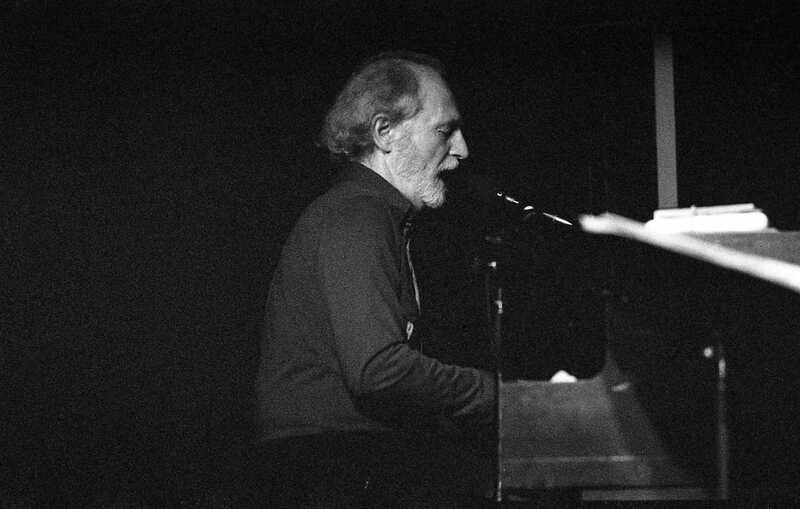 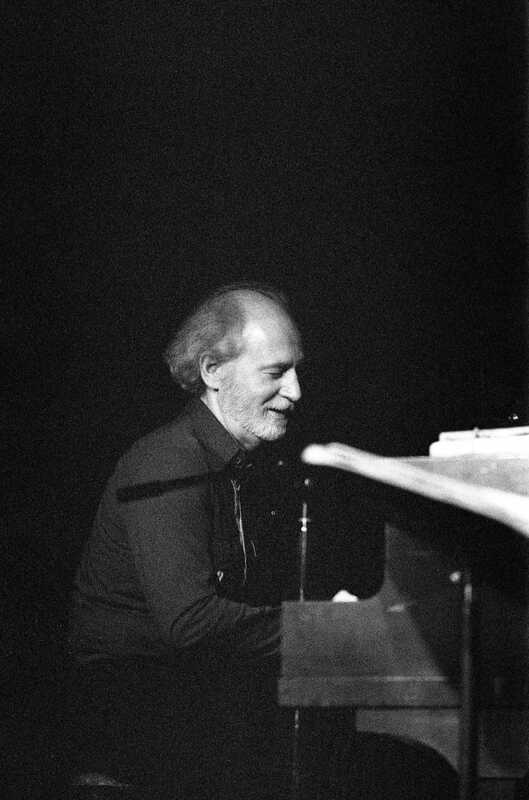 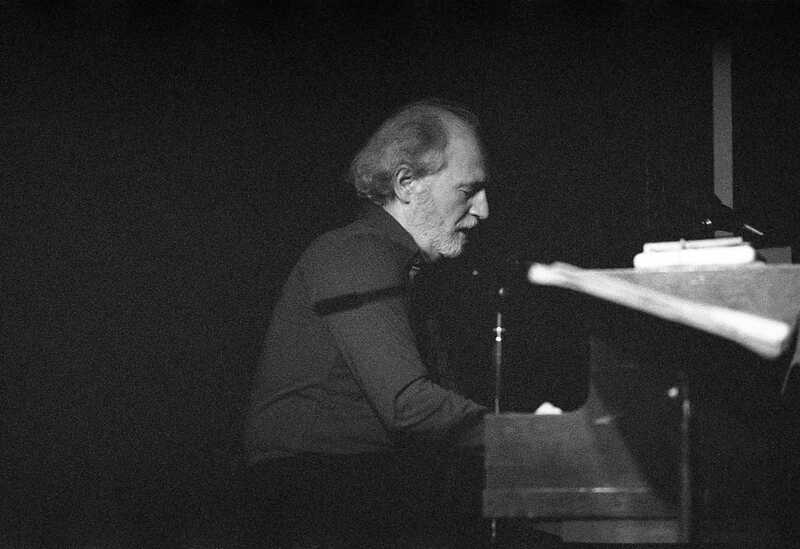 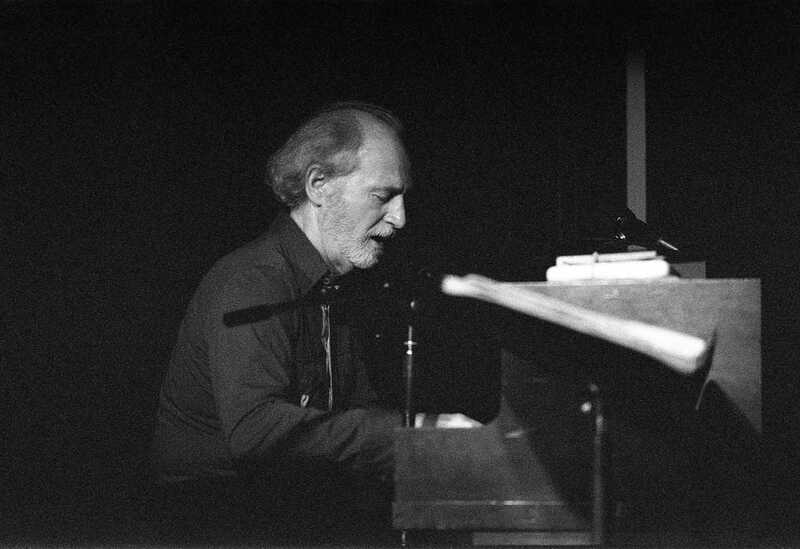 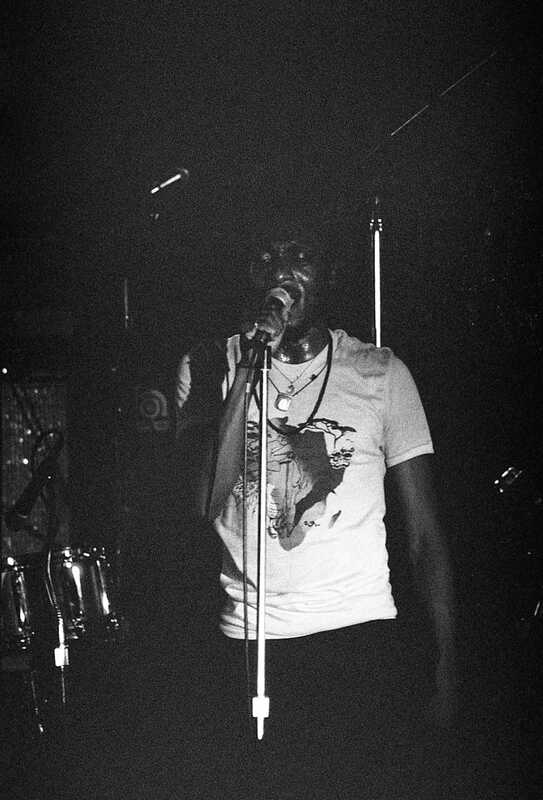 His second album, This Year’s Model, was released in 1978, and was ranked number 11 by Rolling Stone on its list of the best albums from 1967–1987. 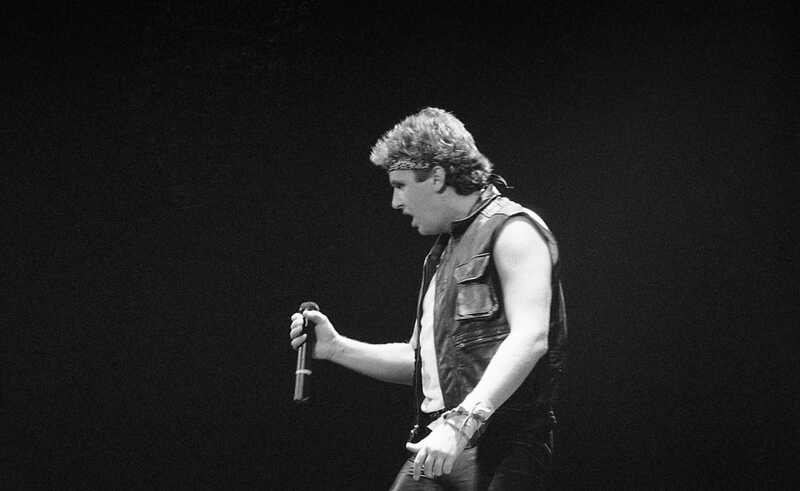 His third album, Armed Forces, was released in 1979, and features his highest-charting single “Oliver’s Army” (number 2 in the UK). His first three albums all appeared on Rolling Stone‘s list of the 500 Greatest Albums of All Time. 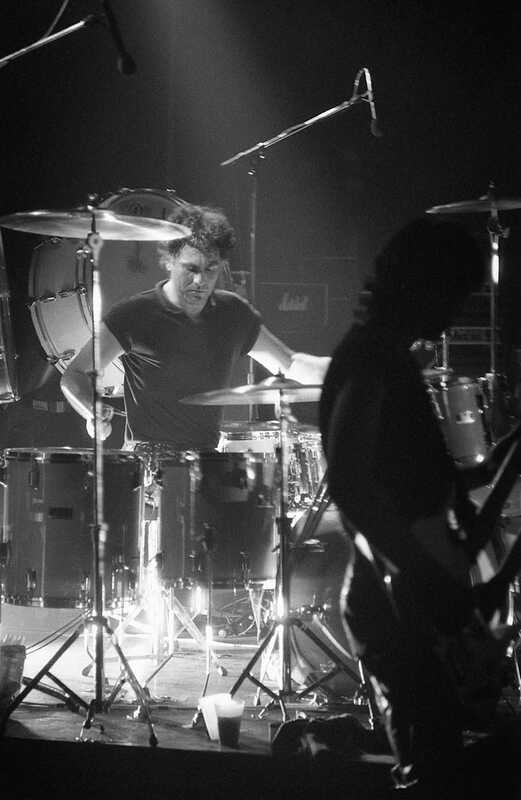 Golden Earring is a Dutch rock band, founded in 1961 in The Hague as The Golden Earrings (the definite article was dropped in 1967, while the “s” was dropped in 1969). 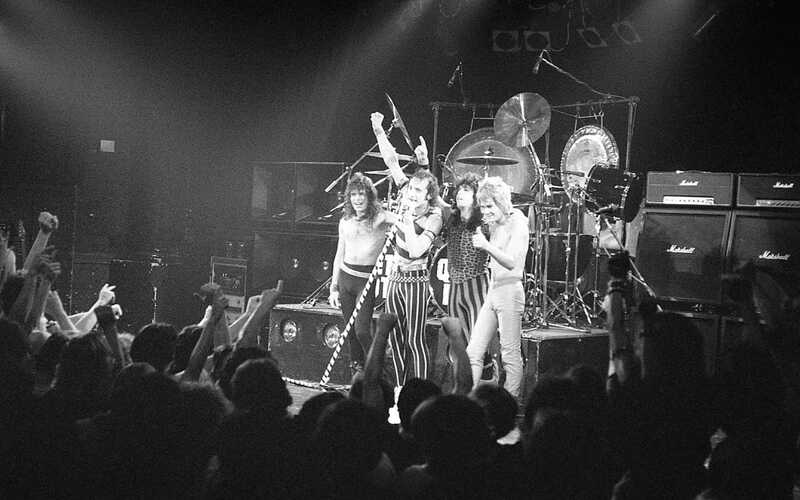 They achieved worldwide fame with their international hit songs “Radar Love” in 1973, which went to number one on the Dutch charts, reached the top ten in the UK and went to number thirteen on the US charts, “Twilight Zone” in 1982, and “When the Lady Smiles” in 1984. 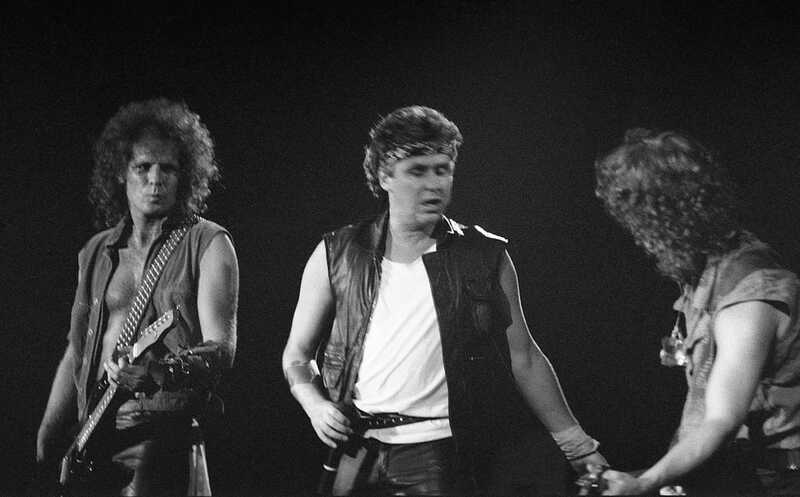 During their career they had nearly 30 top-ten singles on the Dutch charts; over the years they produced 25 studio albums. 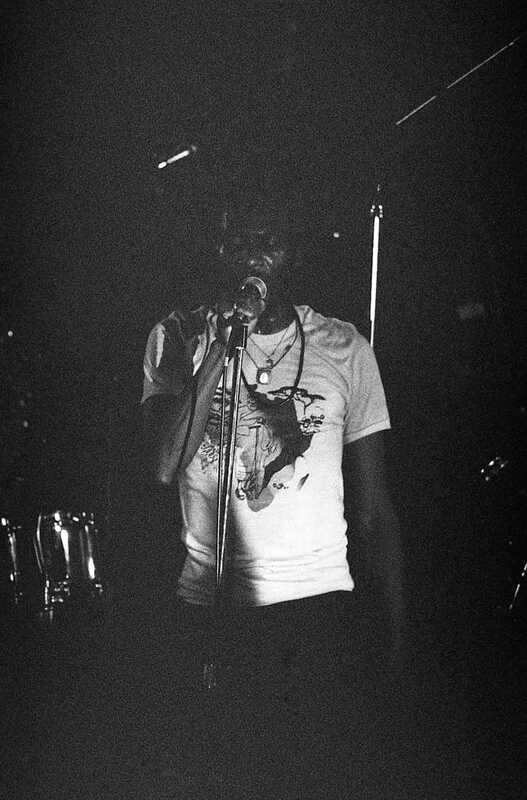 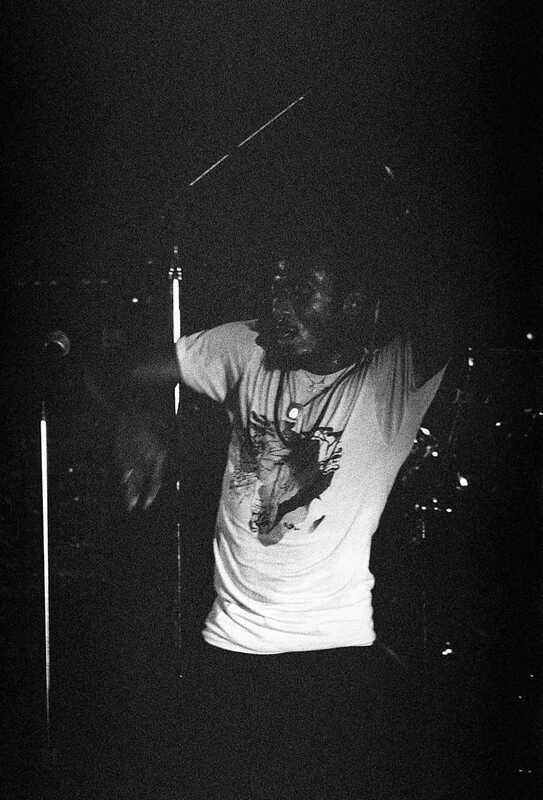 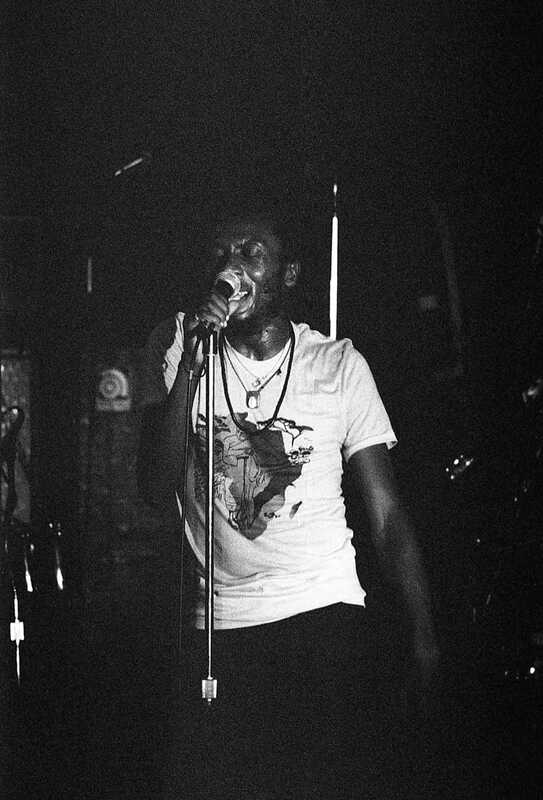 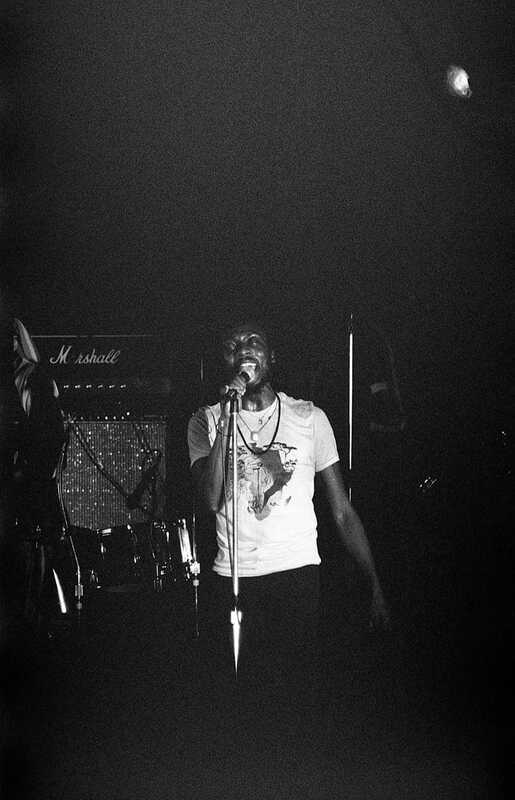 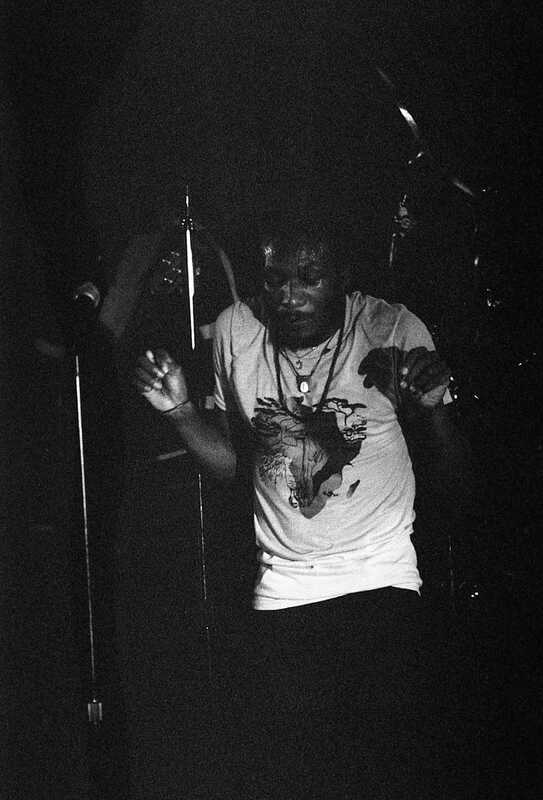 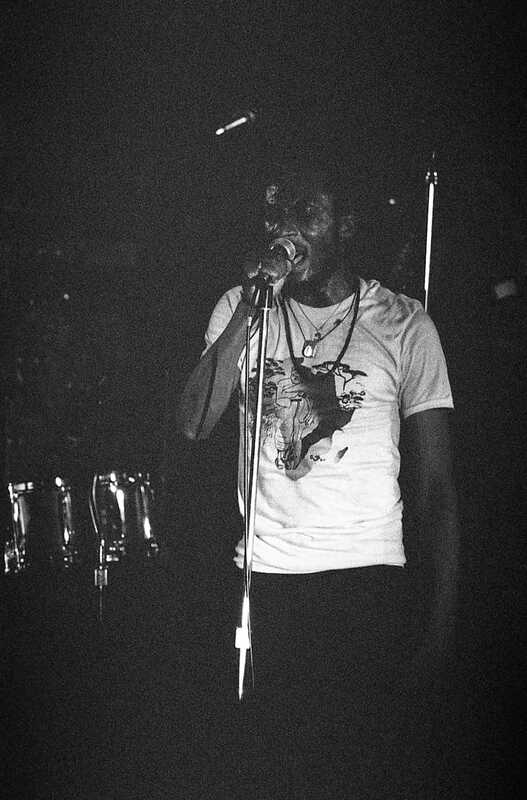 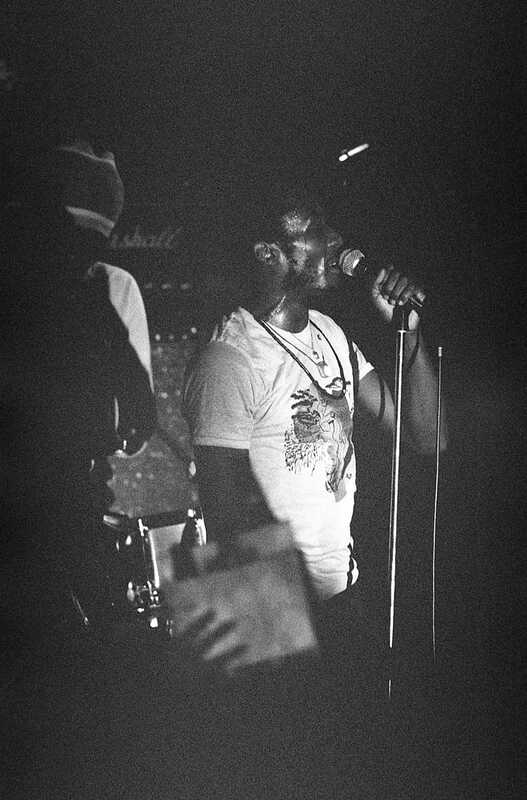 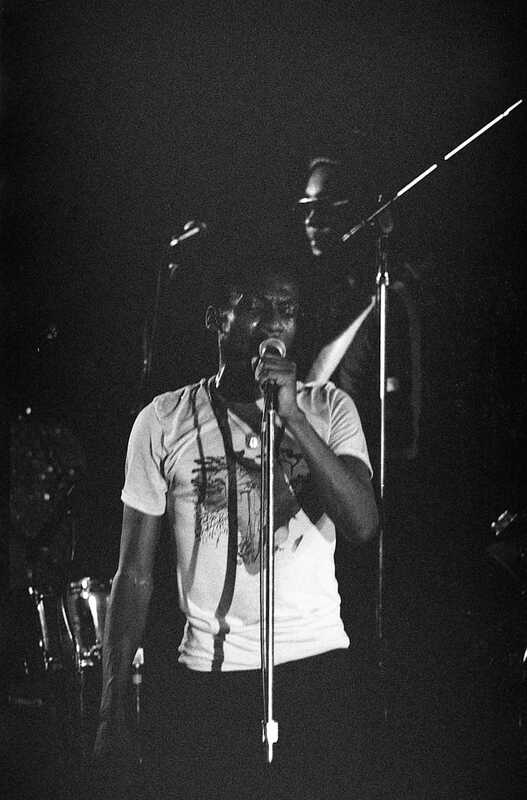 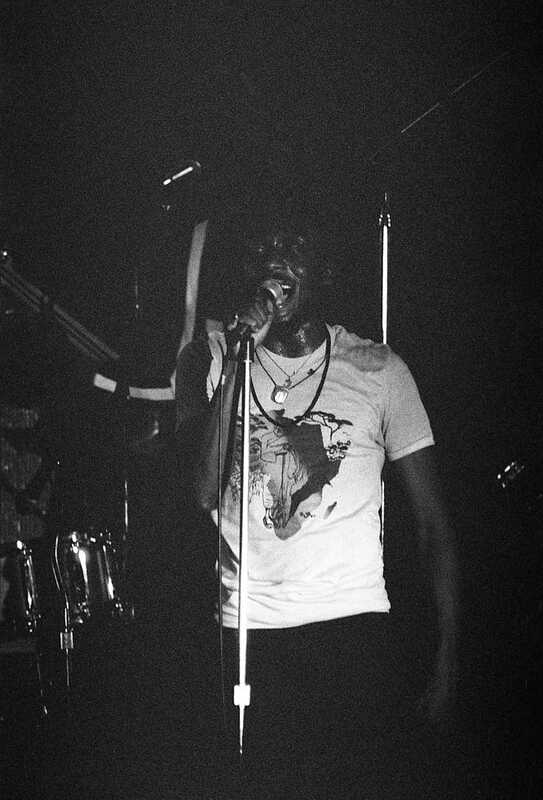 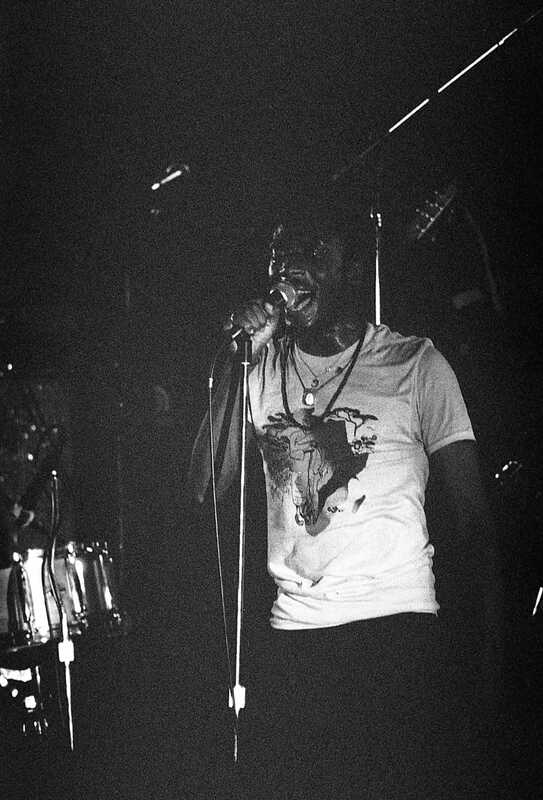 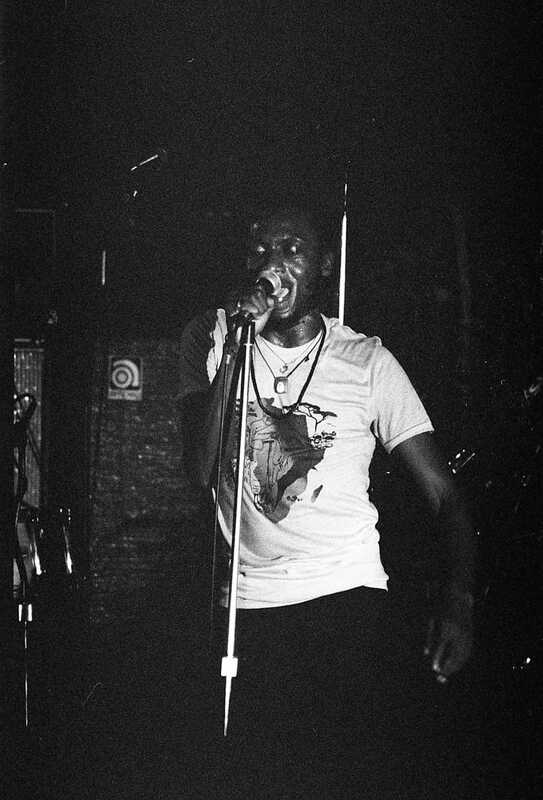 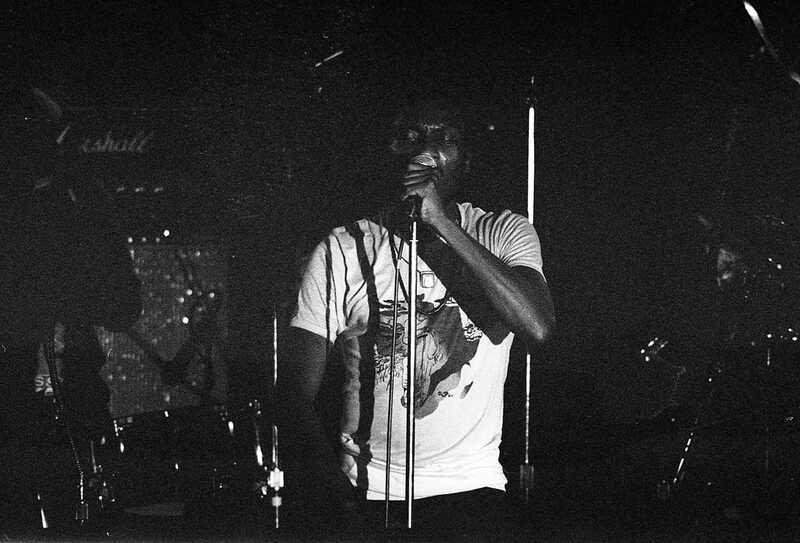 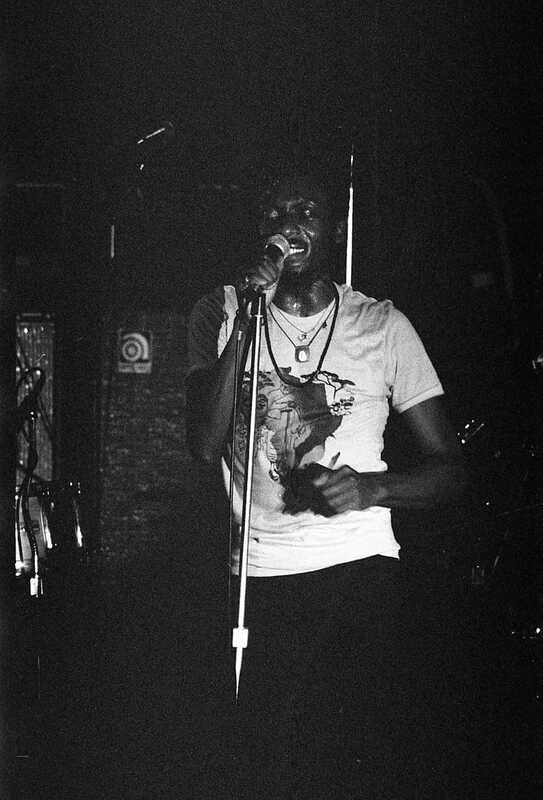 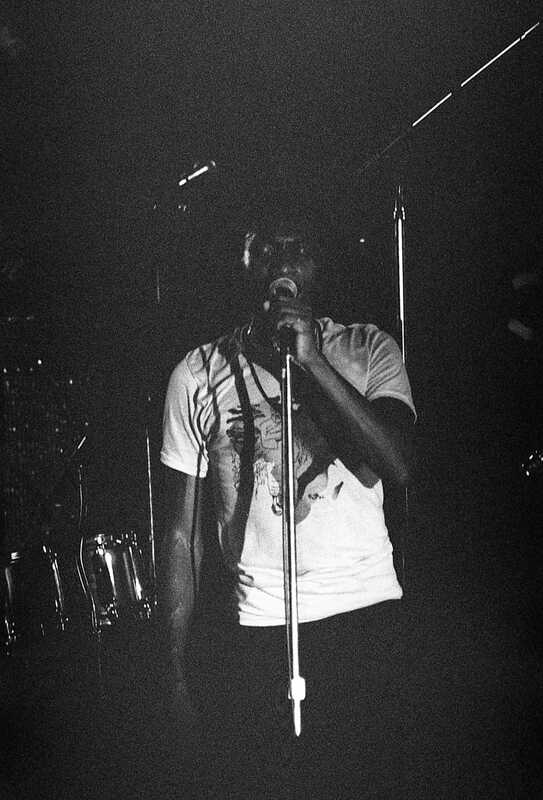 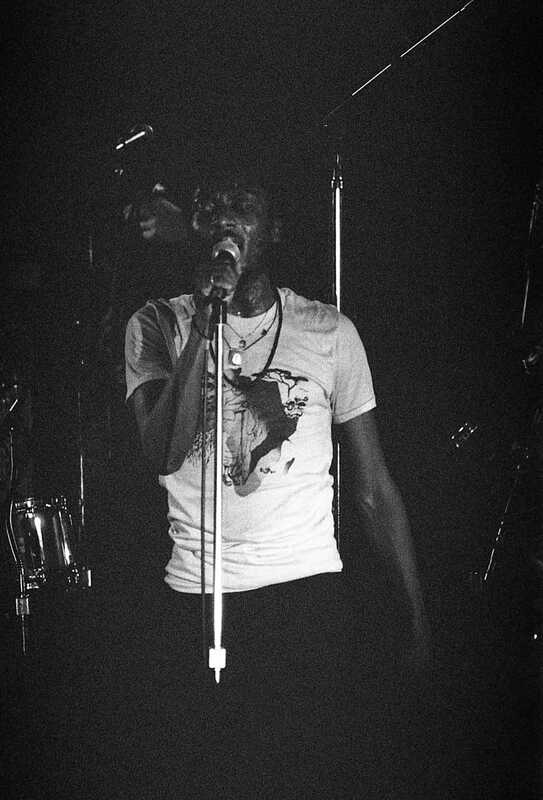 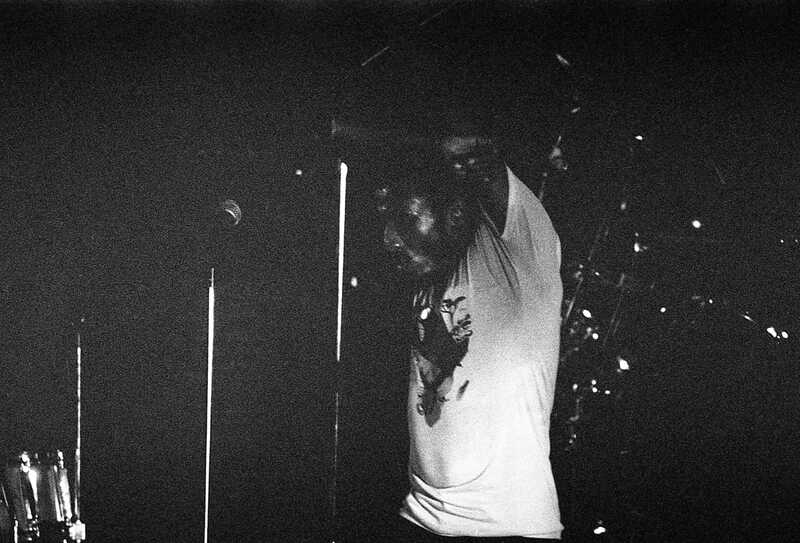 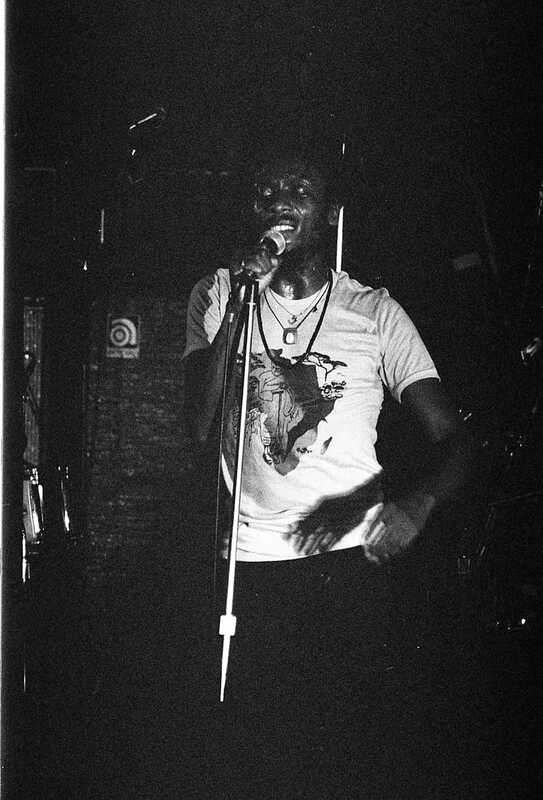 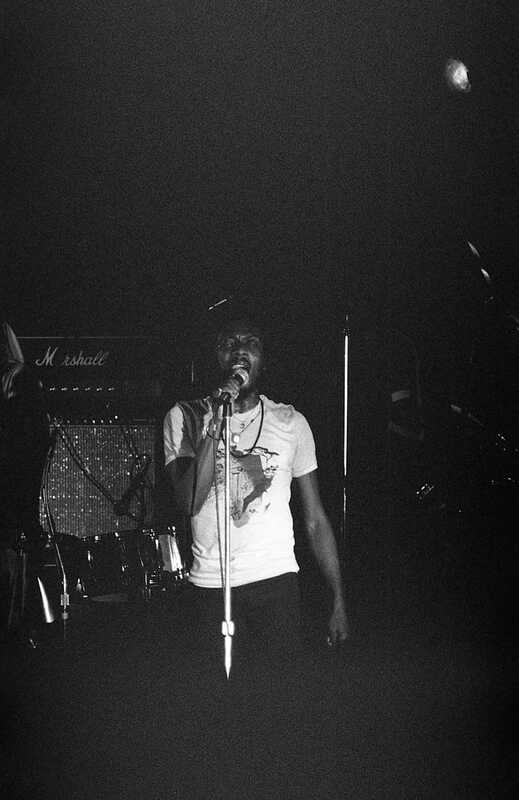 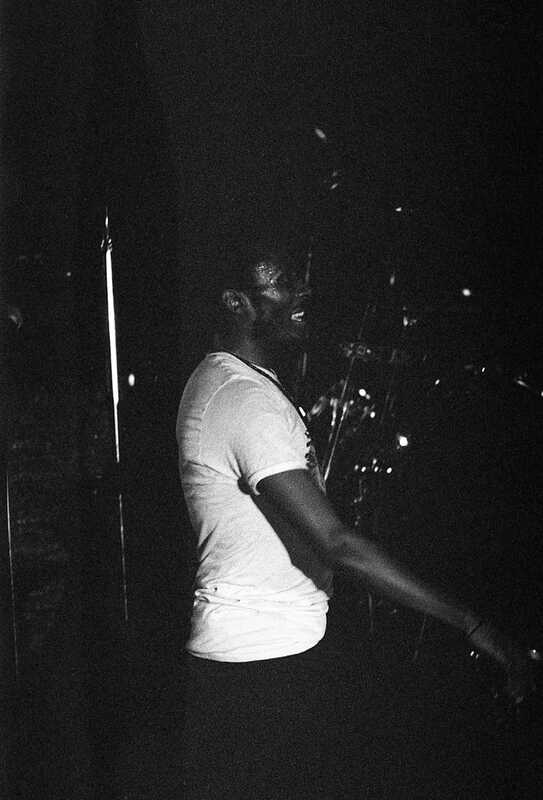 James Chambers, known professionally as Jimmy Cliff, is a Jamaican ska and reggae musician, multi-instrumentalist, singer, and actor. 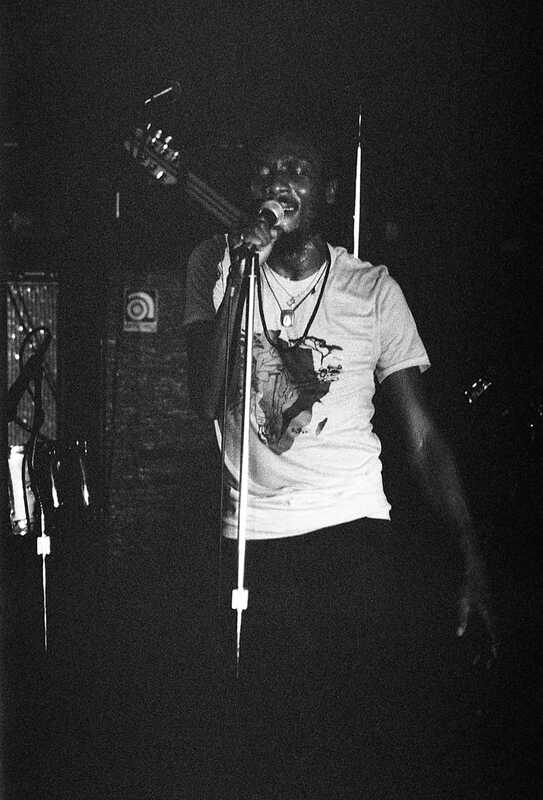 He is the only living musician to hold the Order of Merit, the highest honor that can be granted by the Jamaican government for achievements in the arts and sciences. 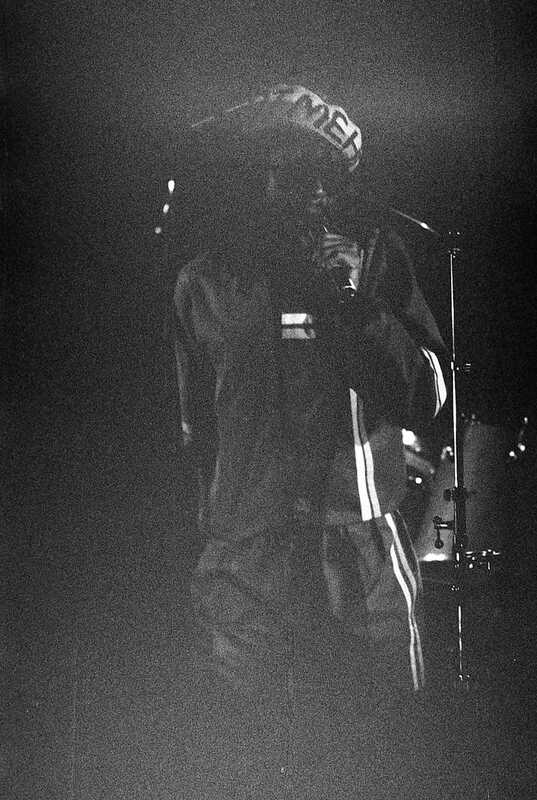 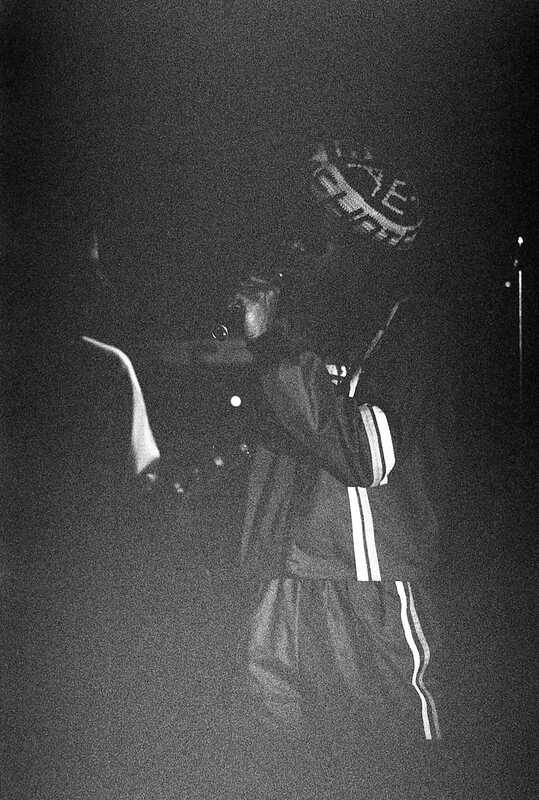 Peter Tosh, (born Winston Hubert McIntosh; 19 October, 1944 – 11 September 1987) was a Jamaican reggae musician. 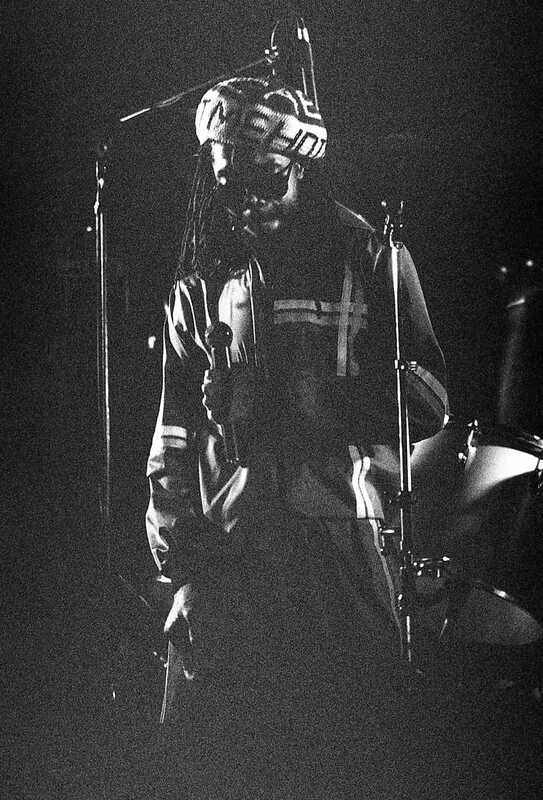 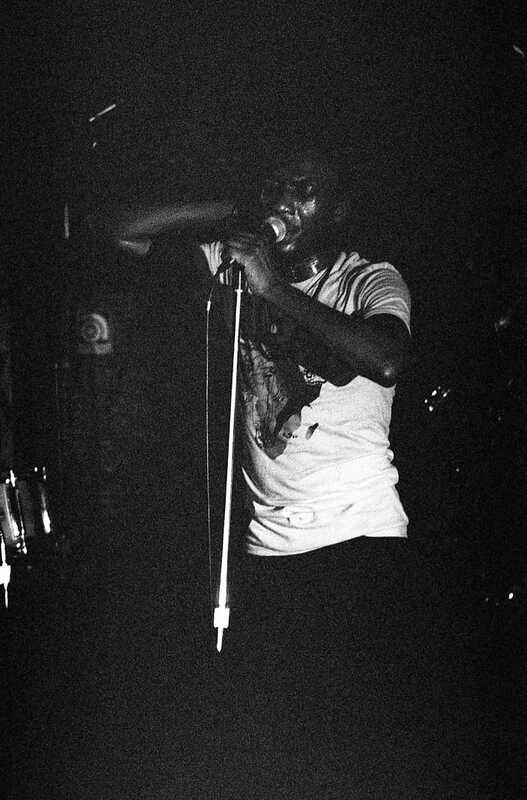 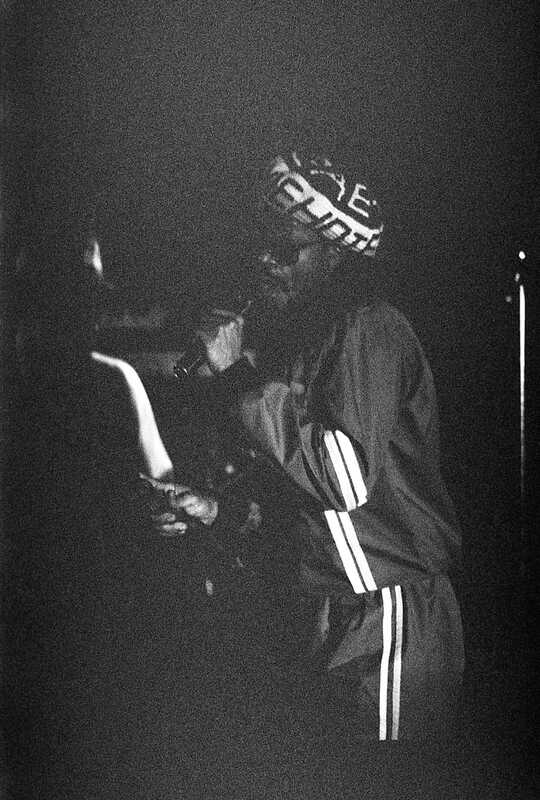 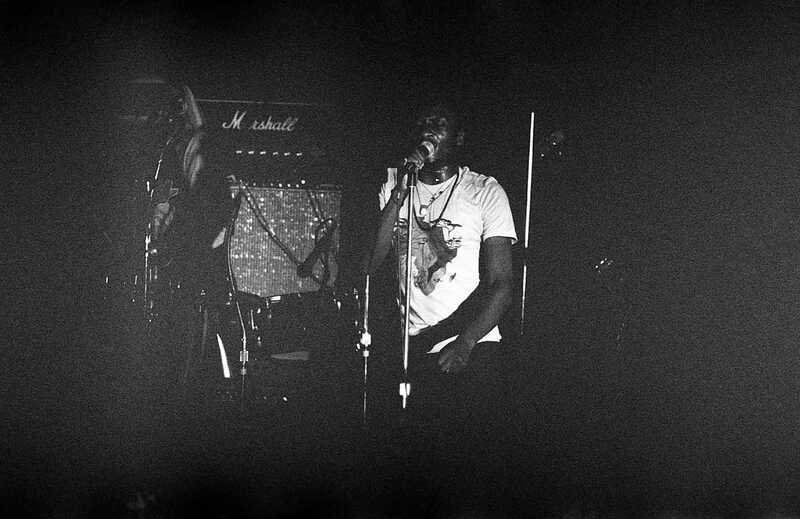 Along with Bob Marley and Bunny Wailer, he was one of the core members of the band The Wailers (1963–1976), after which he established himself as a successful solo artist and a promoter of Rastafari. 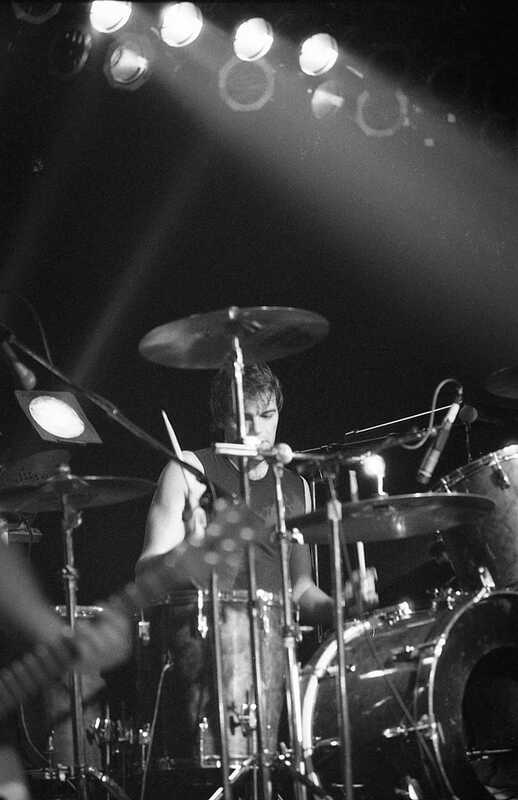 He was murdered in 1987 during a home invasion.